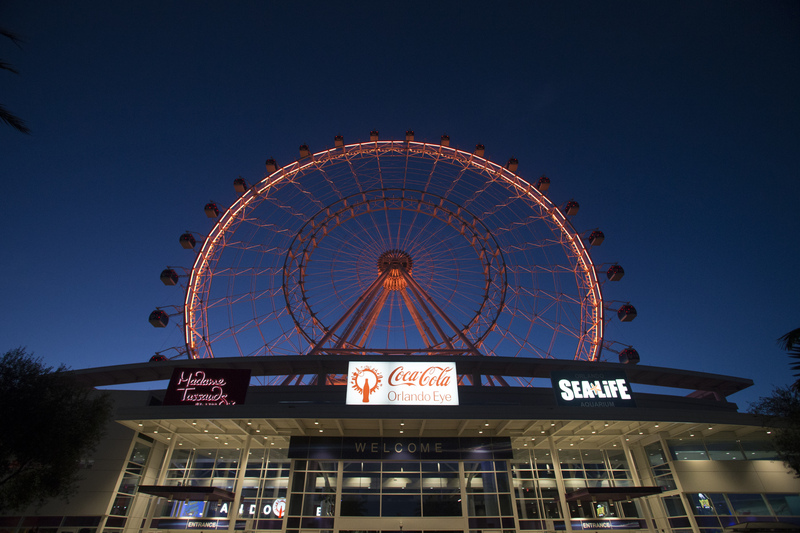 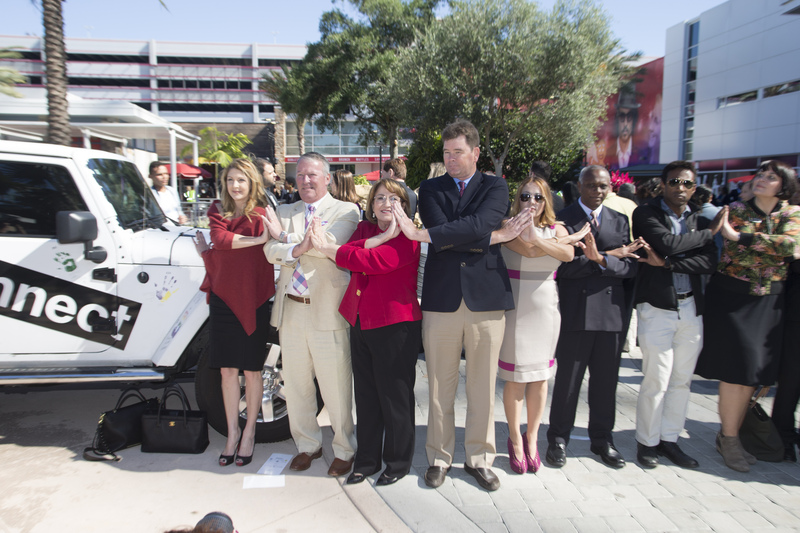 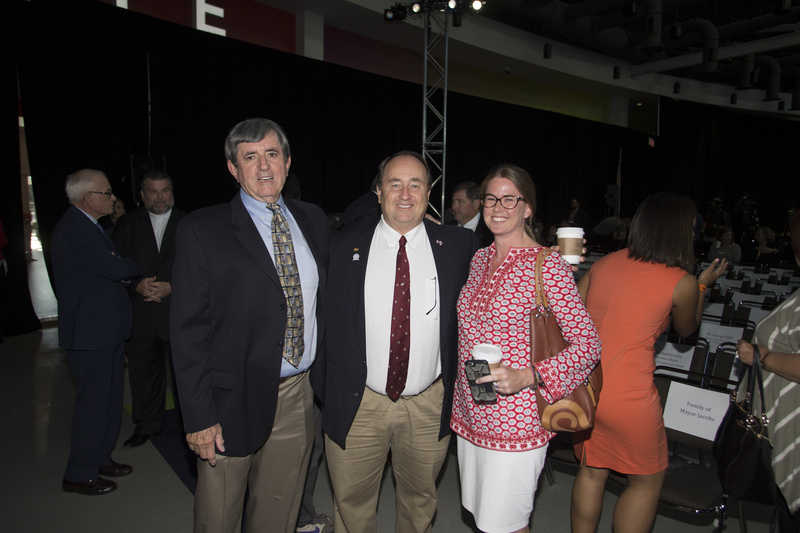 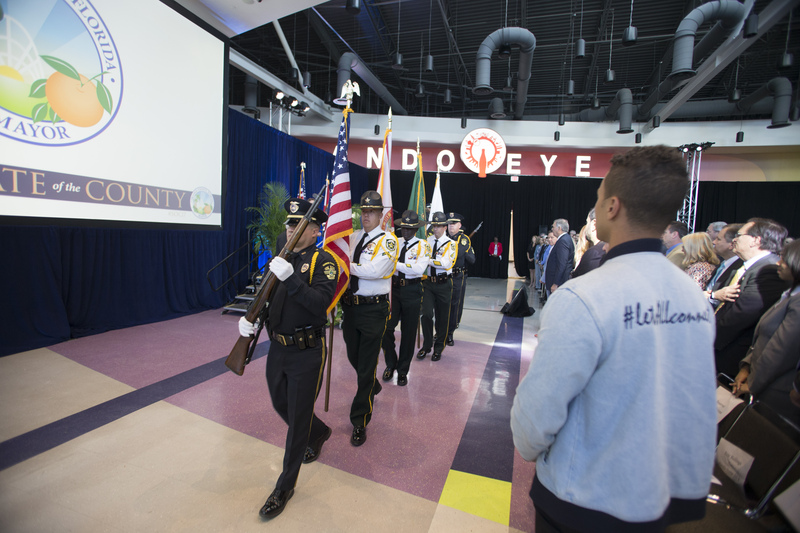 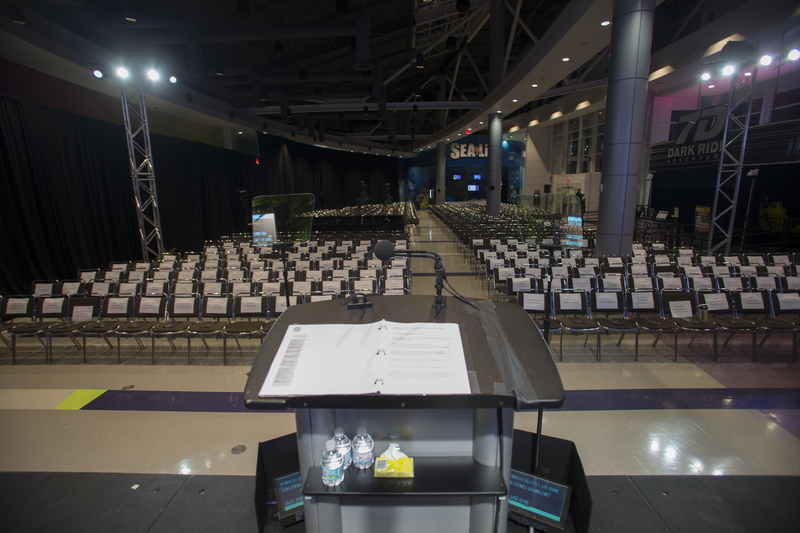 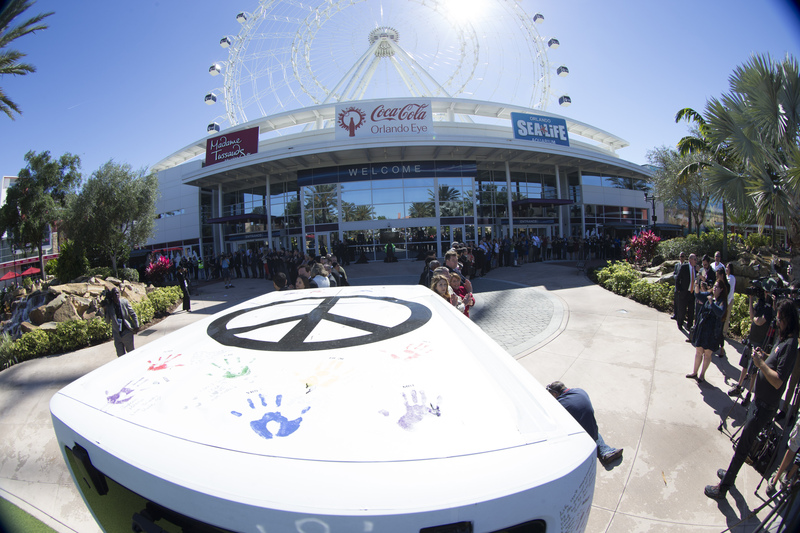 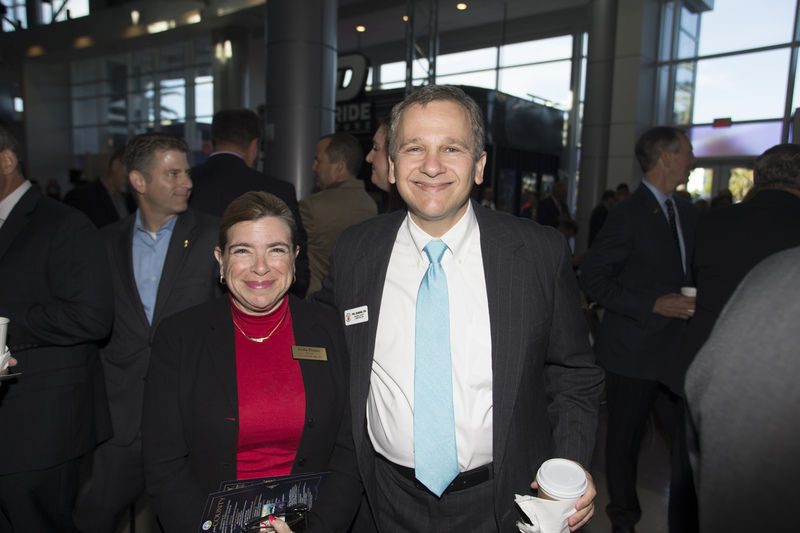 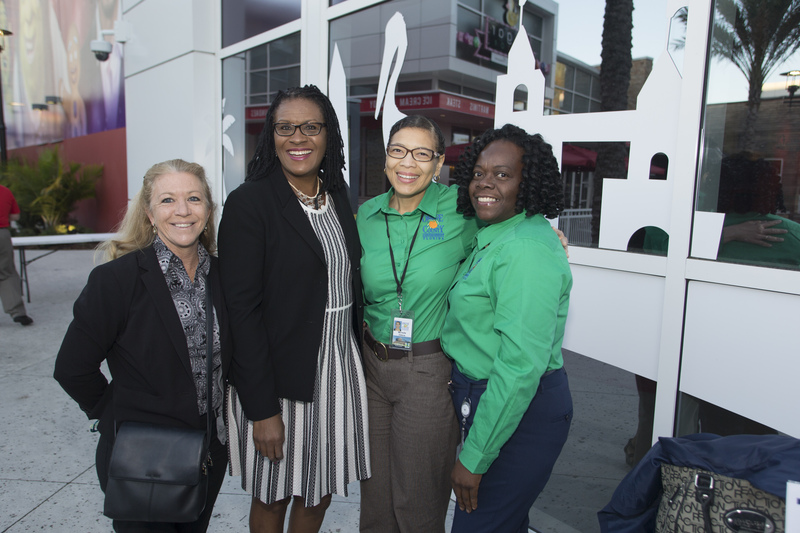 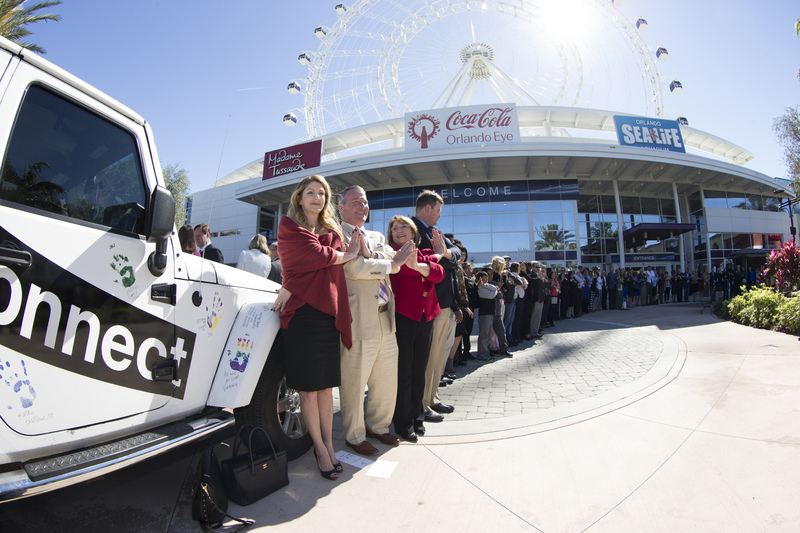 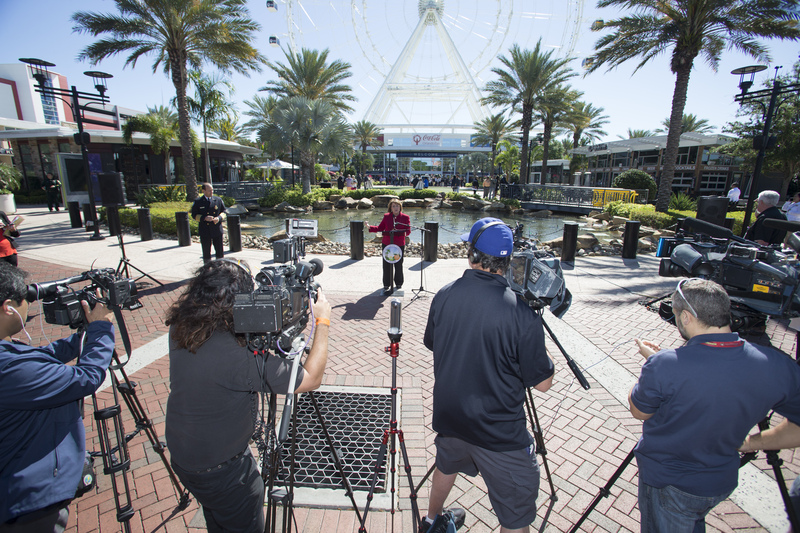 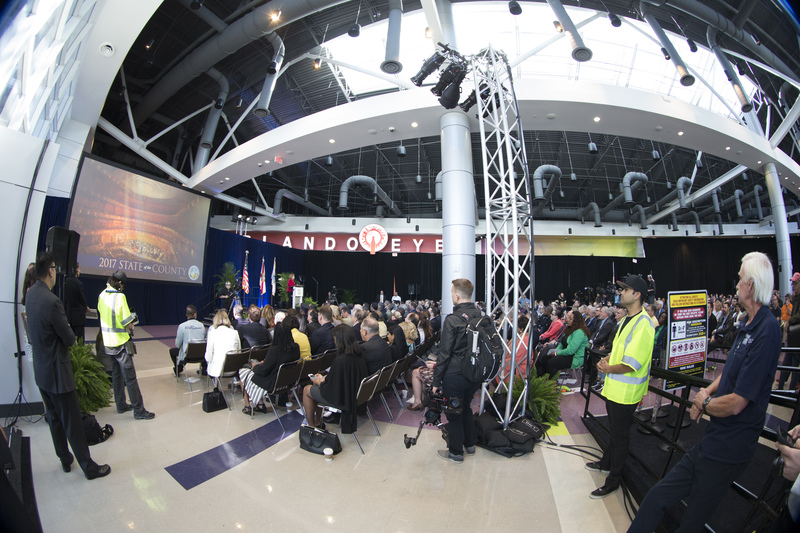 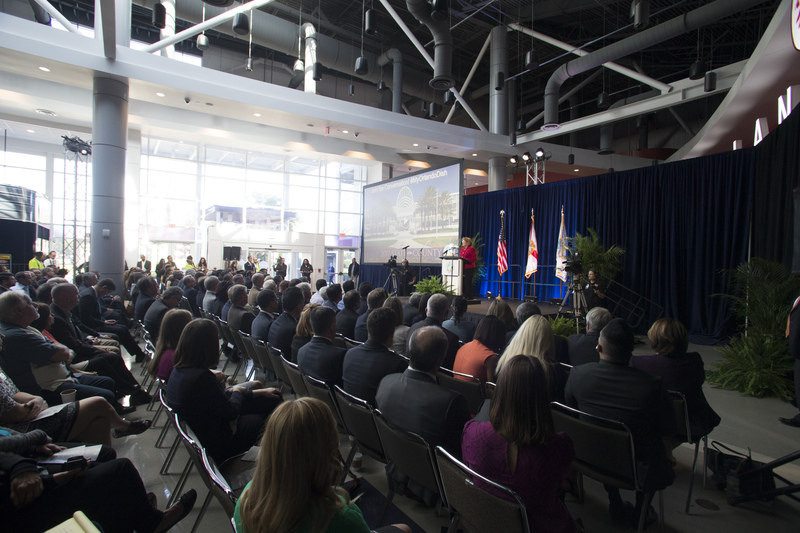 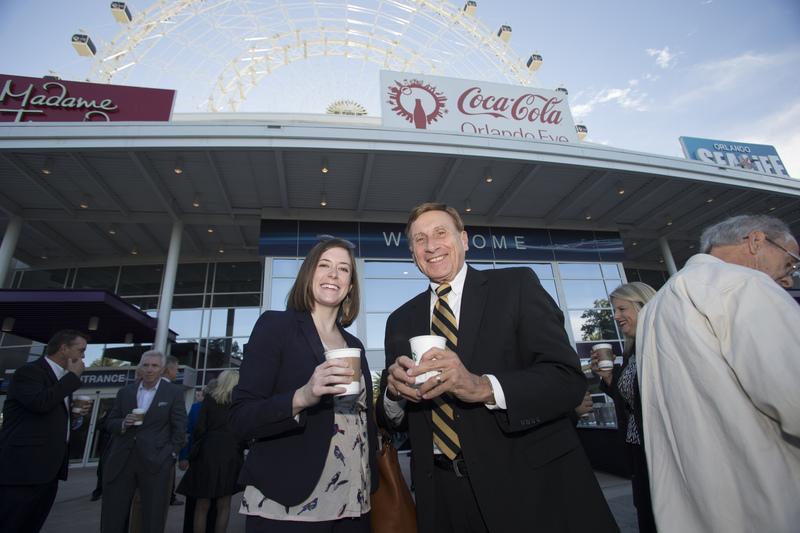 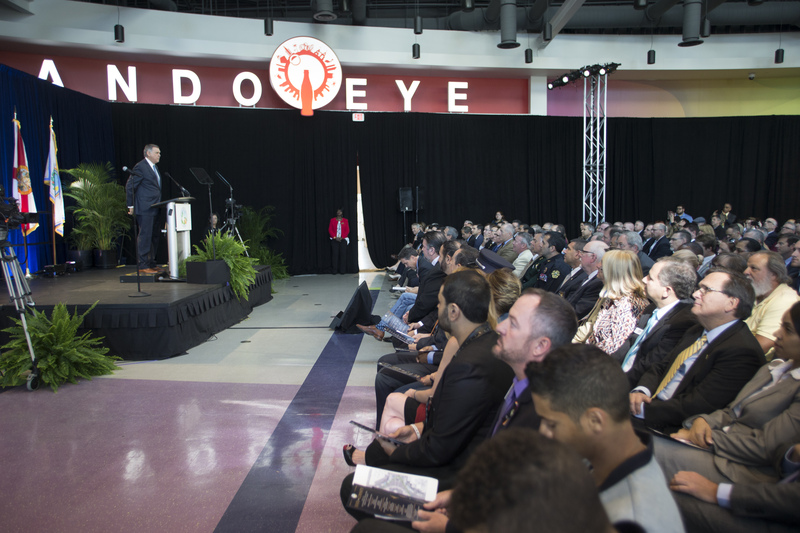 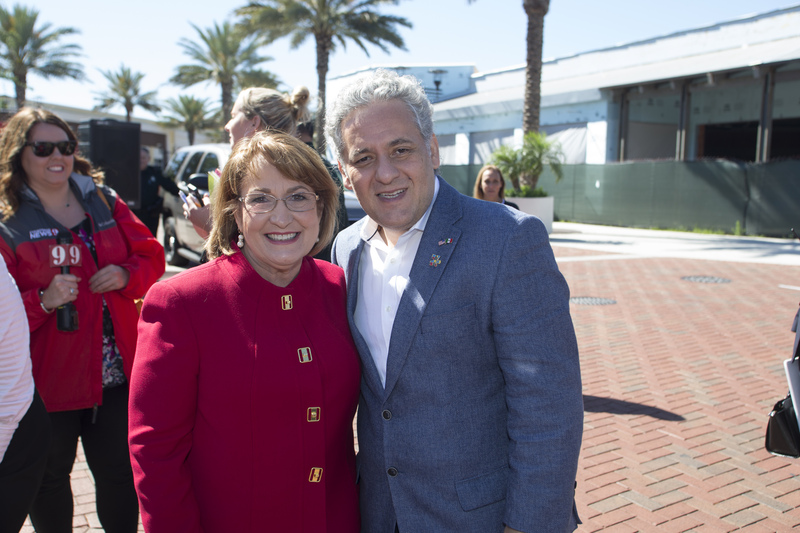 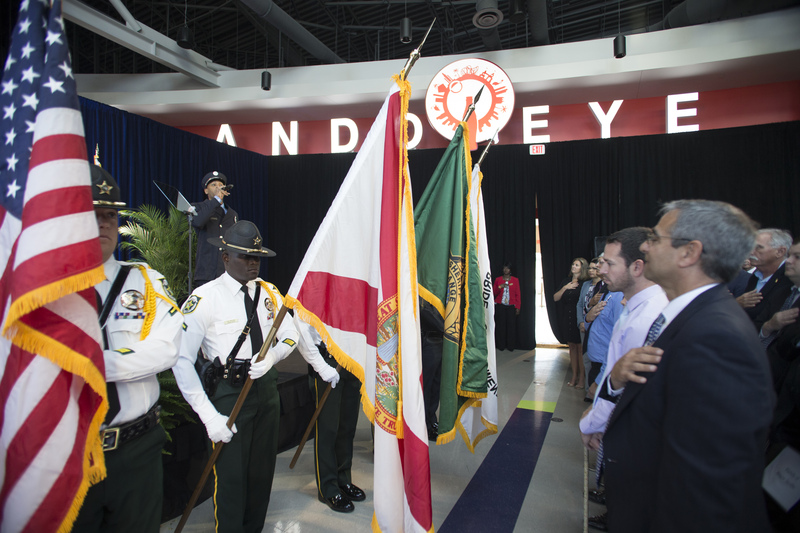 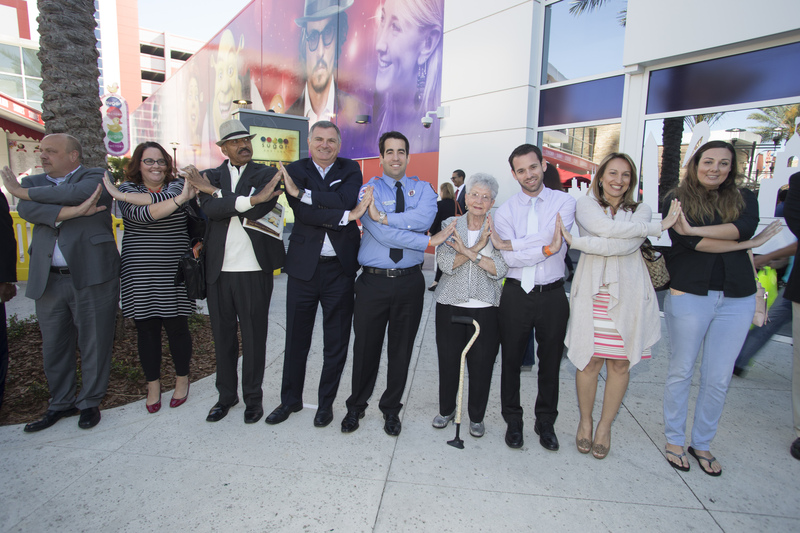 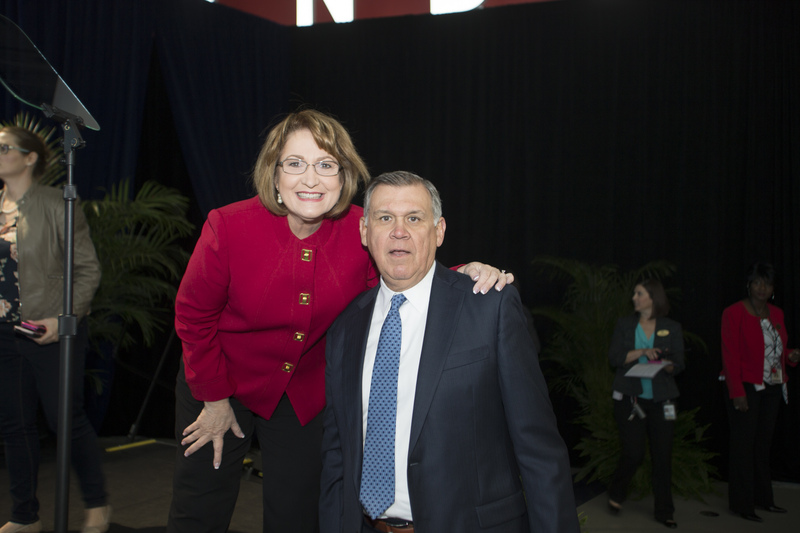 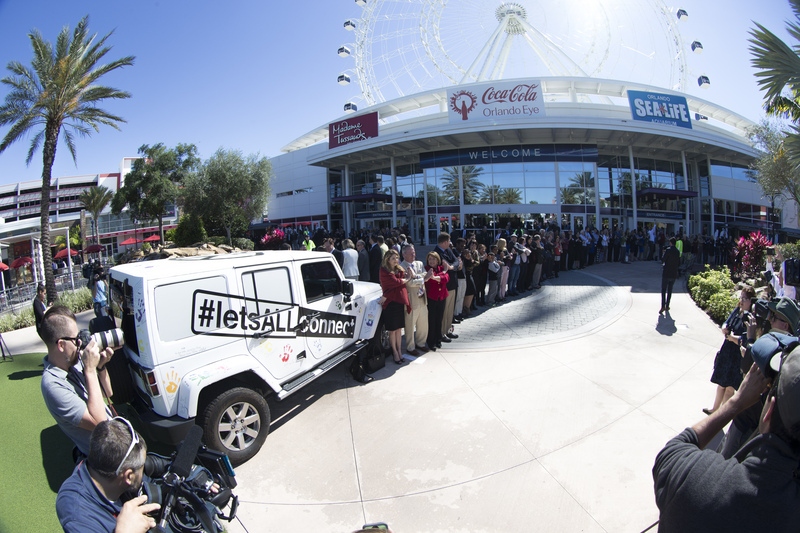 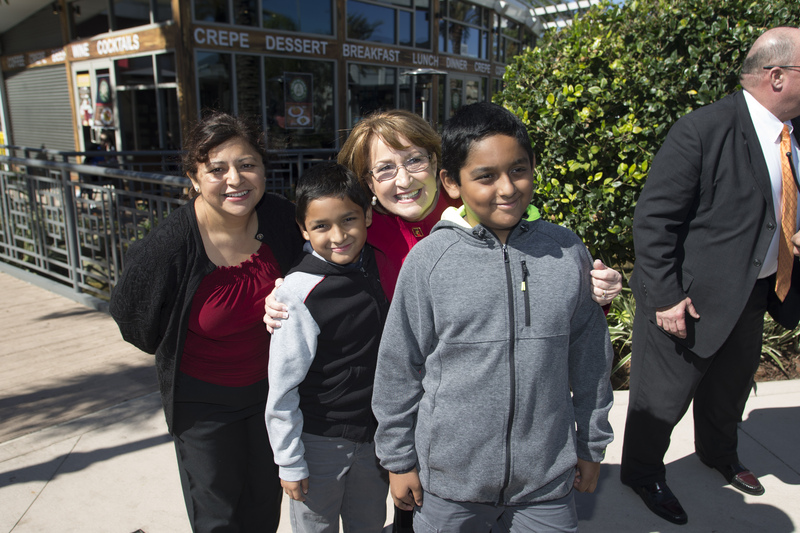 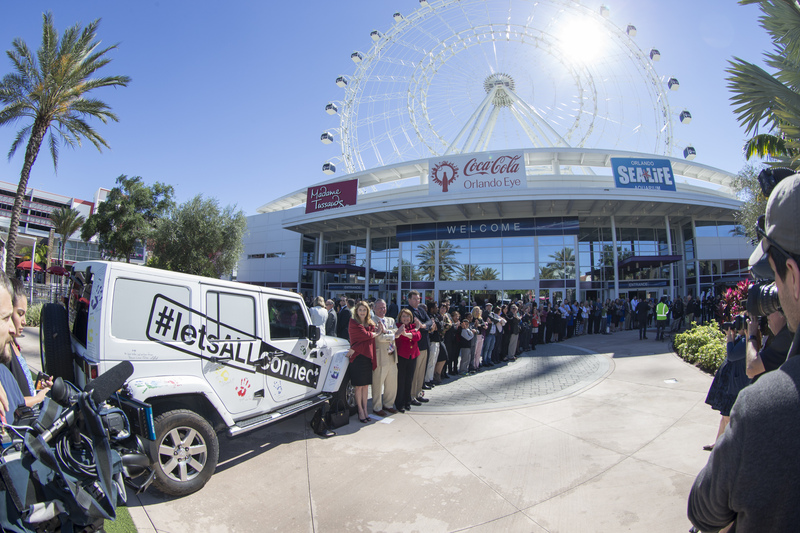 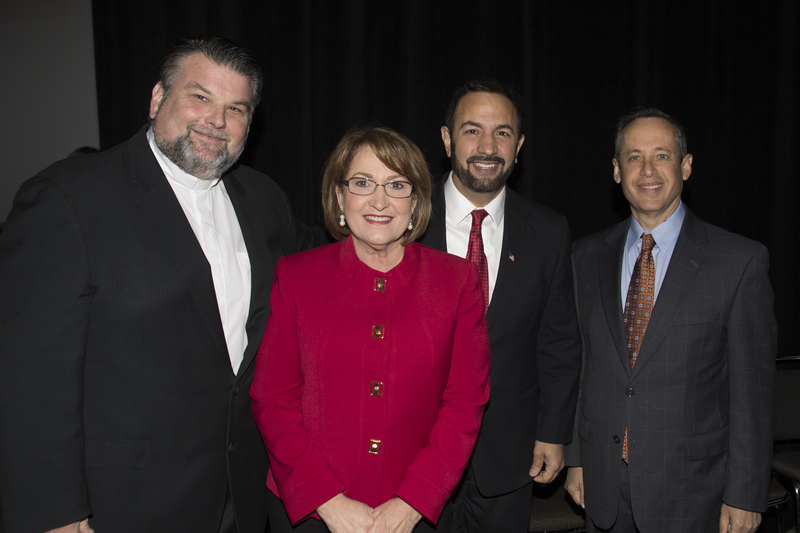 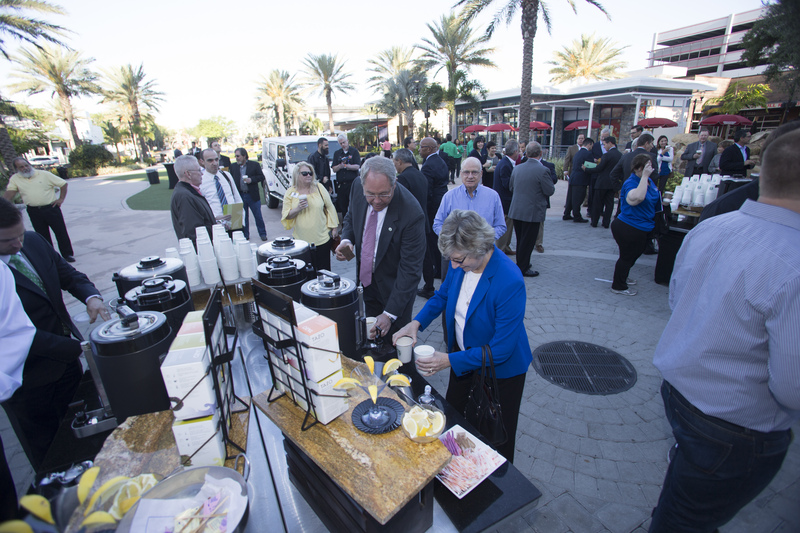 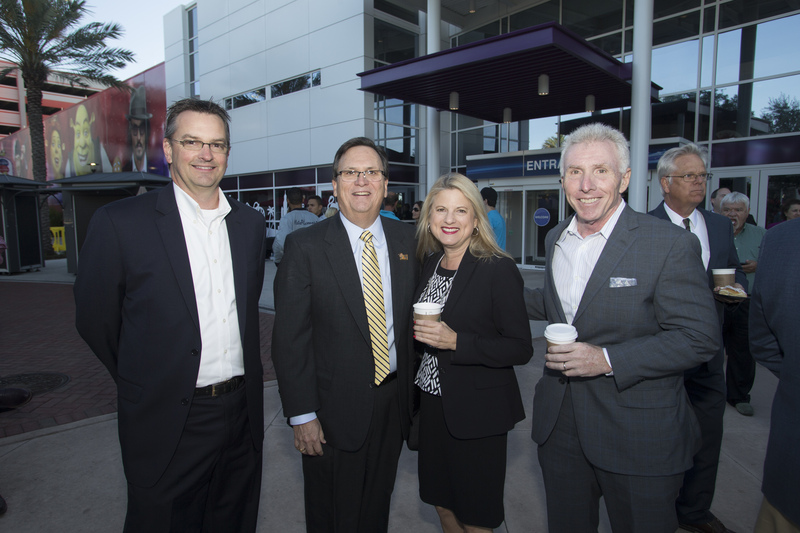 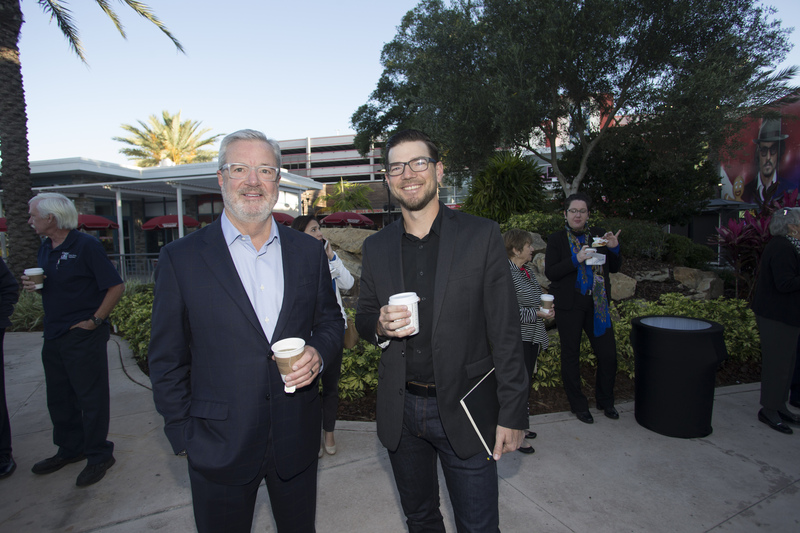 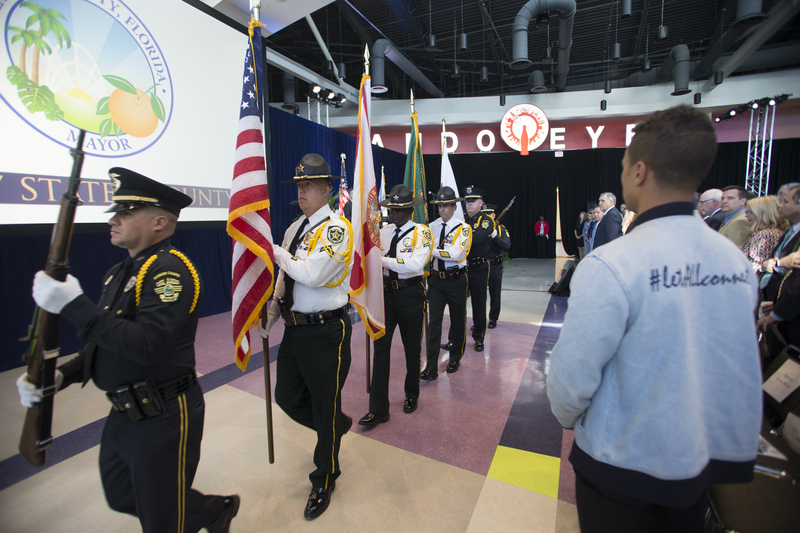 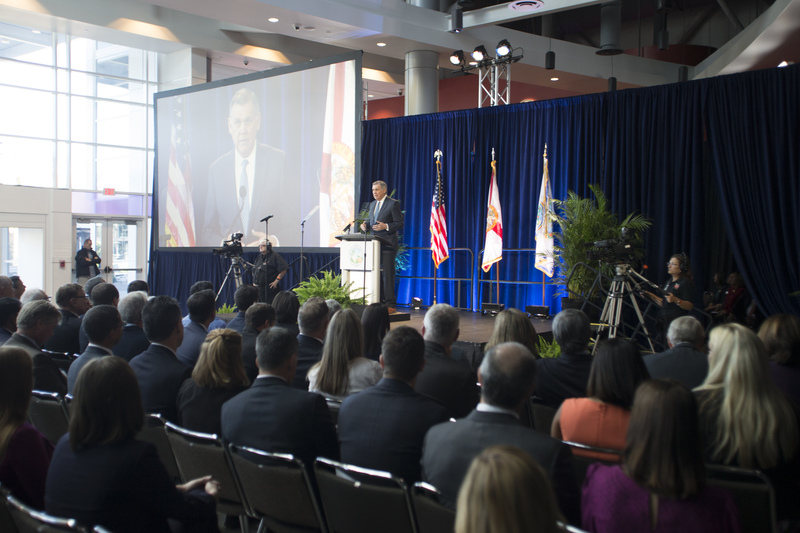 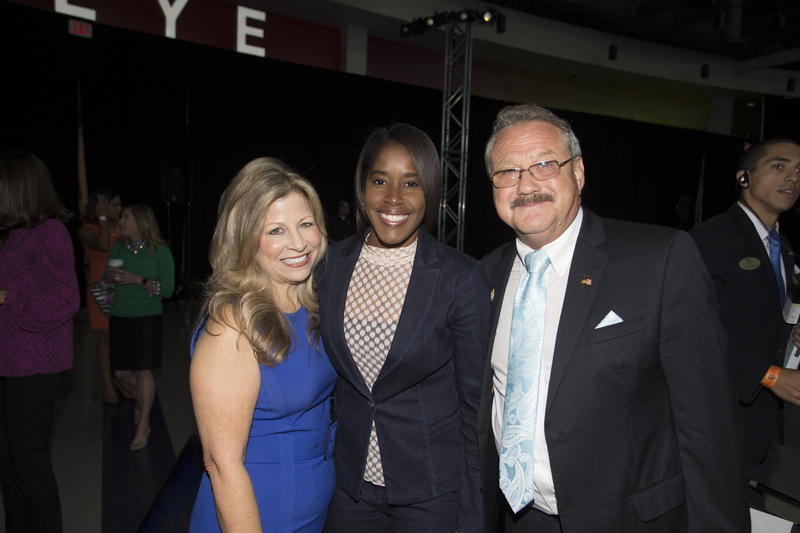 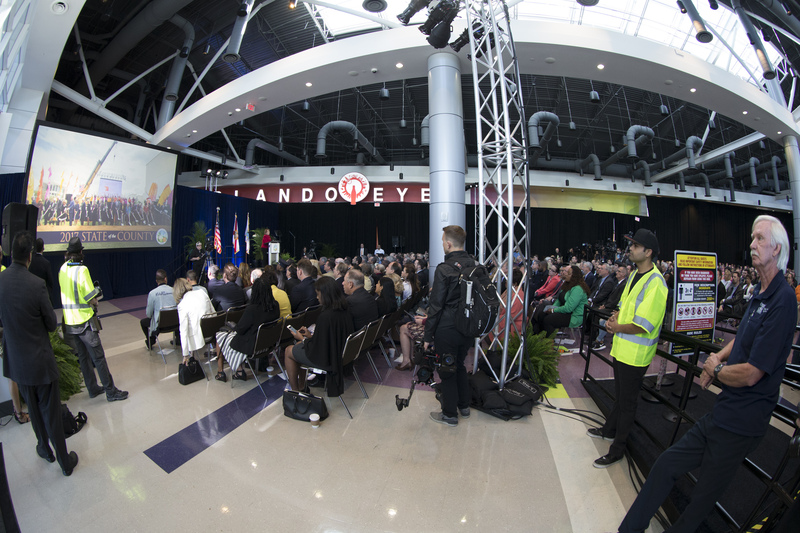 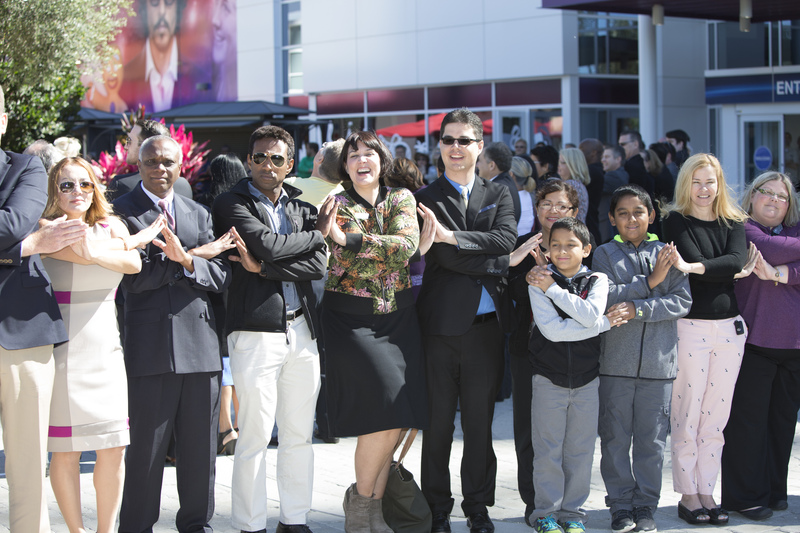 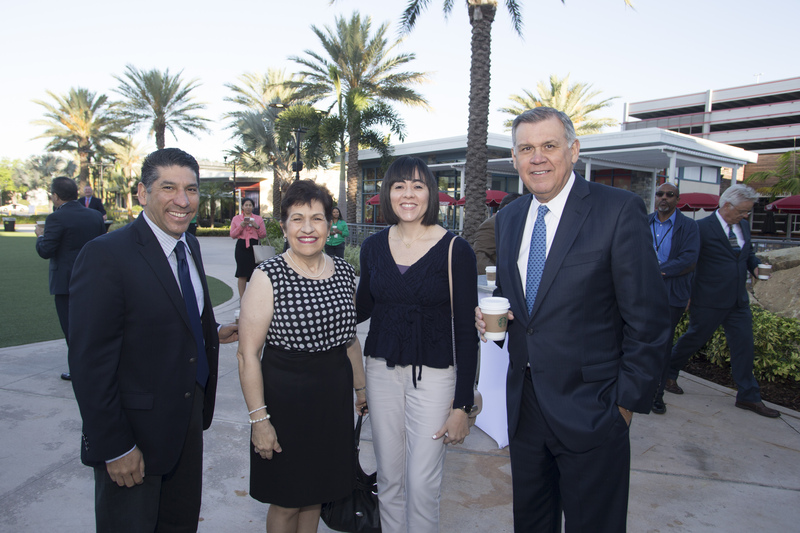 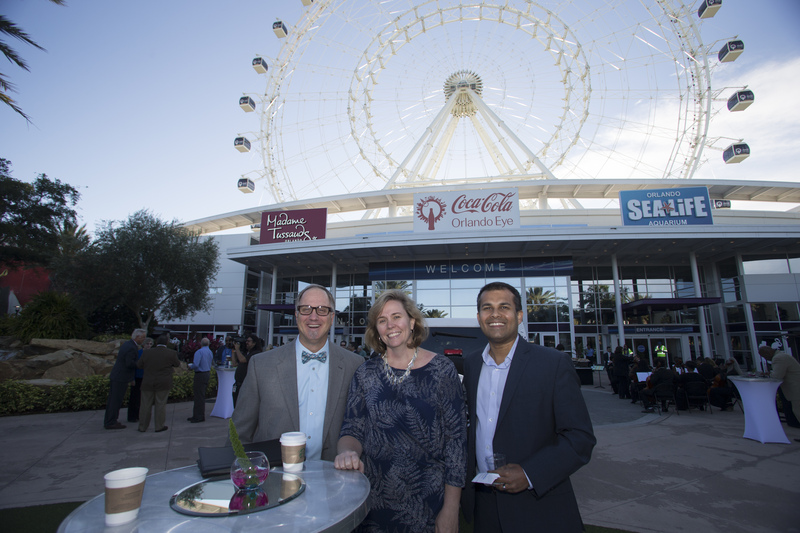 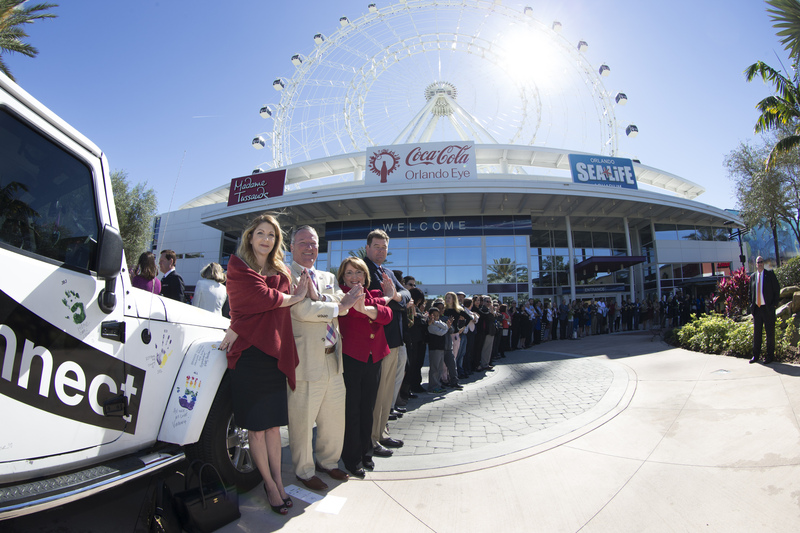 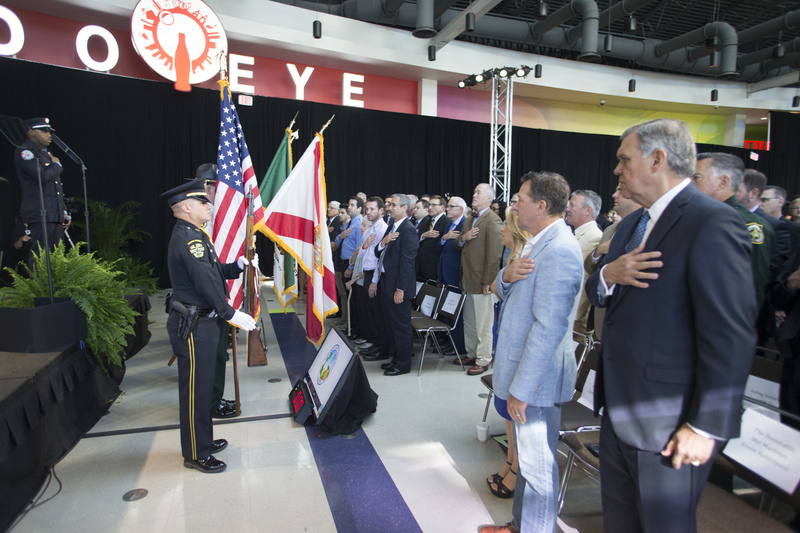 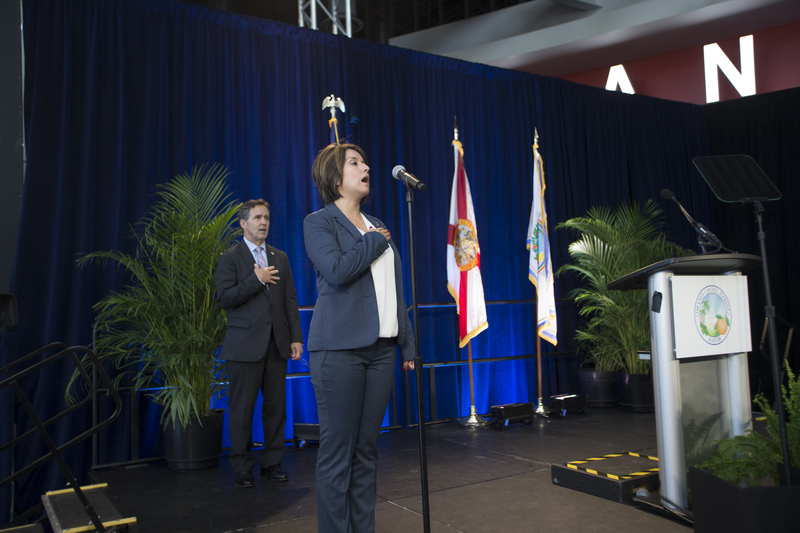 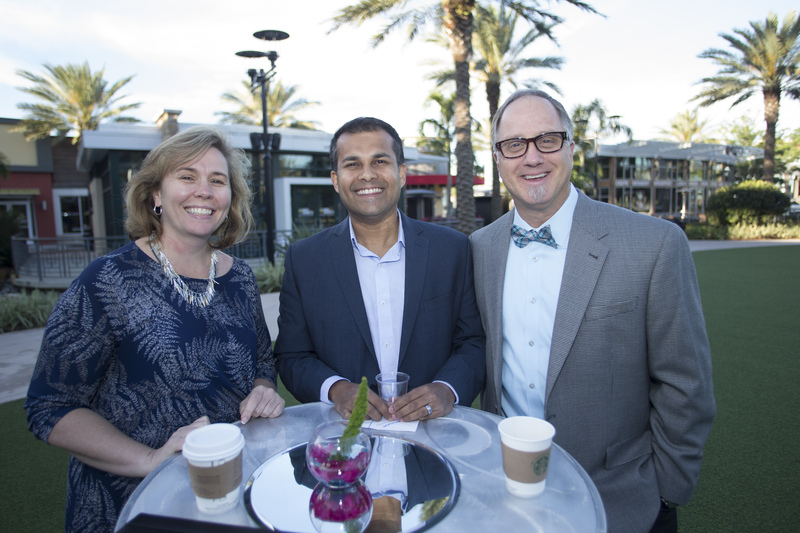 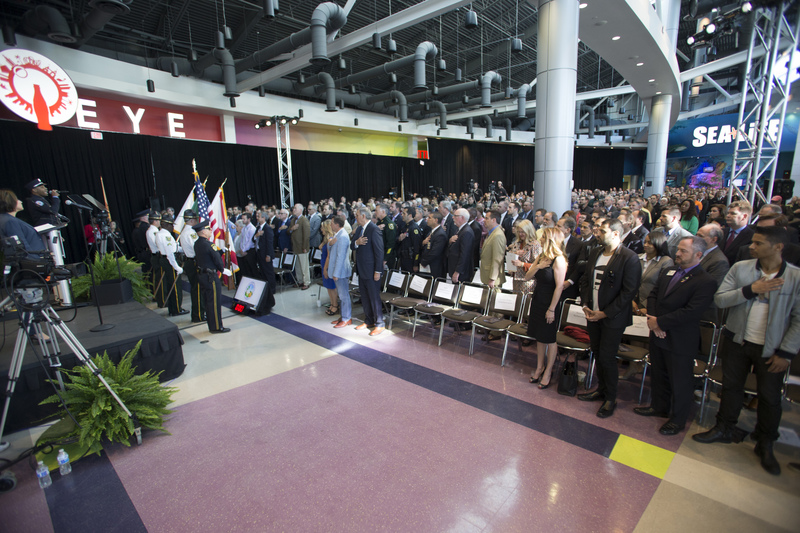 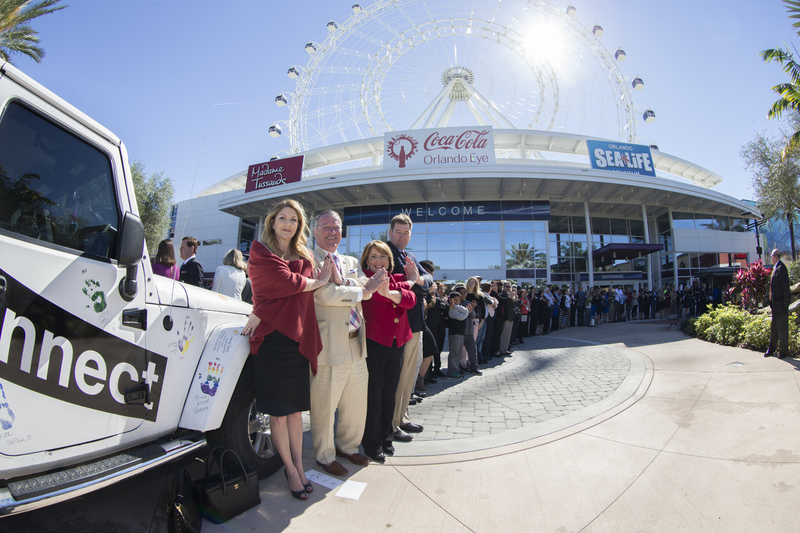 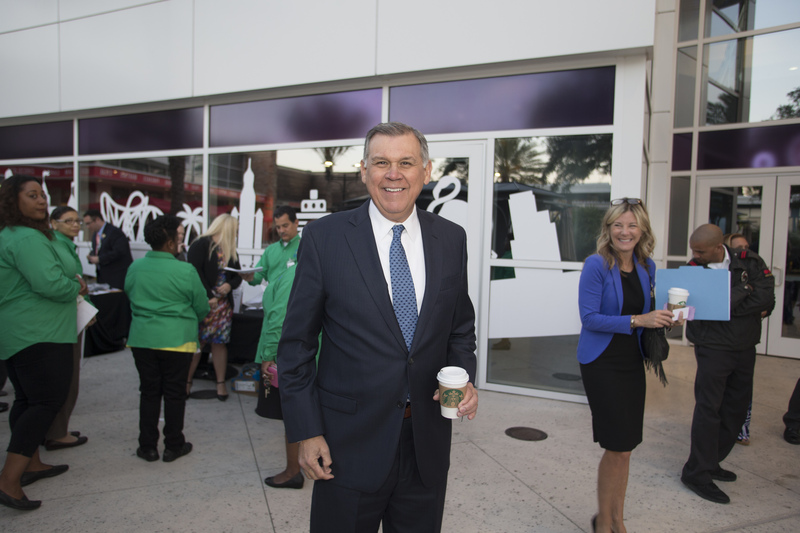 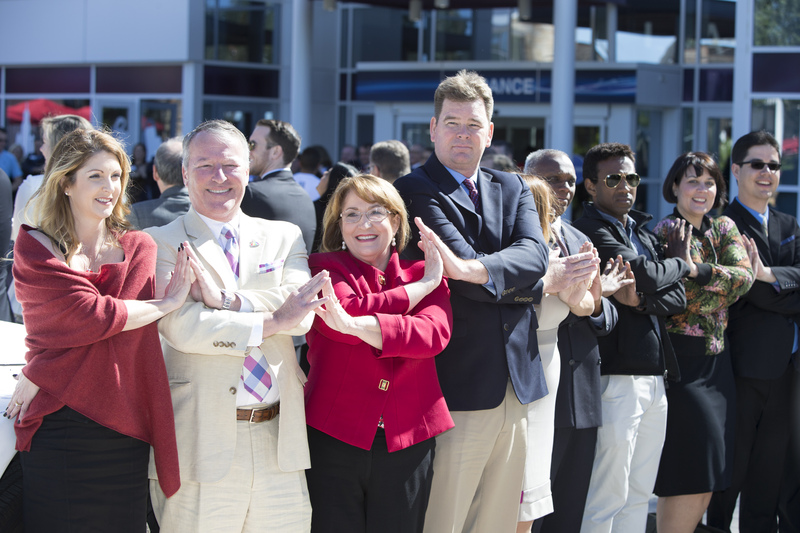 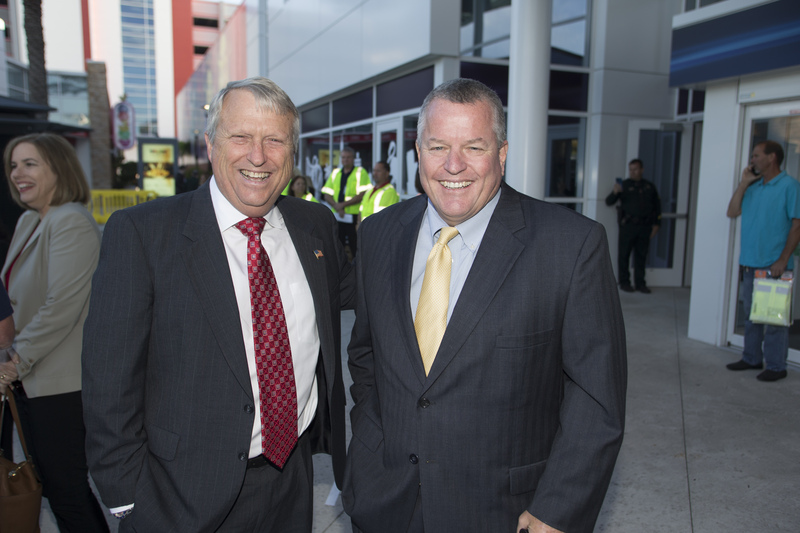 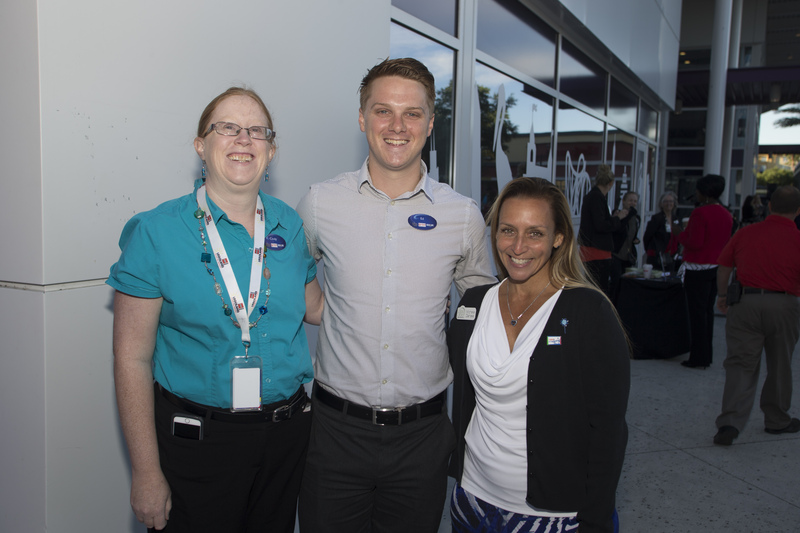 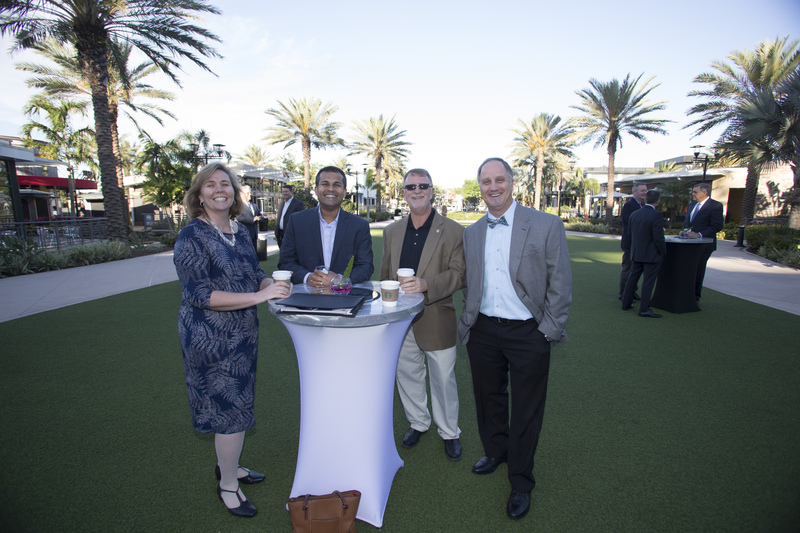 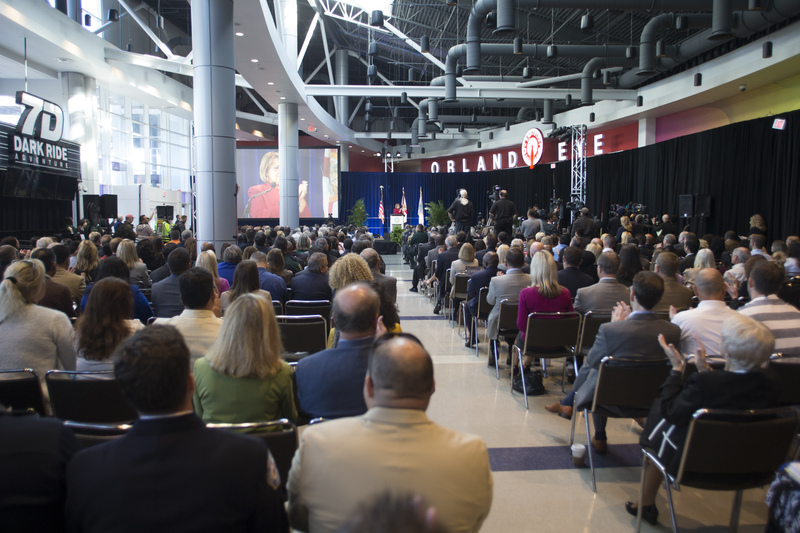 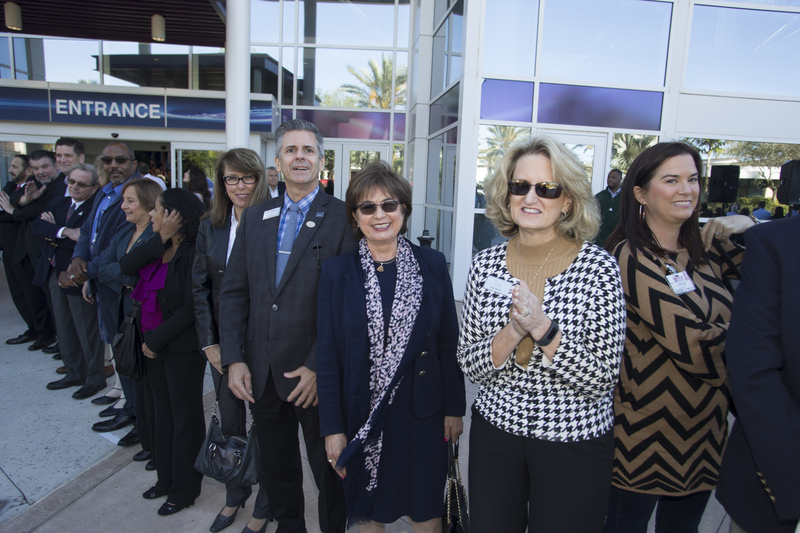 On April 7, Orange County Mayor Teresa Jacobs welcomed hundreds of citizens and community leaders to the 2017 State of the County address at I-Drive 360, home to the Coca-Cola Orlando Eye — the region’s newest attraction and the largest observation wheel on the East Coast. 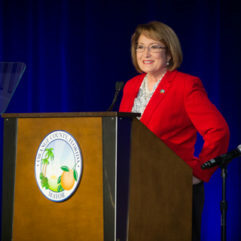 Under Mayor Jacobs’ leadership and through strong economic growth and responsible stewardship of taxpayer dollars that continue to support public safety, affordable housing, infrastructure, parks, pedestrian safety, road construction and transportation improvements, Orange County has undergone transformational quality-of-life enhancements that will benefit the region for generations to come. 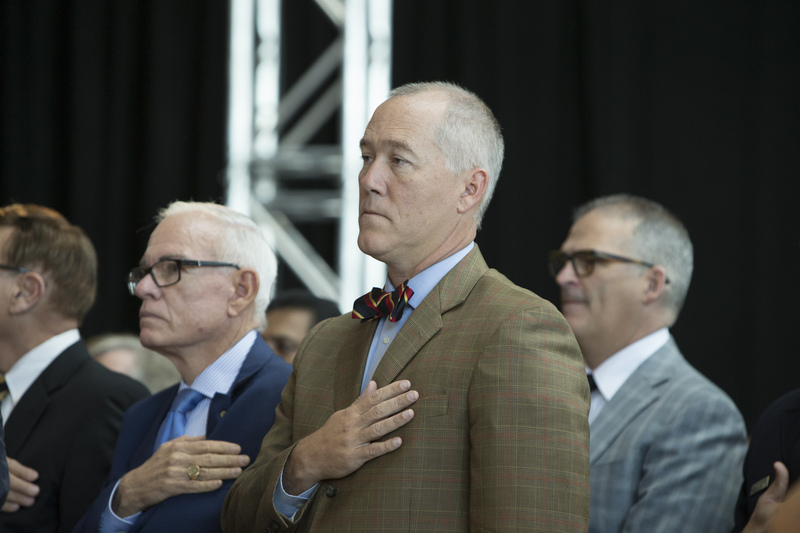 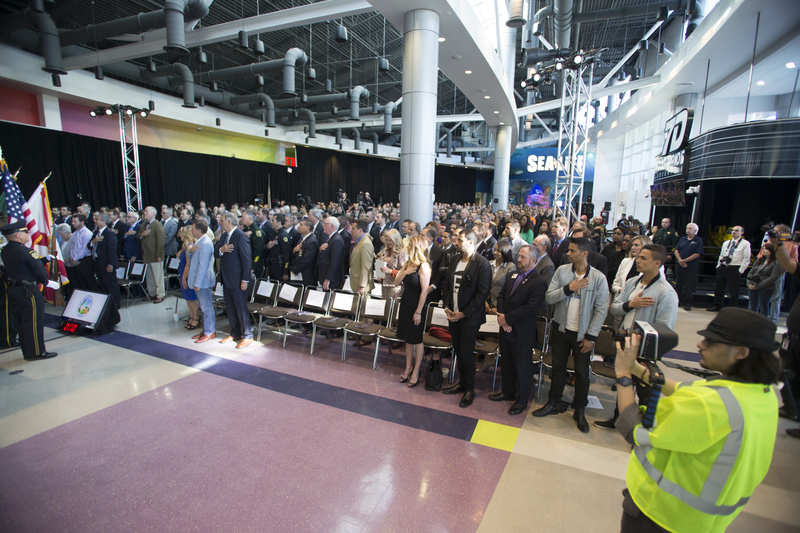 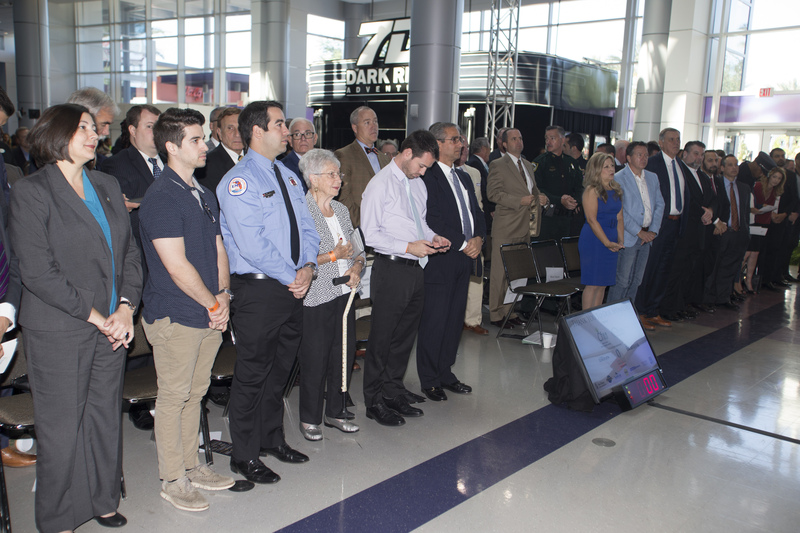 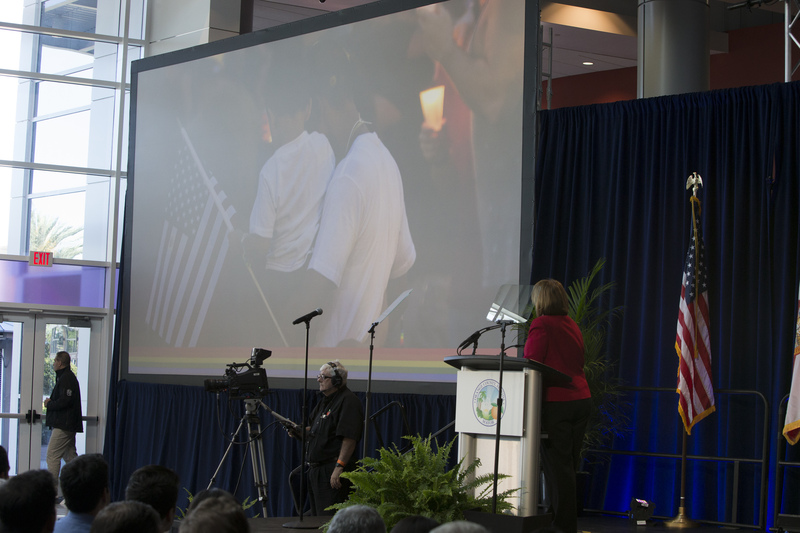 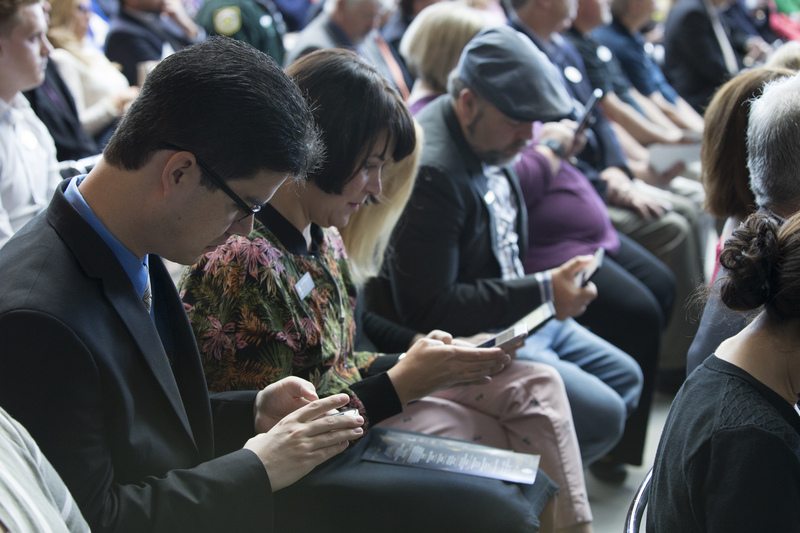 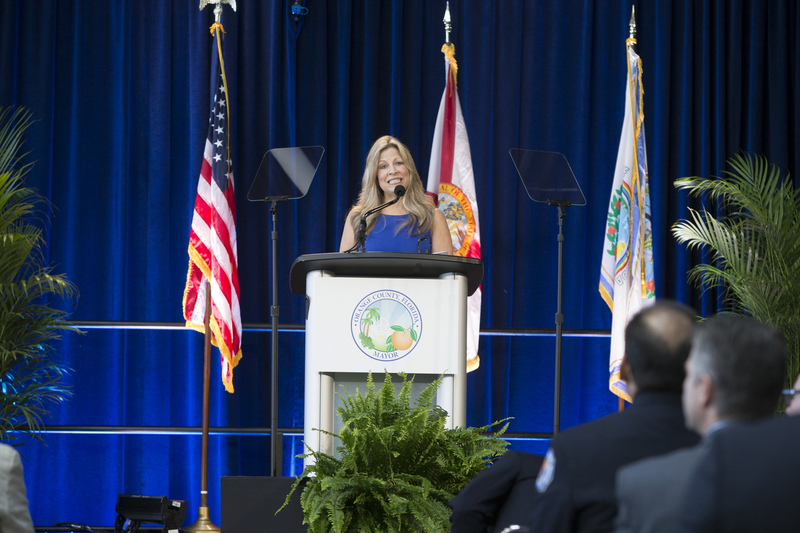 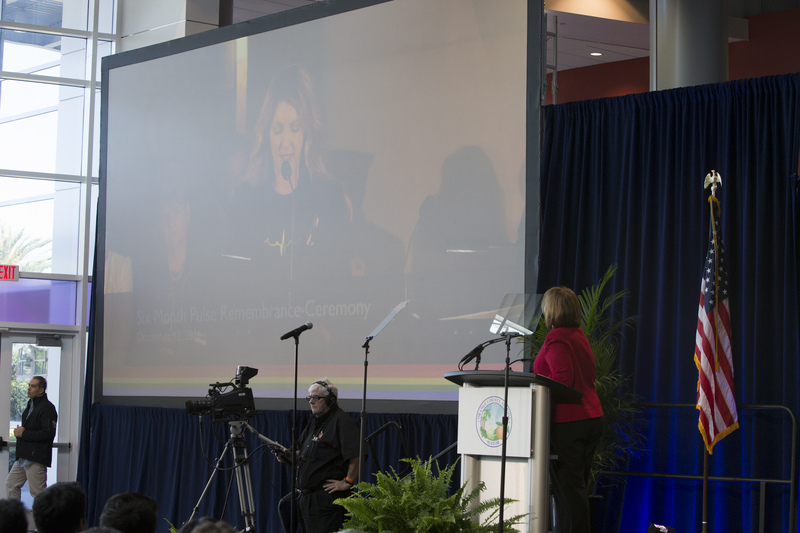 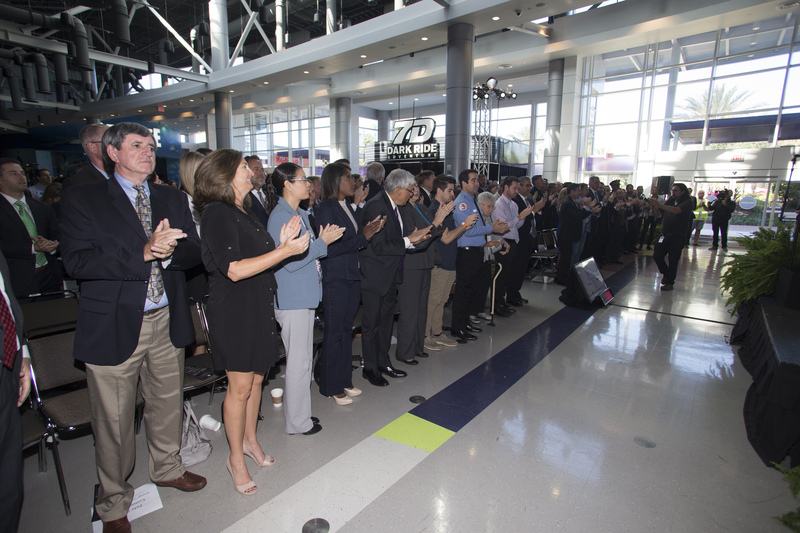 In addition to an update on the strong state of Orange County’s economic and operational abilities, a significant part of Mayor Jacobs’ address was dedicated to a poignant remembrance of the 49 lives lost in the 2016 Pulse tragedy, the heartbreaking loss of two law enforcement officers earlier this year and how the region’s culture of collaboration, compassion and confidence continues to be a beacon of light, hope and unity worldwide. 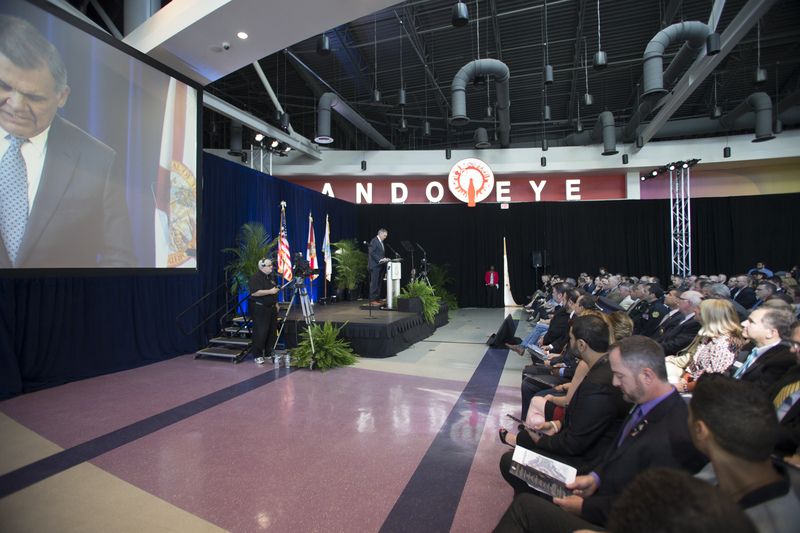 Highlighted in the State of the County address was the strength of our local economy — a key factor in propelling Orange County’s bright future. 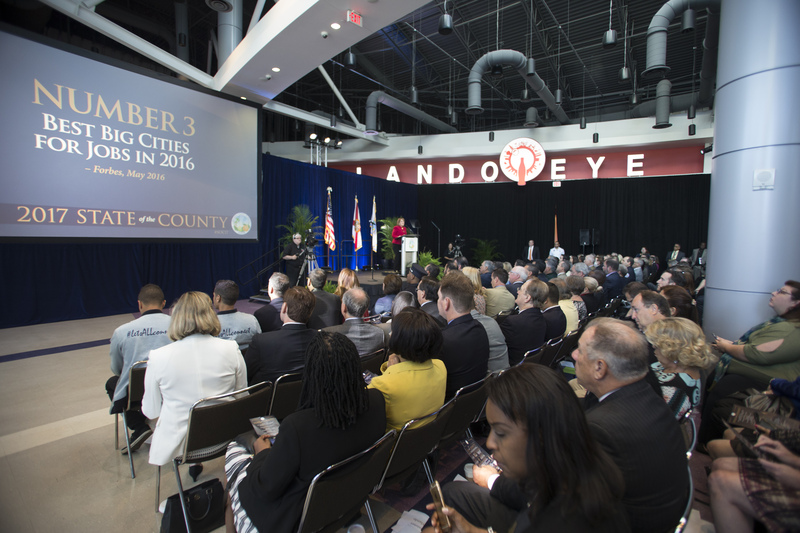 Since 2010, the County’s unemployment rate has dropped from 11 percent to 4.2 percent today. 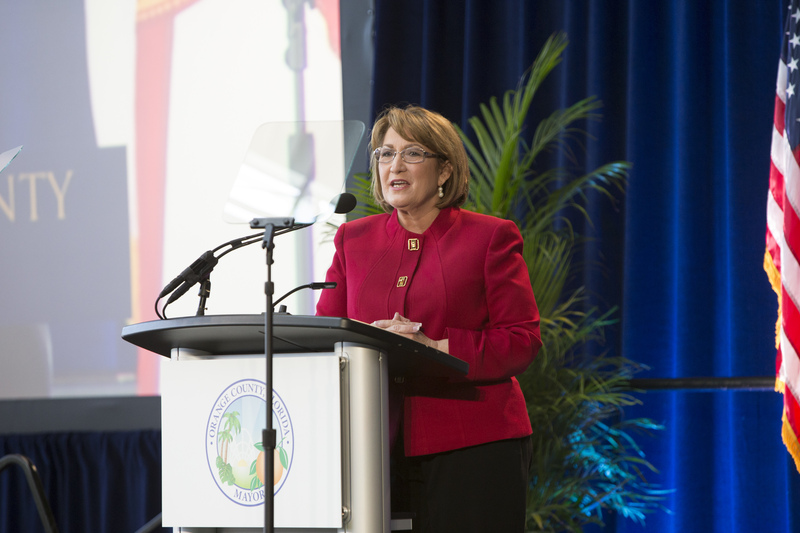 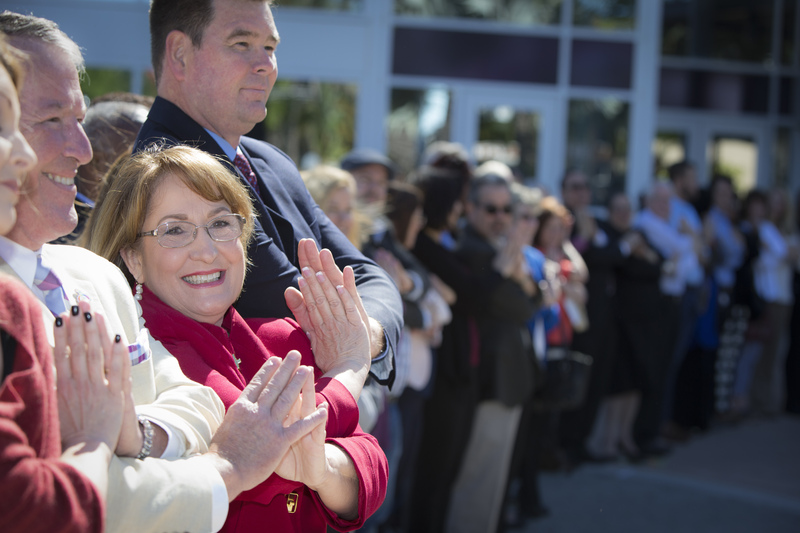 Since Mayor Jacobs became Mayor, 127,000 new jobs have been created and as a result, for the second year in a row, Central Florida ranked number one in the nation for job growth among large regions. 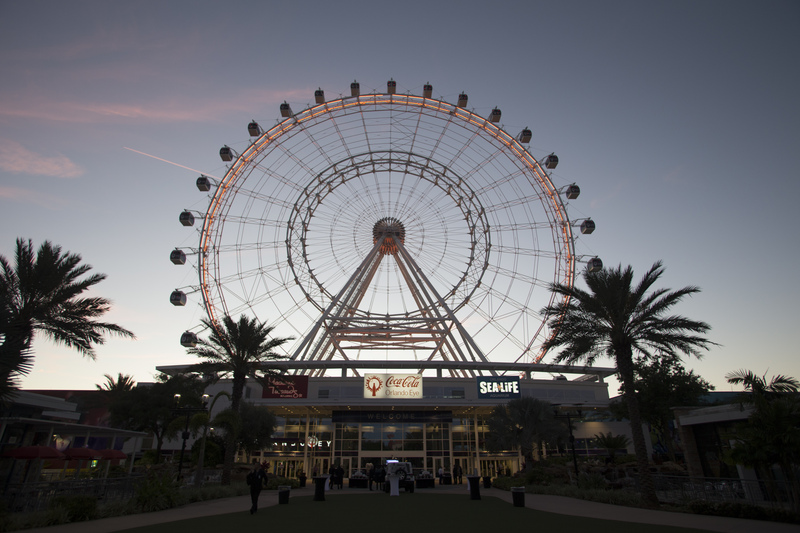 Additionally, Forbes magazine ranked the metro Orlando region No. 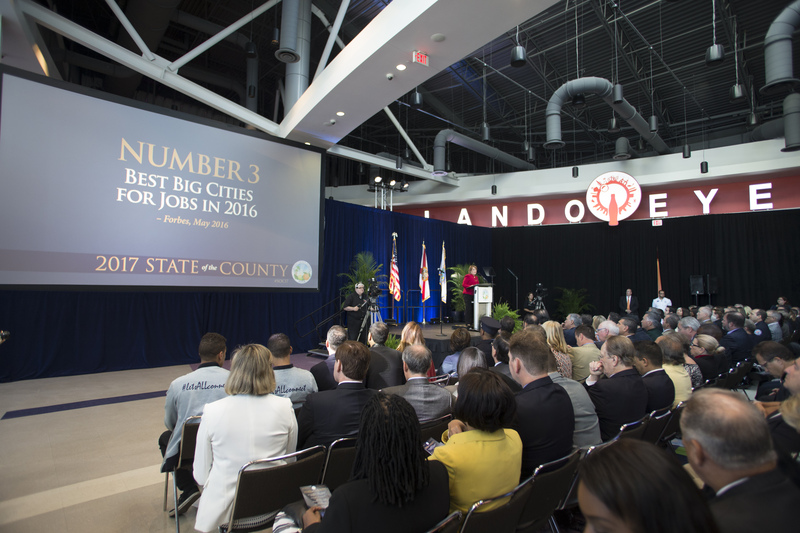 3 for “Best Big Cities for Jobs” and among the top “10 Cities Americans are Moving to Right Now” in 2016. 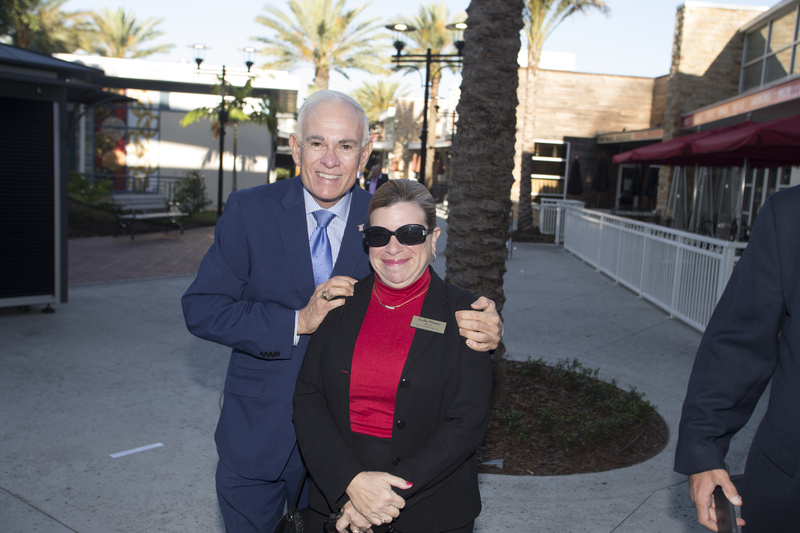 Another crucial Forbes ranking captured Orange County’s rising wages — a key factor for sustained economic health. 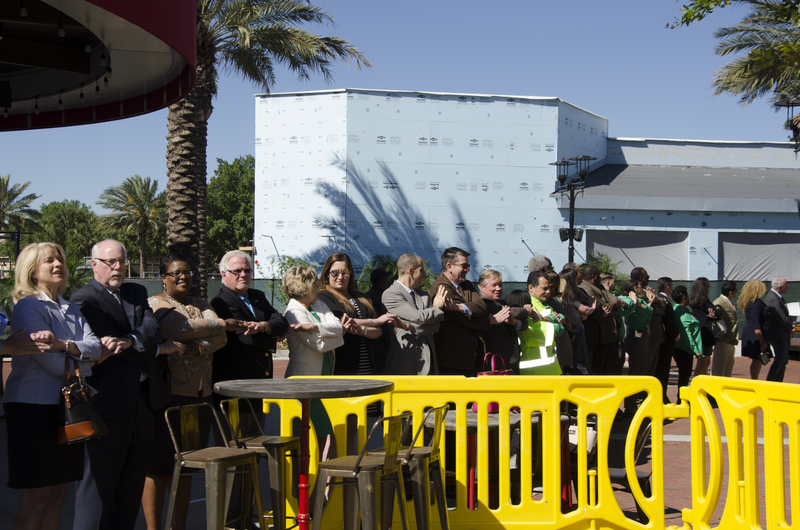 Housing starts are also a good indicator of overall strength. 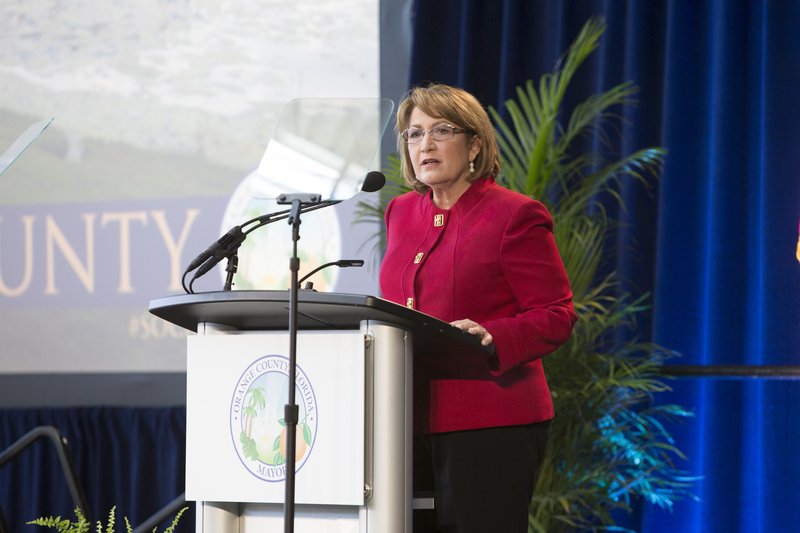 As Mayor Jacobs reported, Orange County’s permitting numbers reflect the same healthy momentum of reported economic metrics, with more than 3,500 new homes built last year, catapulting Orange County’s 2016 building permit valuations to $2.5 billion dollars — a 31 percent increase from 2015. 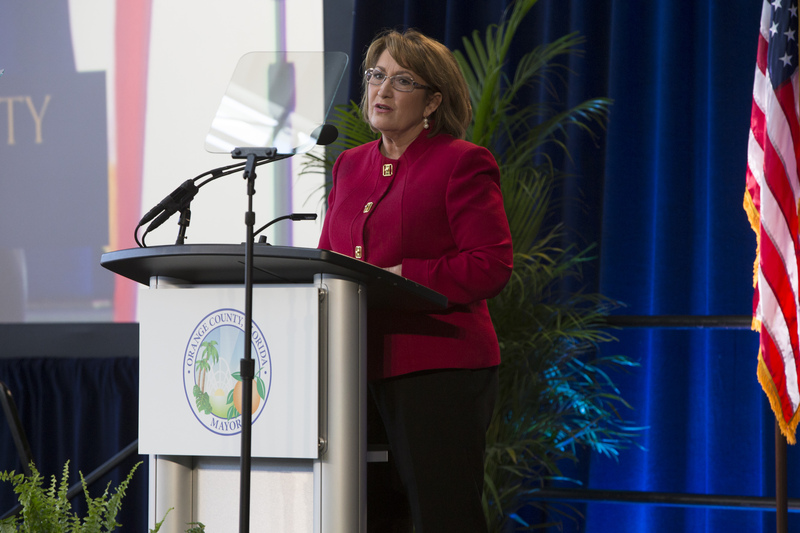 Previously announced by Mayor Jacobs, property tax collections — by far the County’s largest source of revenue — had fallen by 24.8 percent during the recession. 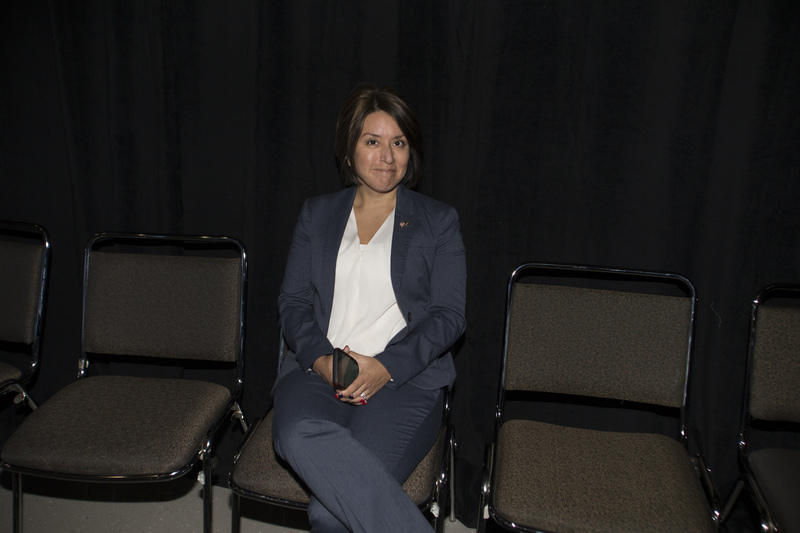 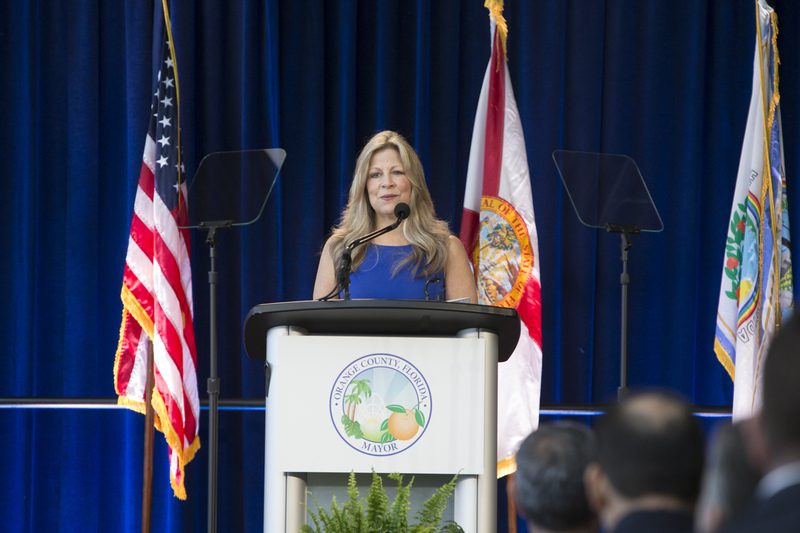 This year however, property tax revenue finally returned to their pre-recession levels, thanks to aggressive economizing, restructuring and fiscal discipline practices that Mayor Jacobs instituted upon her election to the office of Mayor in 2010. 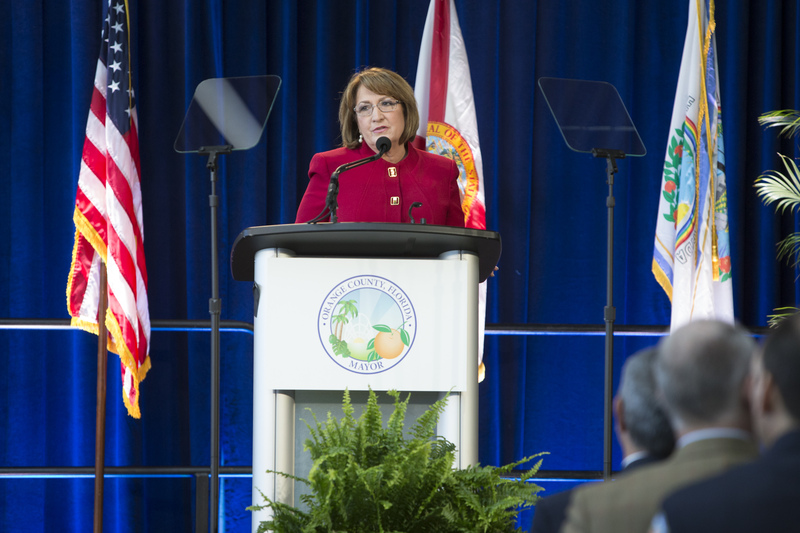 Orange County has continuously balanced its budget — without cutting services and without raising taxes. This fiscal discipline has resulted in strong bond and market ratings for the County and great saving and fiscal benefit for taxpayers. 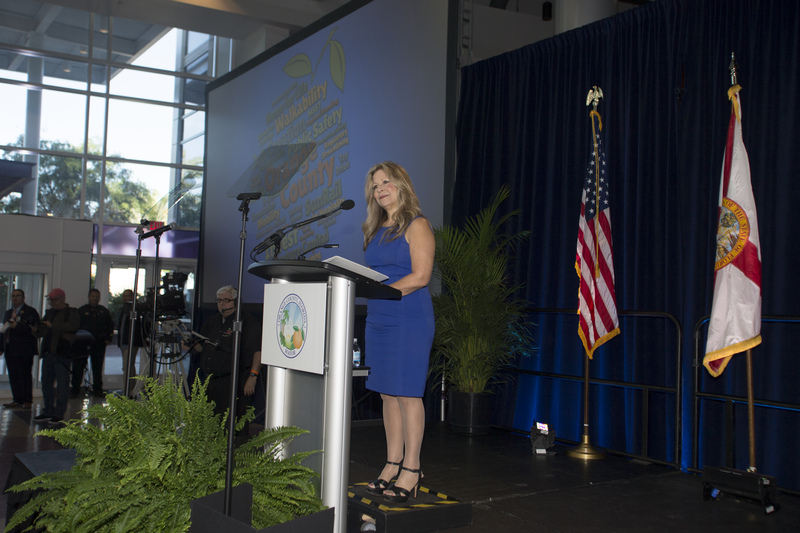 Mayor Jacobs also reported on the extraordinary benefits that Orange County enjoys as a result of the hospitality and tourism industry. 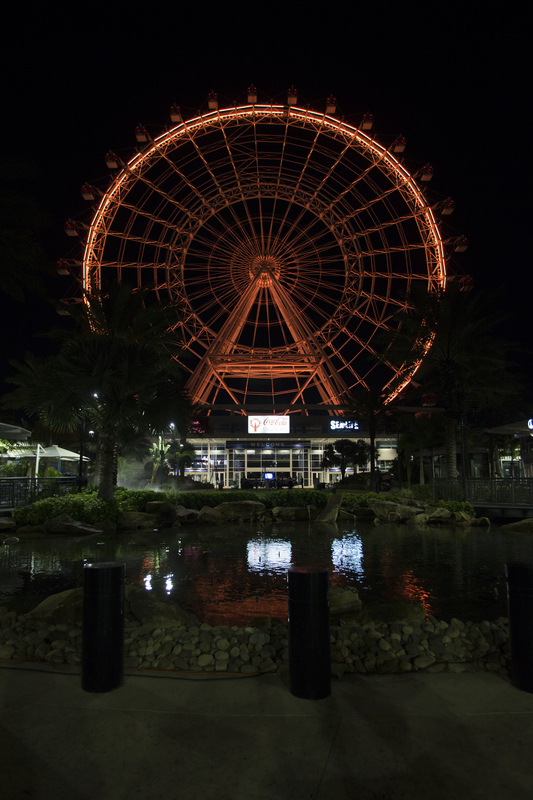 As theme parks have evolved with the use of innovative technology, thereby boosting key Central Florida industries like digital animation, modeling, simulation and training (MS&T), and other high-tech clusters, the community has benefited from the creation of tourist-generated tax revenue known as “Tourist Development Tax” (TDT) funds by allowing the ability to invest in worldwide marketing and the globally-recognized Orange County Convention Center, allowing the County to maintain its position as the No. 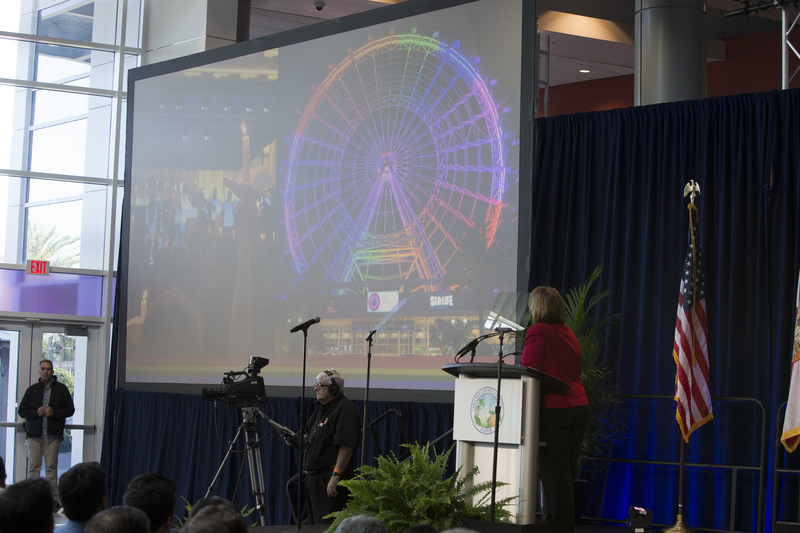 1 tourism destination in the nation. 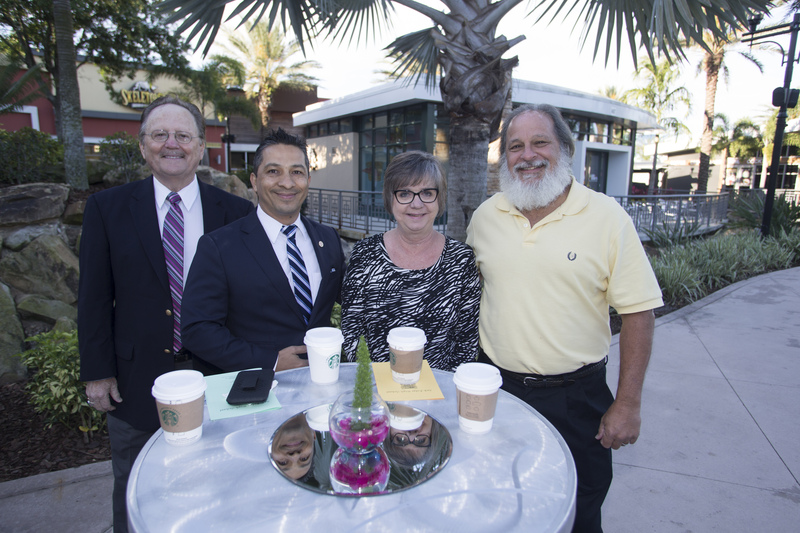 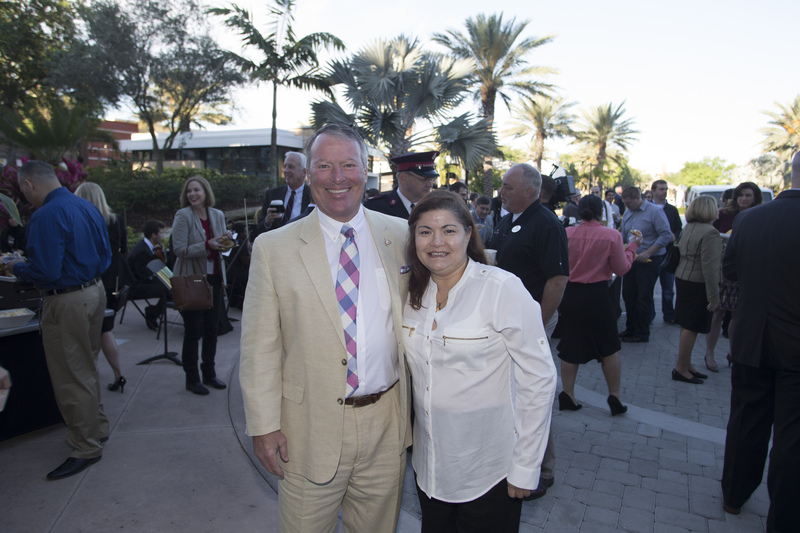 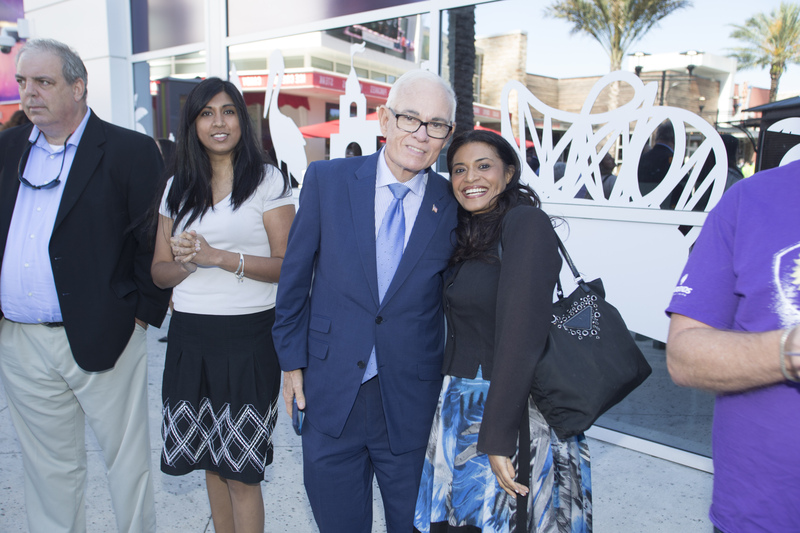 The impact of tourism throughout Orange County’s thirteen municipalities has been remarkable. 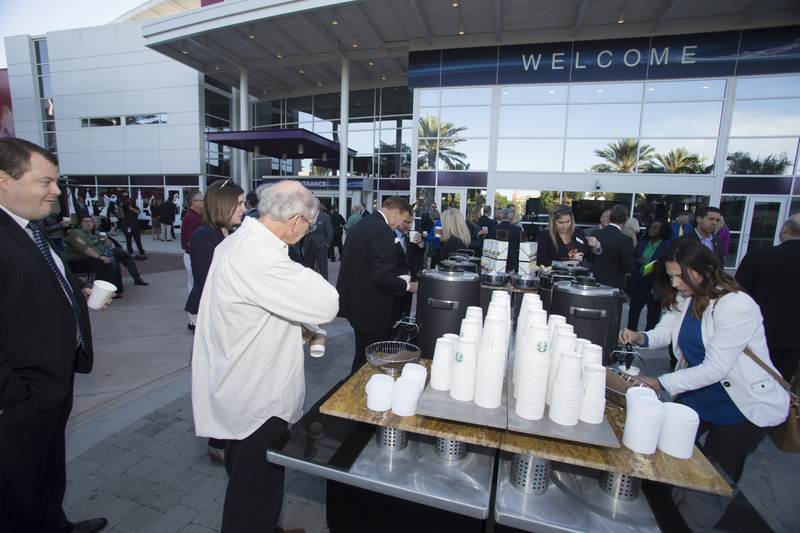 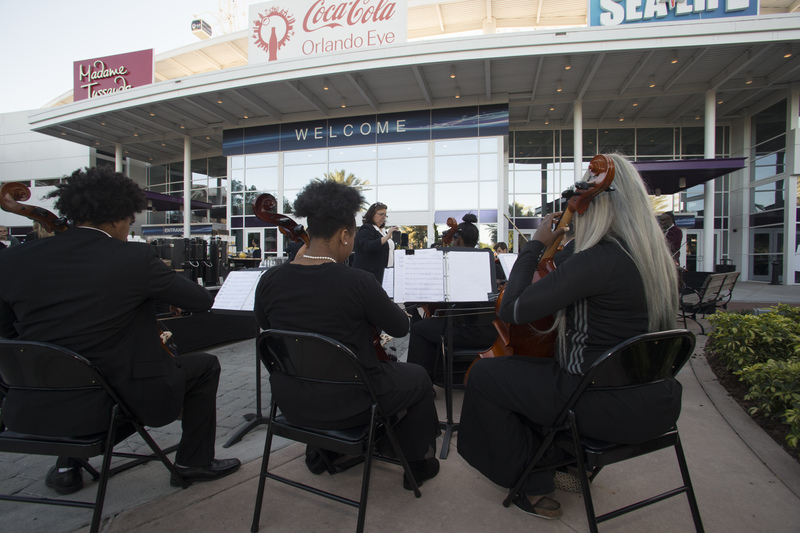 In particular, during the past 10 years Orange County has invested almost $650 million in the City of Orlando’s downtown venues, resulting in the Amway Center, the Dr. Phillips Center for the Performing Arts (now to include Phase 2, which will house Central Florida’s local philharmonic, ballet and opera companies) and an essentially “rebuilt” Camping World Stadium. 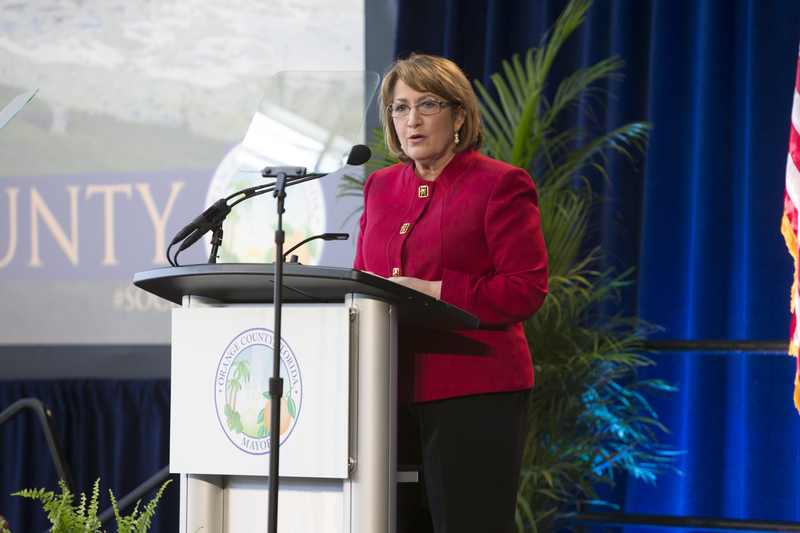 Mayor Jacobs reported on her proposal to free up substantial TDT funding, which she introduced in the fall of 2016. 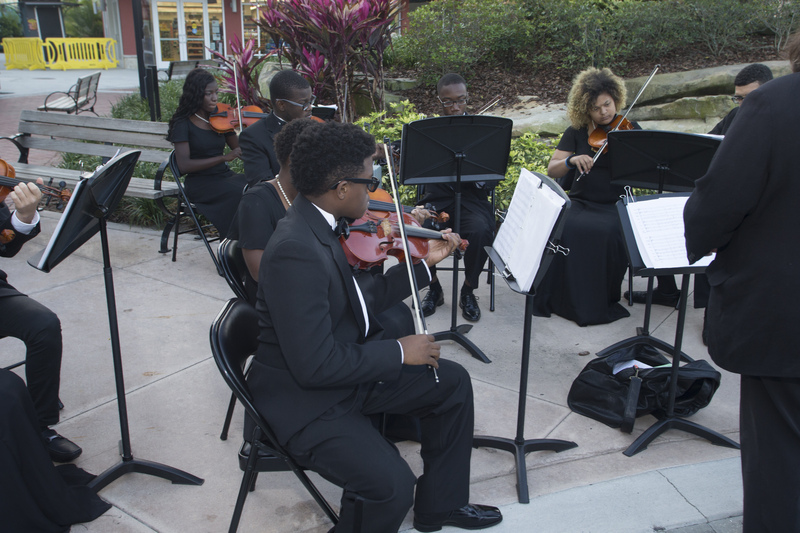 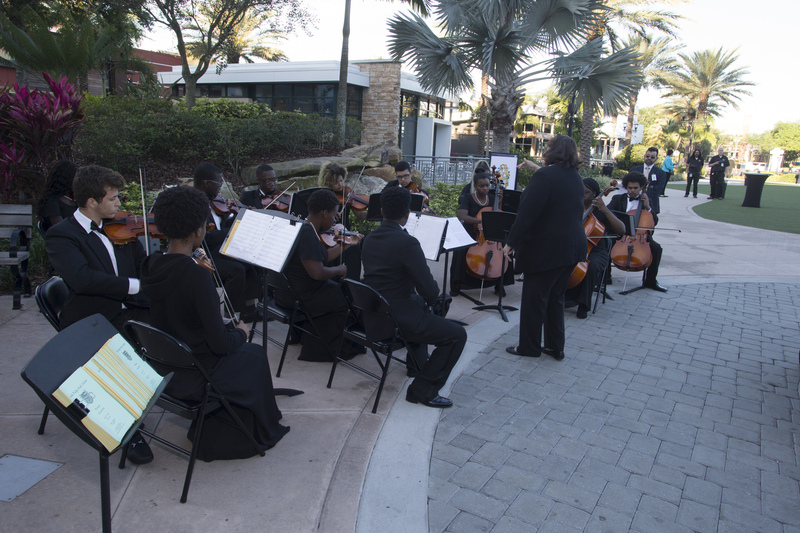 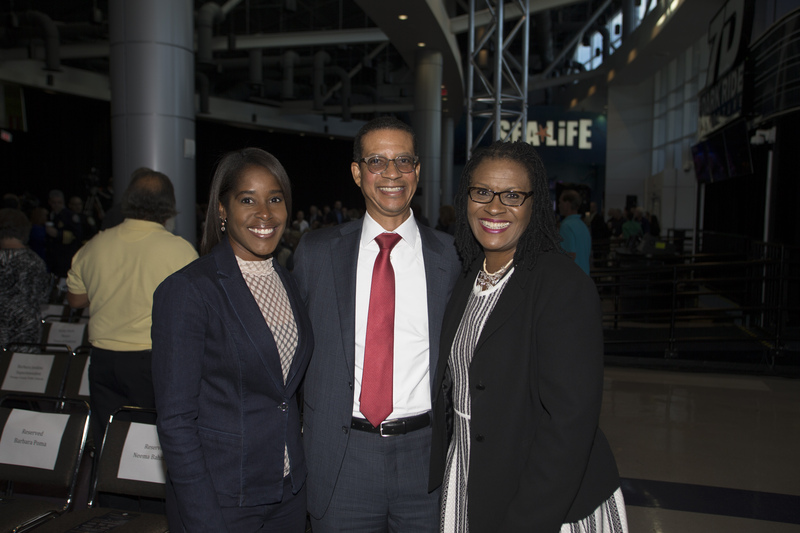 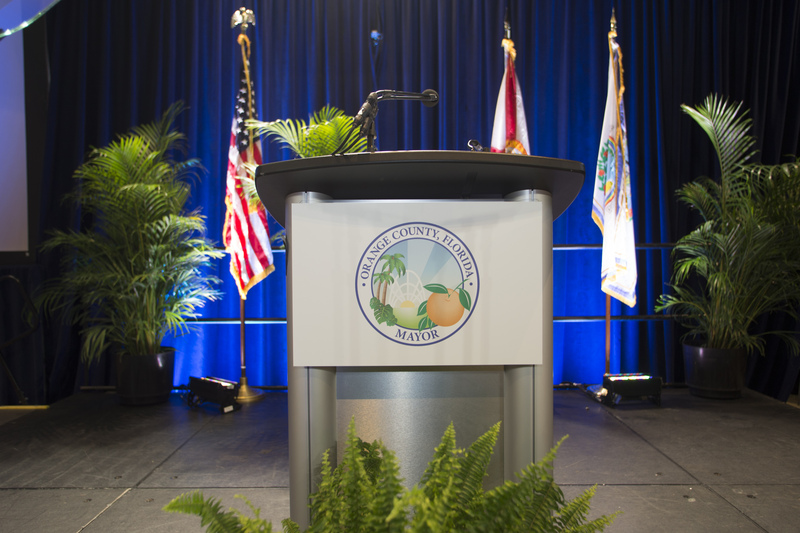 The proposal was unanimously approved by the Board of County Commissioners (BCC) in late 2016, and enabled the County to contribute additional TDT funding to help complete the Dr. Phillips Center. 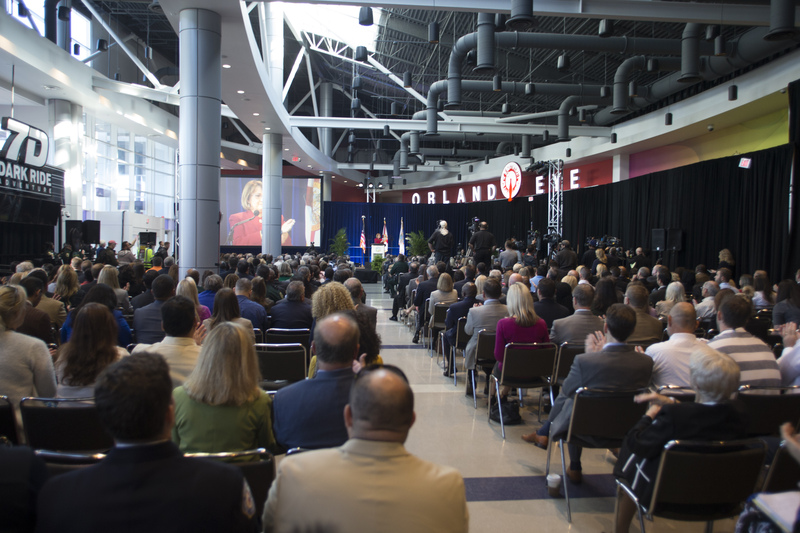 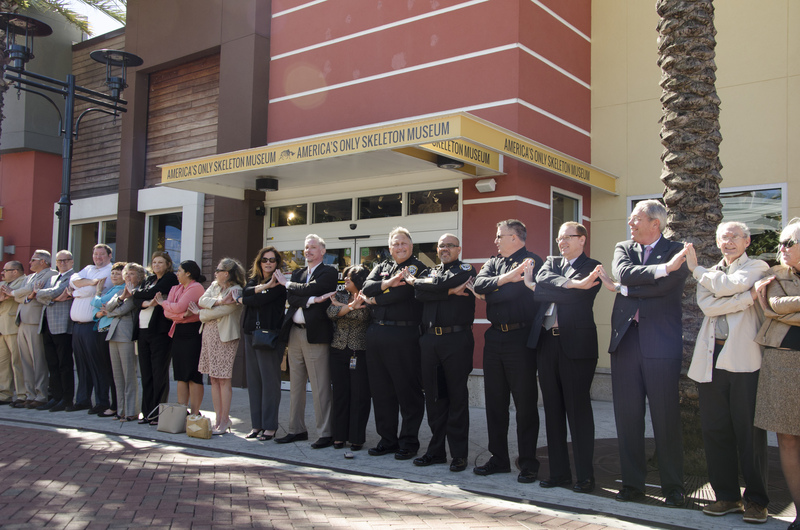 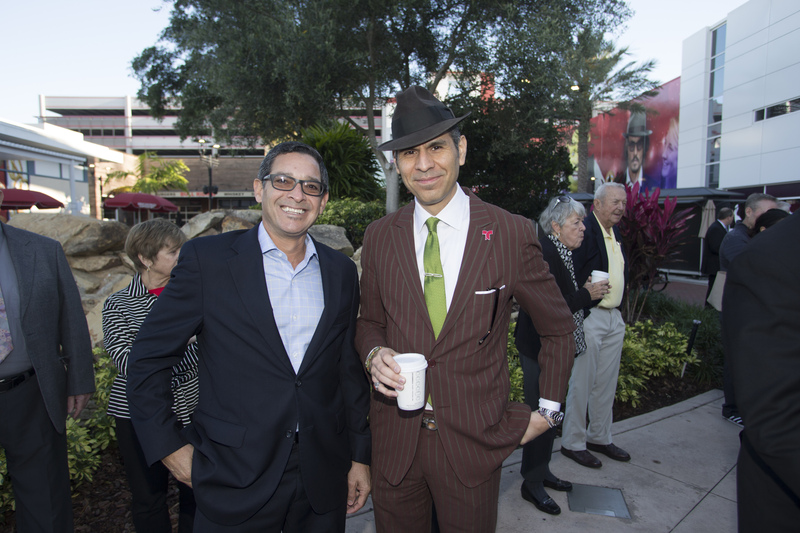 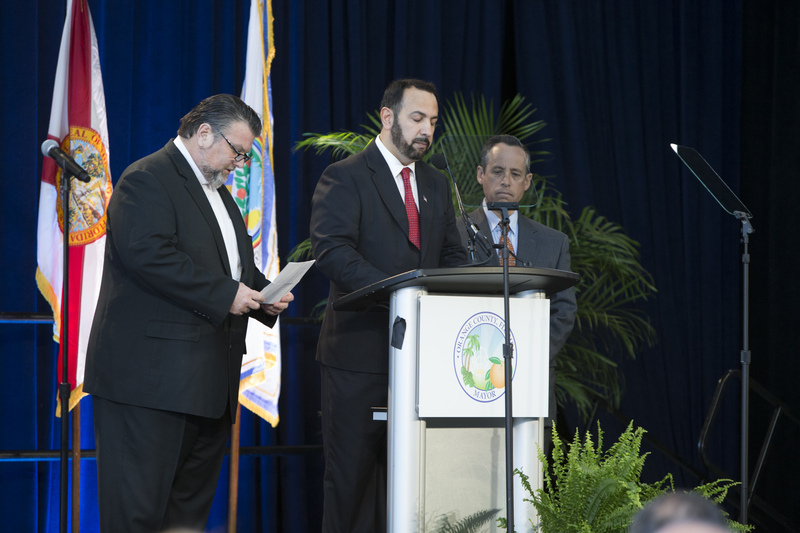 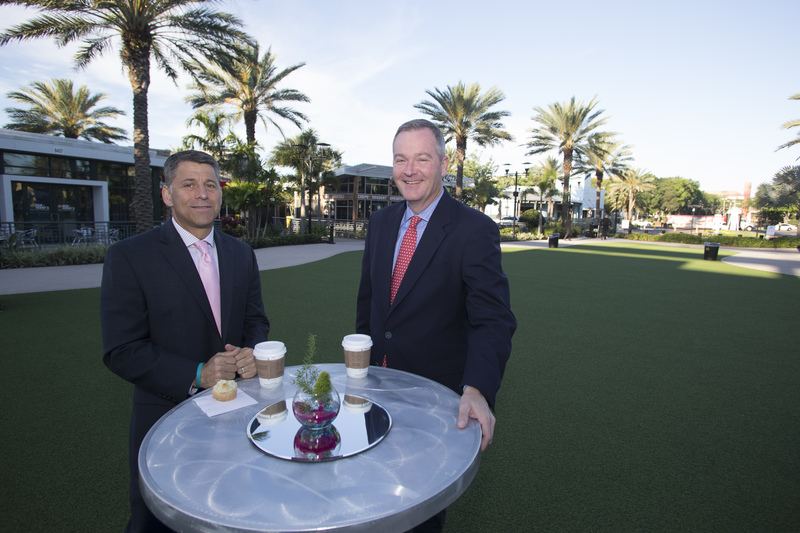 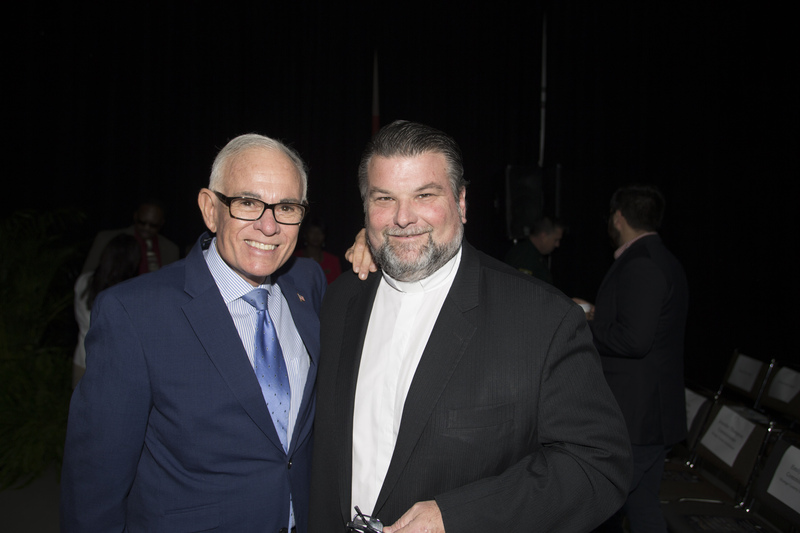 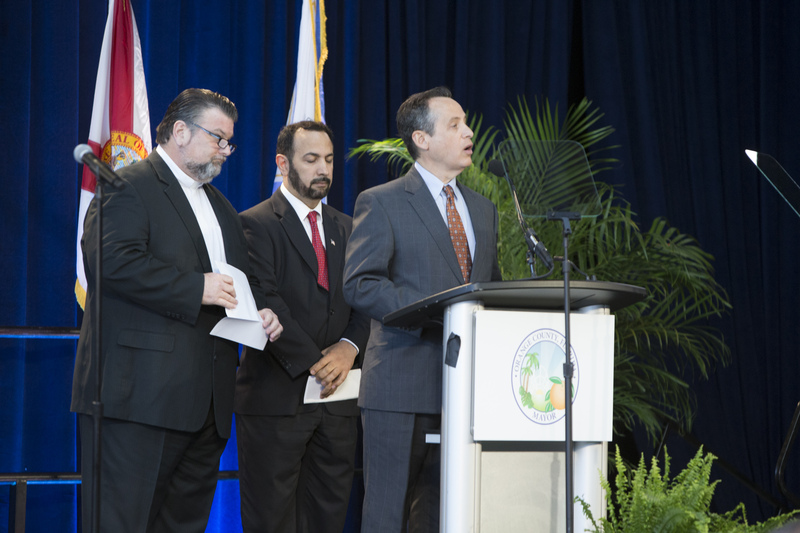 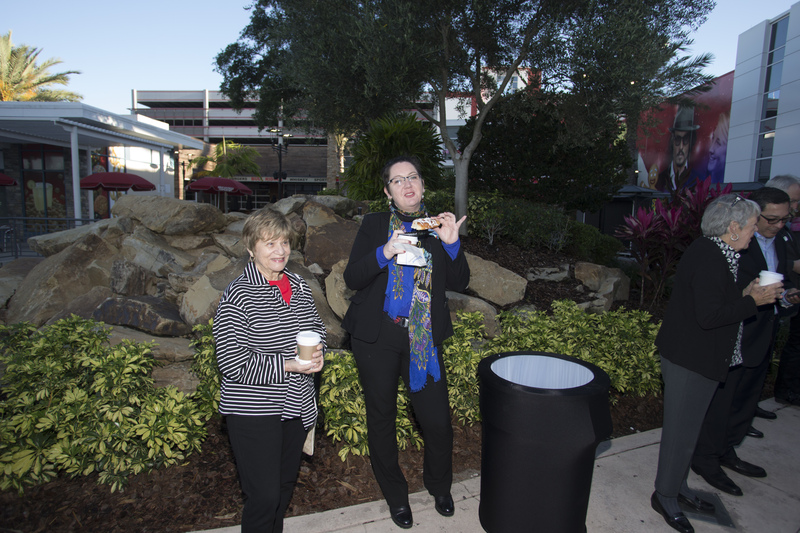 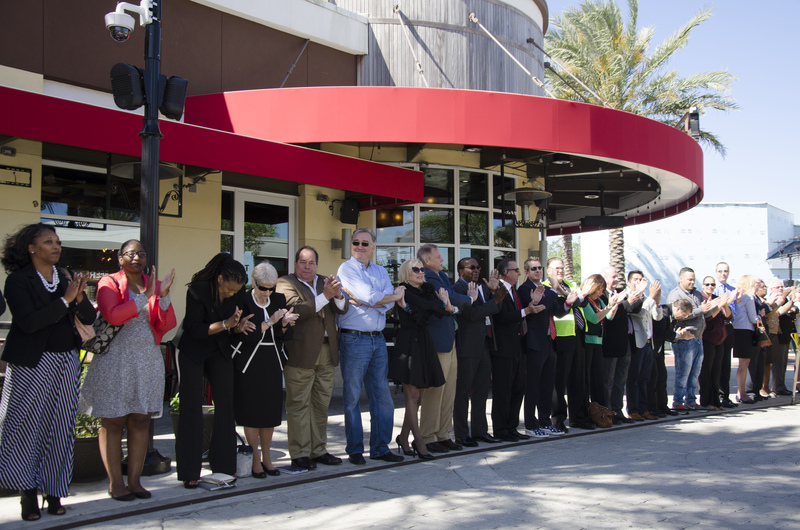 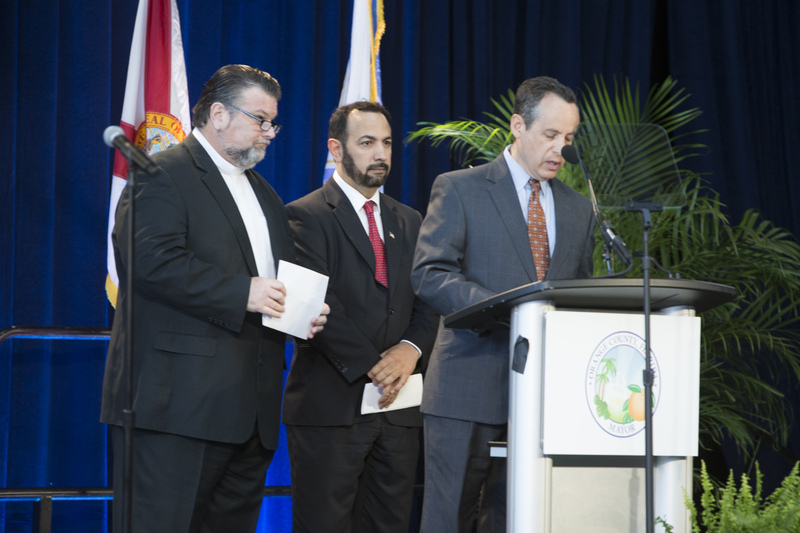 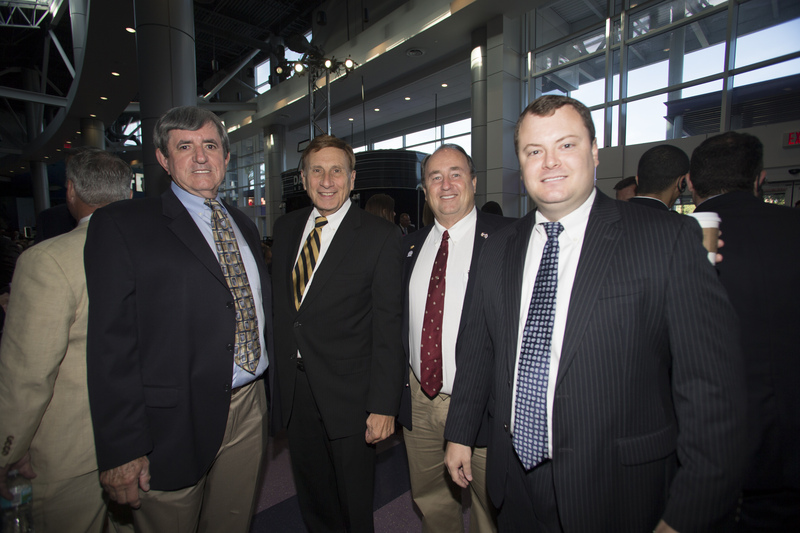 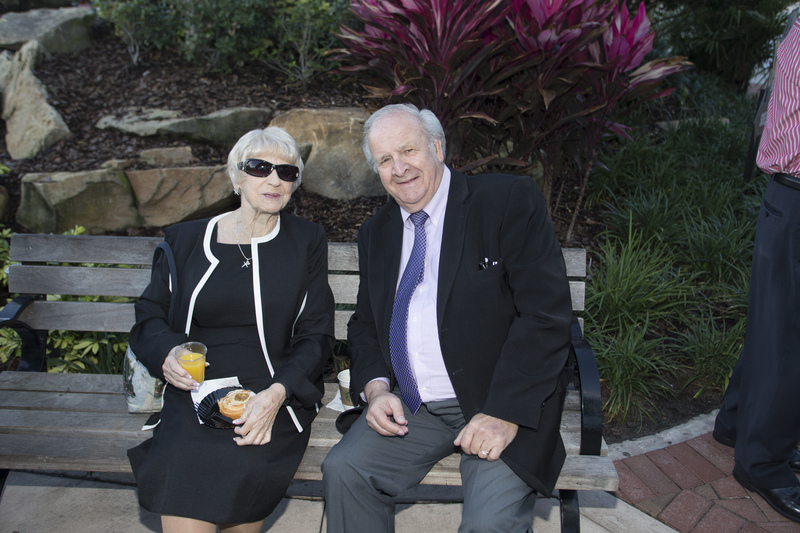 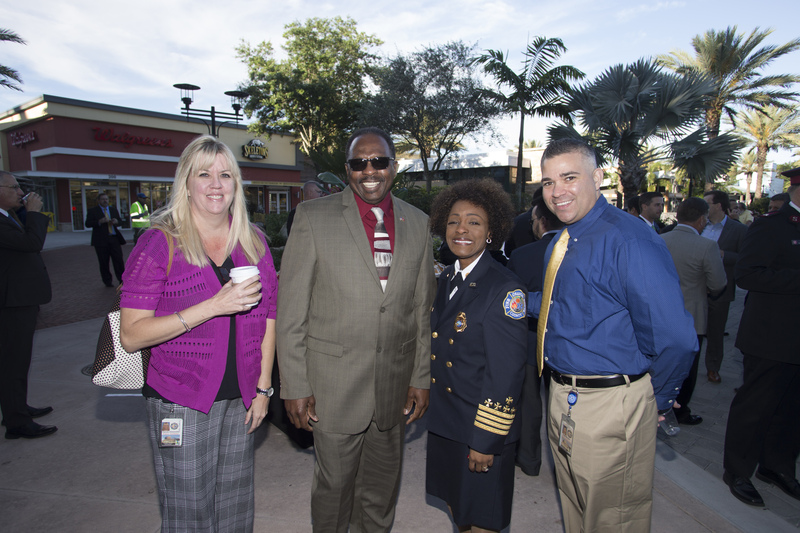 The restructuring also resulted in significant financial benefits to the City of Orlando and the Downtown CRA. 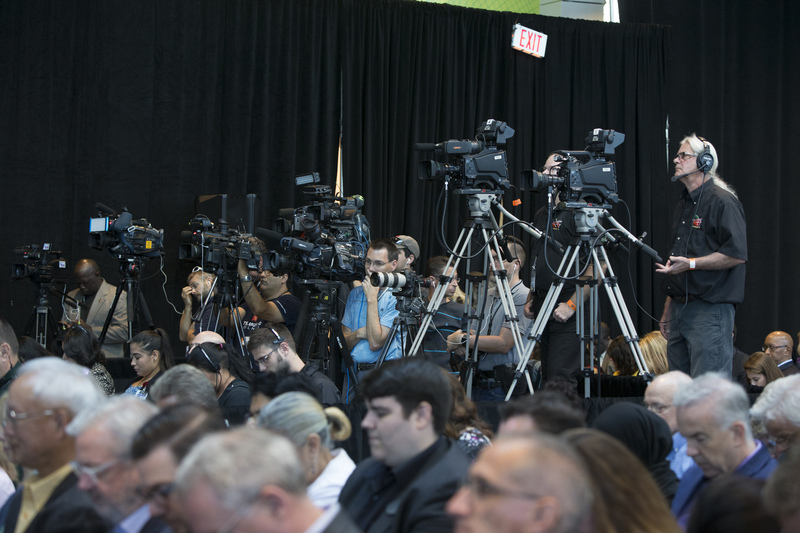 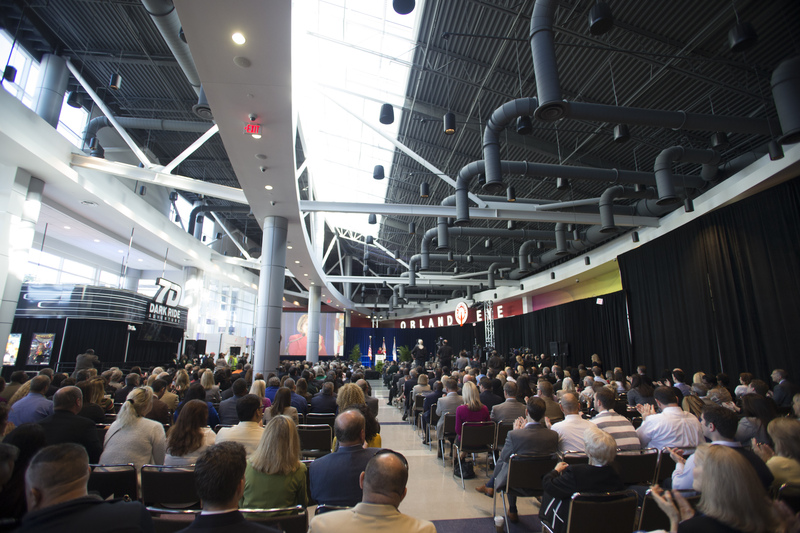 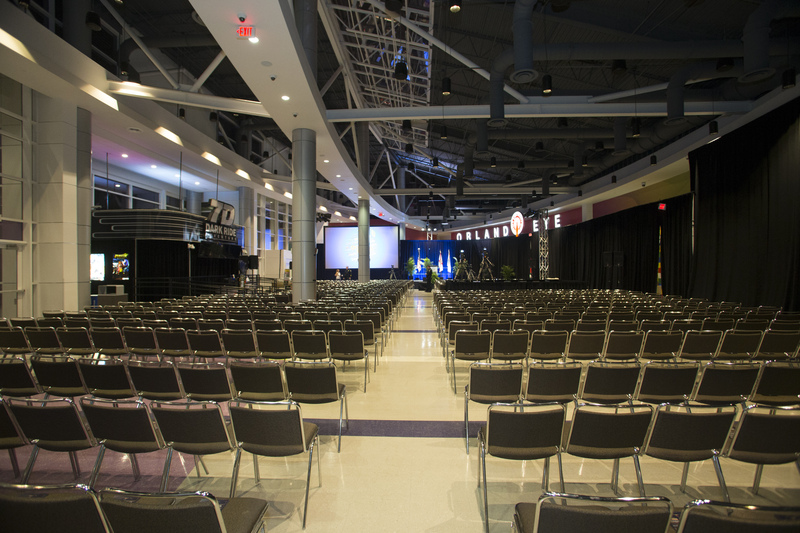 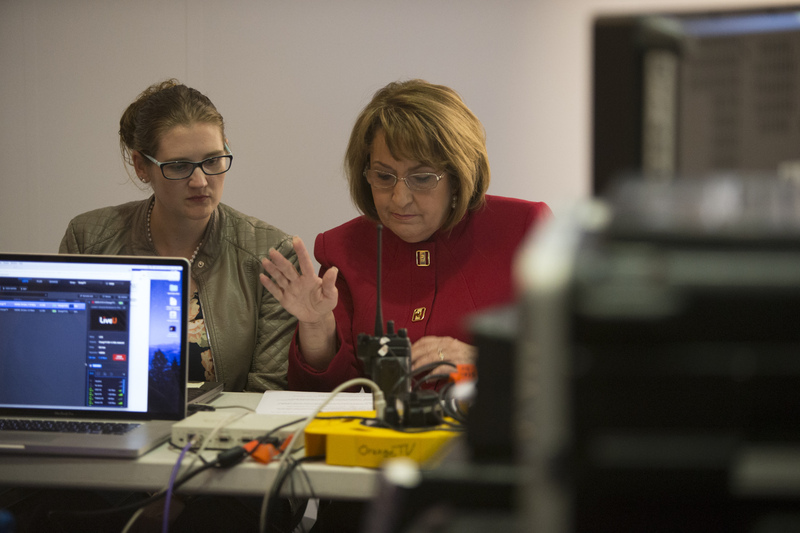 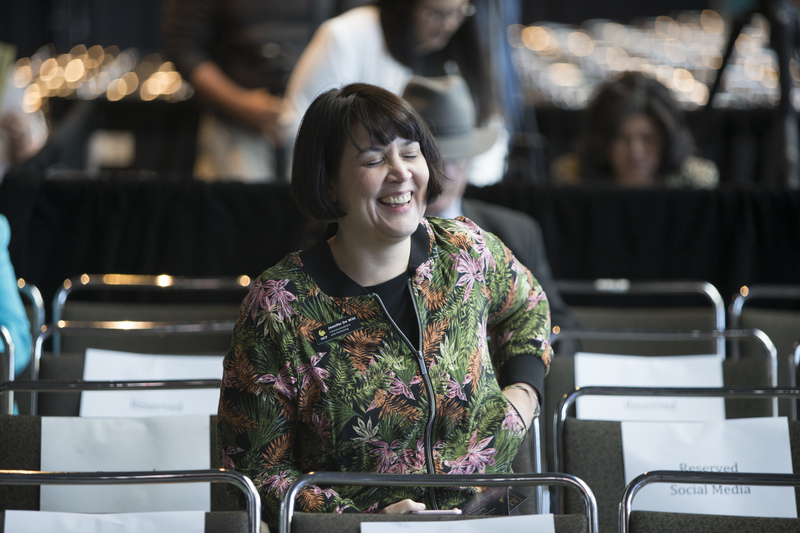 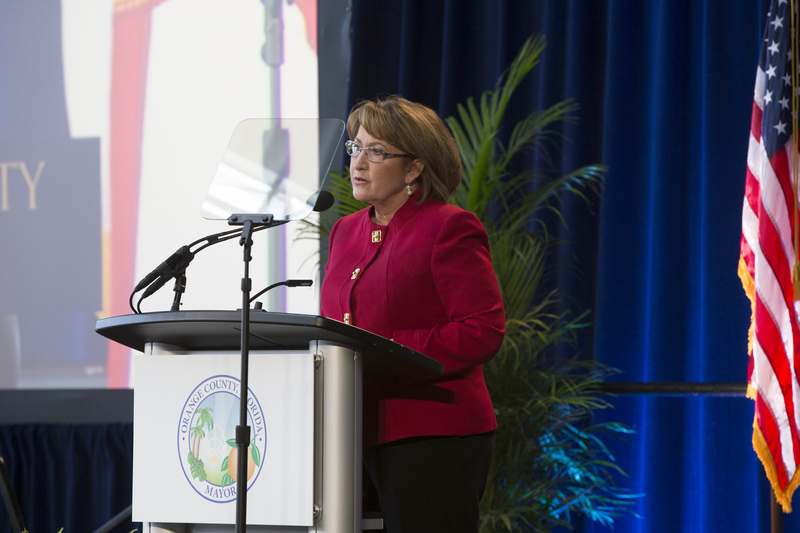 Mayor Jacobs’ proposal also opened the door for the funding of other important community priorities, including the establishment of a sports-bid fund and the advancement of the Convention Center capital improvements plan. 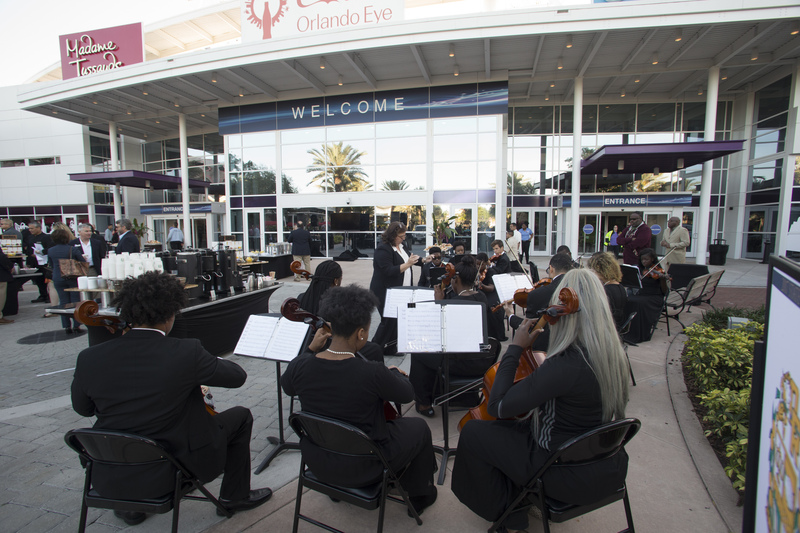 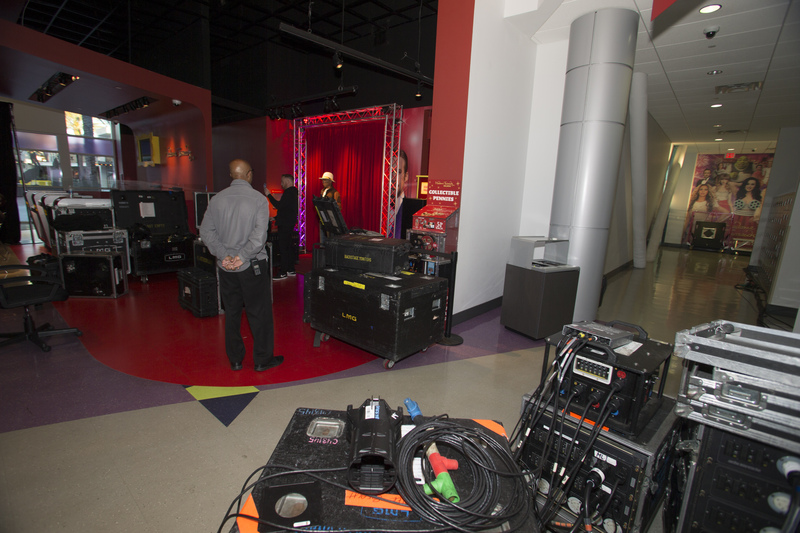 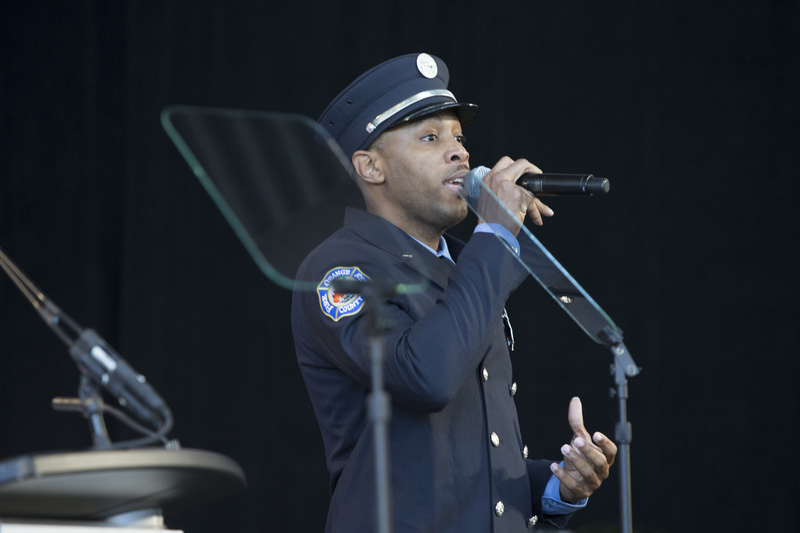 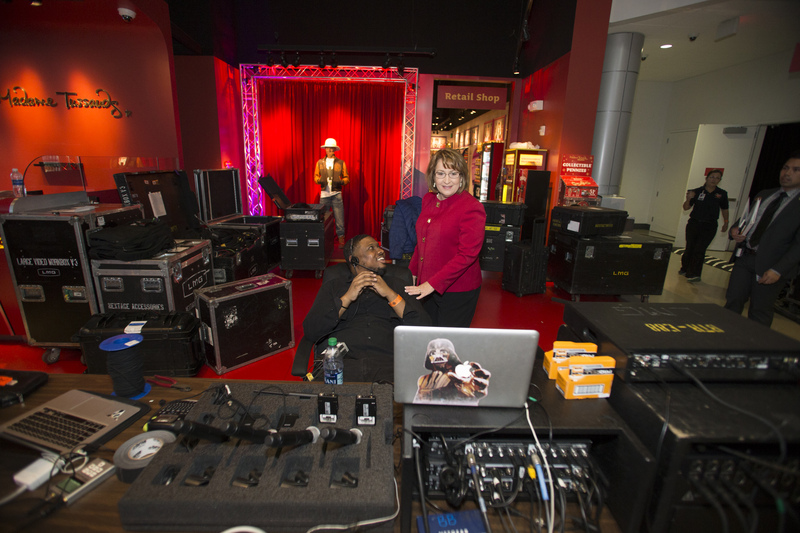 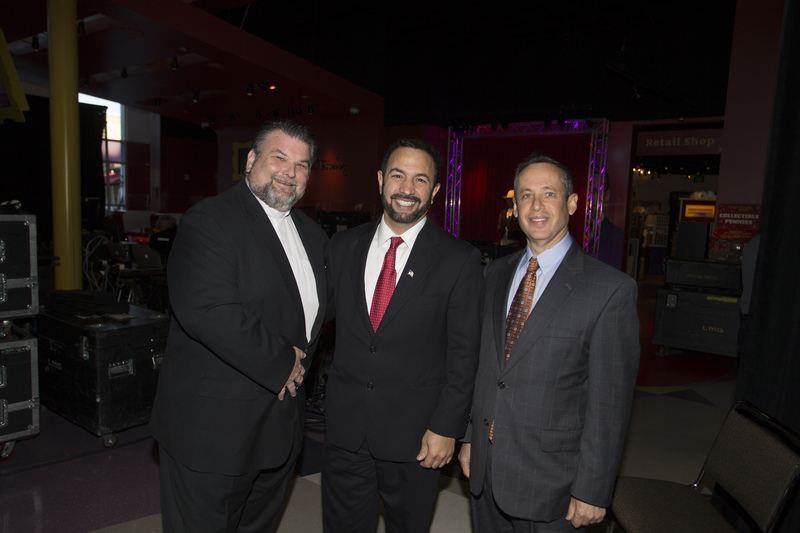 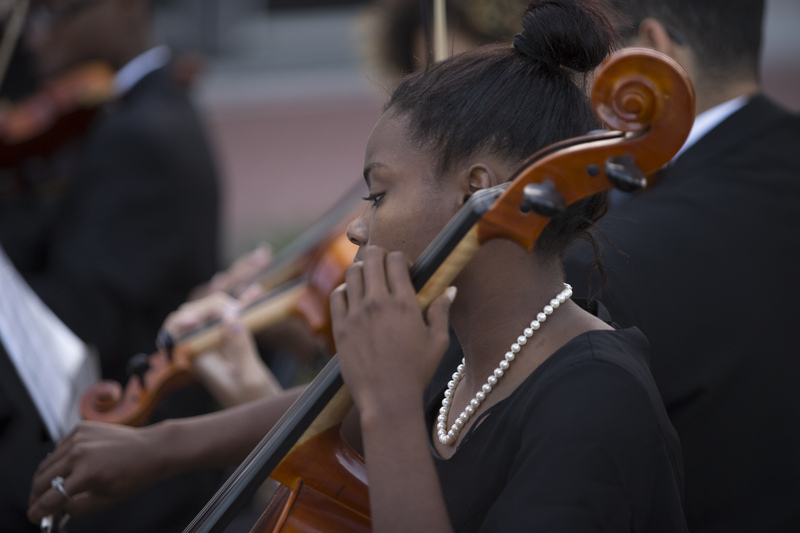 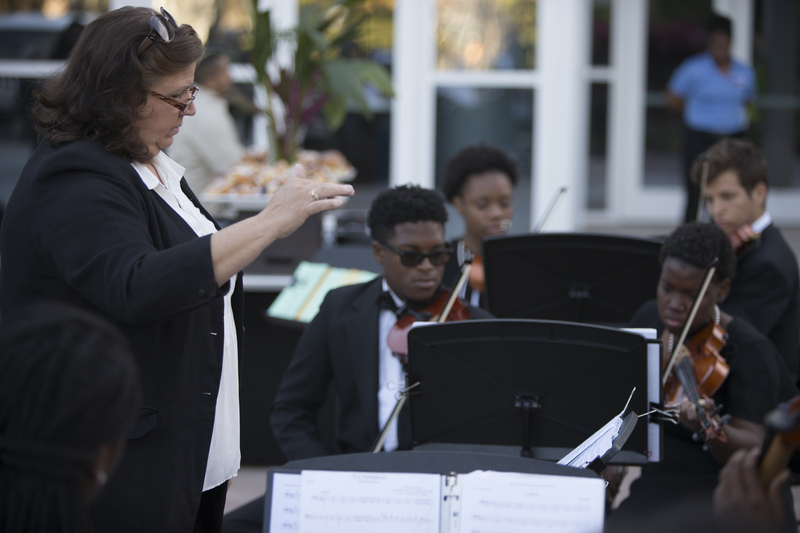 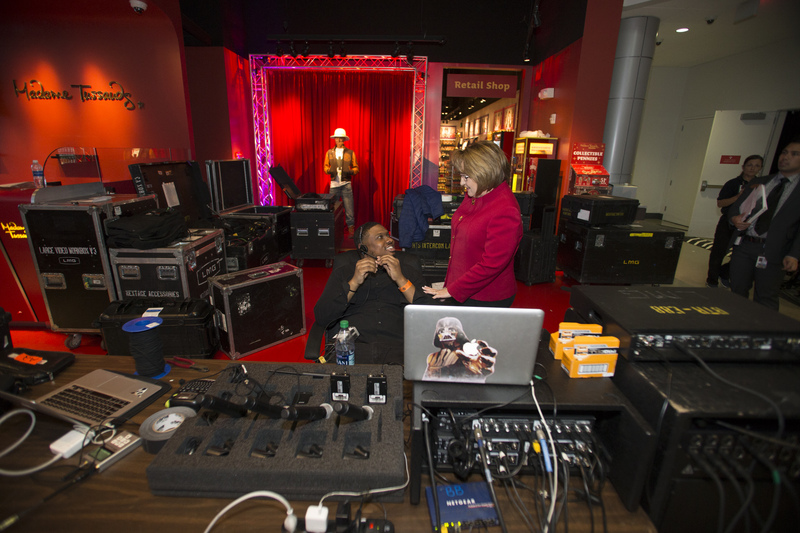 Additionally, the proposal allows for the creation of a competitive grant program to support possible future investments in other local community venues, with the hope that local families, residents and visitors may one day reap the benefit of an even more diverse and vibrant arts, culture and entertainment scene. 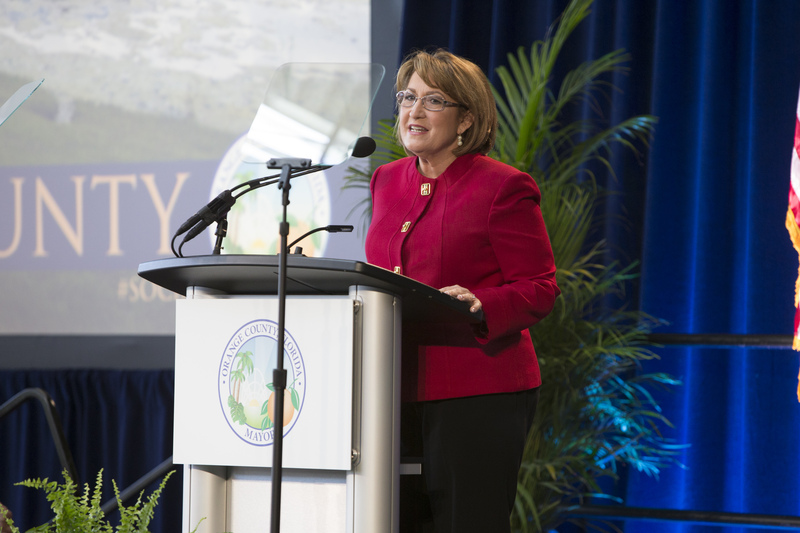 In her address, Mayor Jacobs also focused on key quality-of-life investments, beginning with an update on the 2015-announced INVEST initiative, one of the largest infrastructure programs in Orange County’s history. 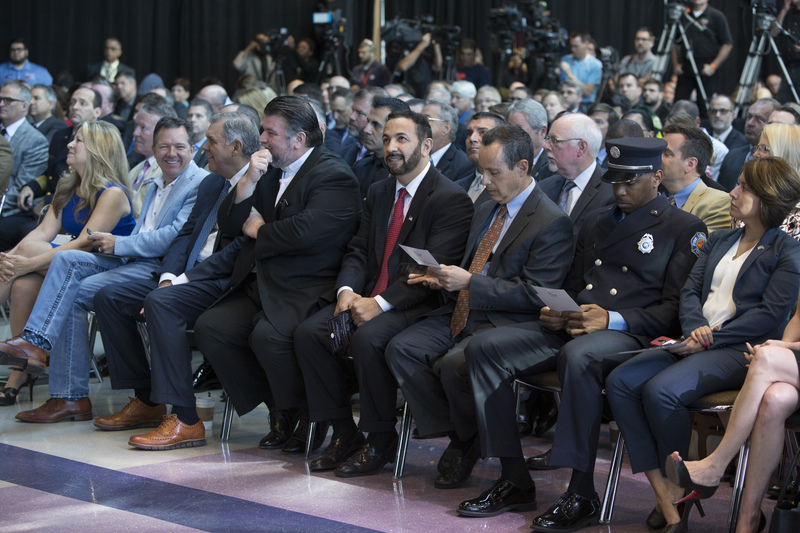 Known as INVEST in Our Home for Life, the $300-million-investment program provides for affordable housing, public safety, infrastructure, parks, pedestrian safety, road construction and transportation improvements — all without raising taxes. 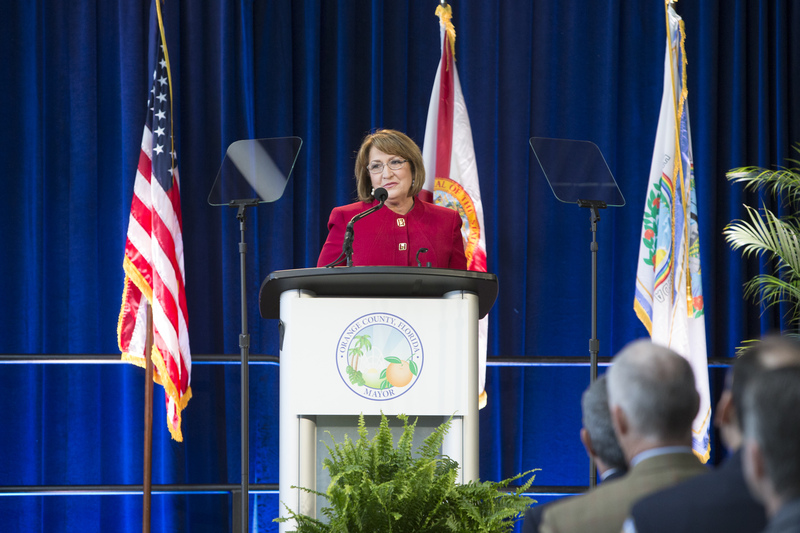 With numerous major road construction projects occurring simultaneously throughout the County, transportation infrastructure is at the top of Mayor Jacobs’ INVEST list, with $200 million allotted. 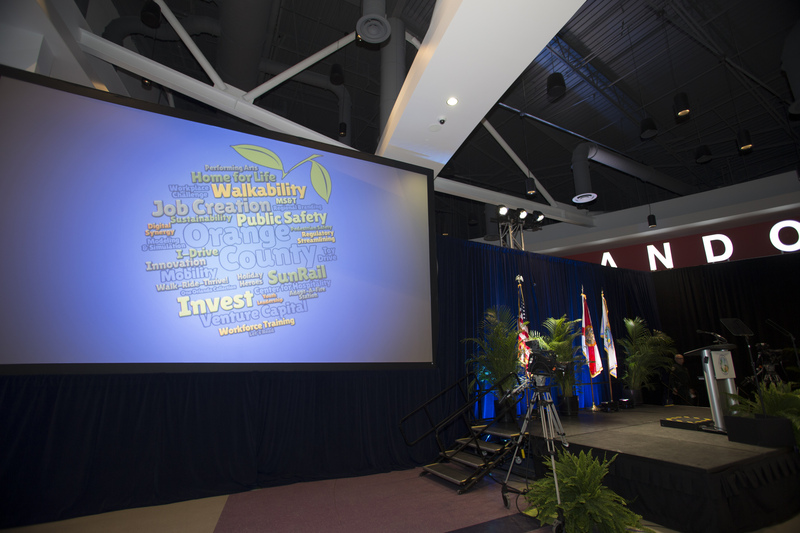 One million dollars has been invested in pedestrian improvements, with much more planned. 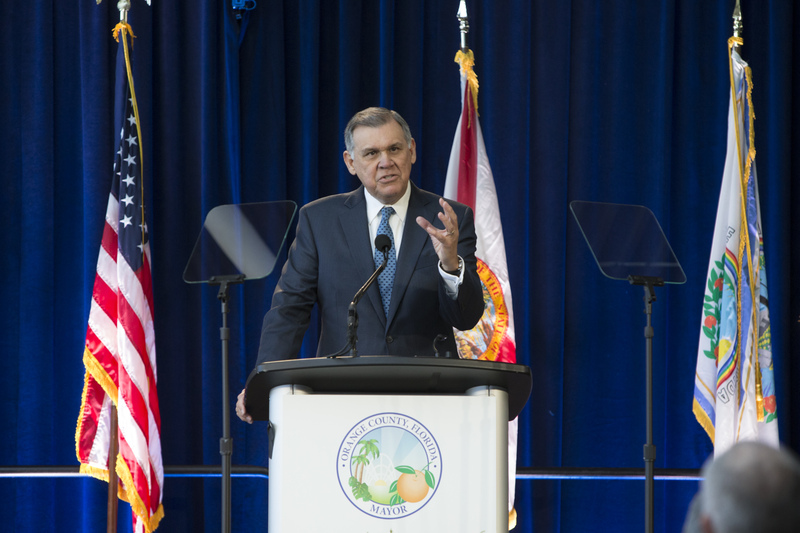 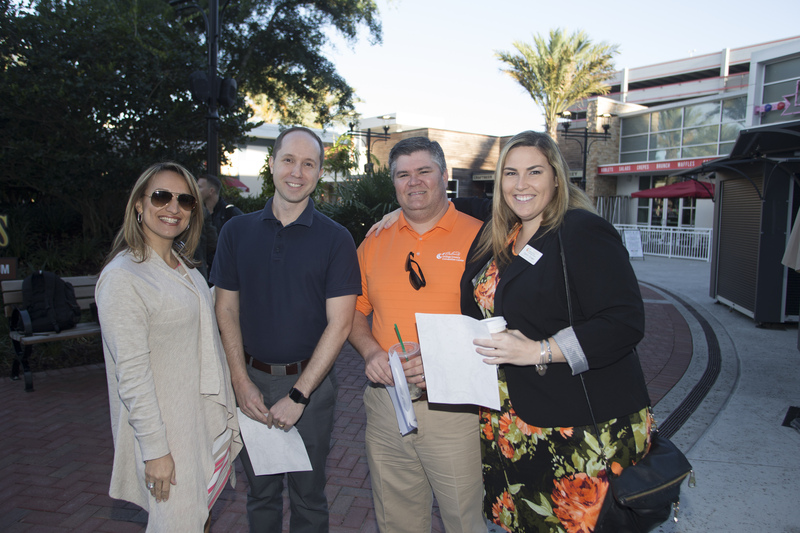 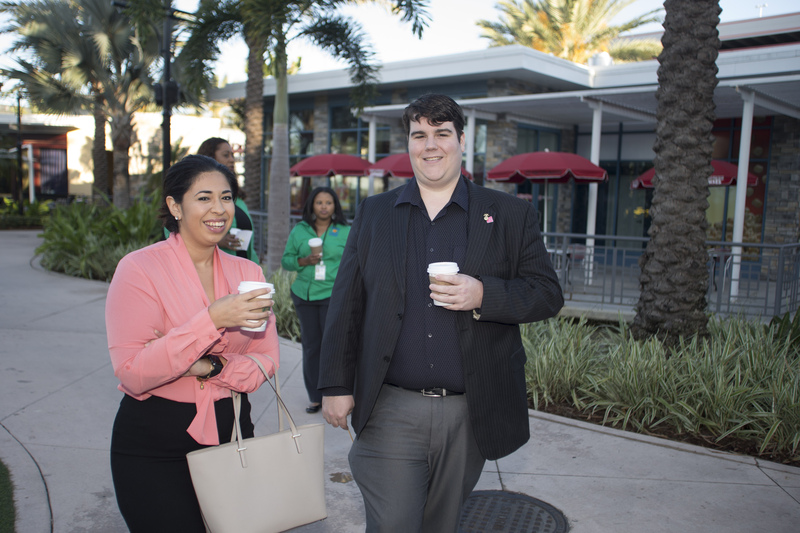 In addition to crucial pedestrian safety and roadway improvements, Orange County is working to transform Central Florida’s affordable housing marketplace — not just by increasing inventory, but also by transforming how the region approaches workforce housing. 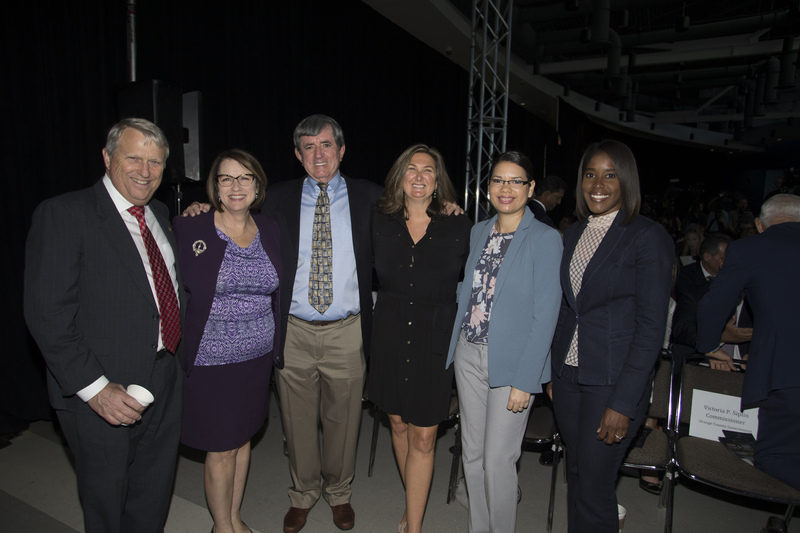 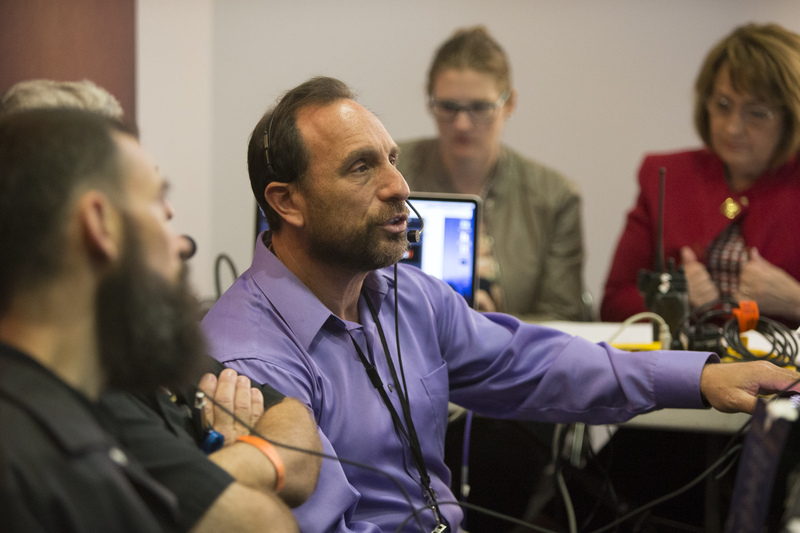 To kick off regional efforts on this issue, in October of 2016 Mayor Jacobs hosted the inaugural Regional Affordable Housing Summit, where planners, developers and local government leaders from across the region gathered to discuss affordable housing solutions. 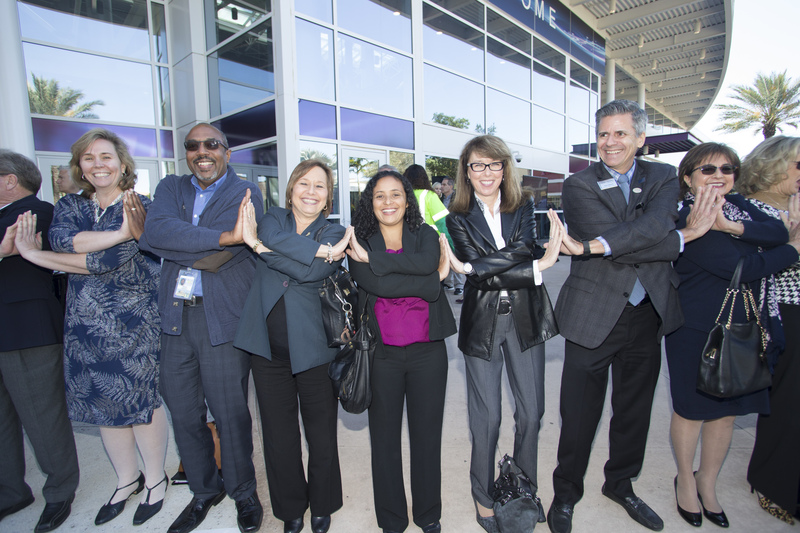 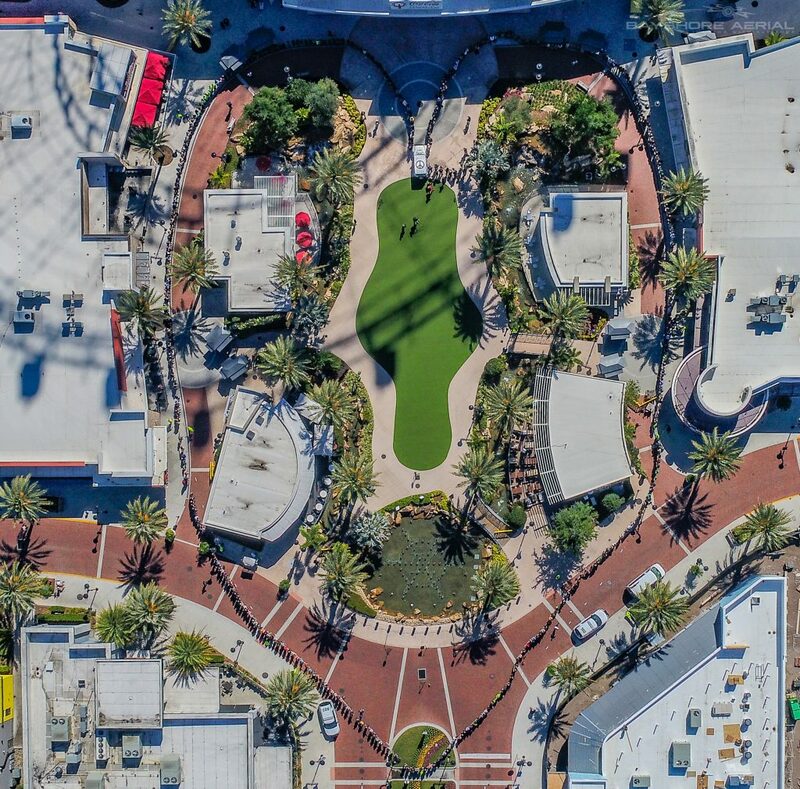 By incorporating new strategies with existing best practices, Orange County has created a variety of housing options, leading to a more inclusive housing market and long-term sustainable communities. 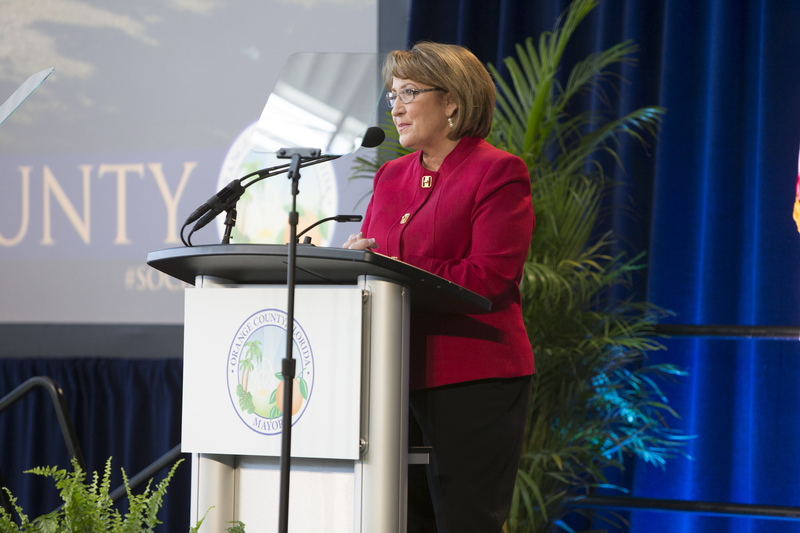 Mayor Jacobs’ State of the County address included the announcement of three specific workforce housing initiatives, including a partnership with area Habitat for Humanity agencies in South Apopka, a partnership with Wayne Densch Charities for the most at-risk homeless families, and in east Orange County, Goldenrod Pointe, a new 70-unit family apartment complex, with an emphasis on low-income families. 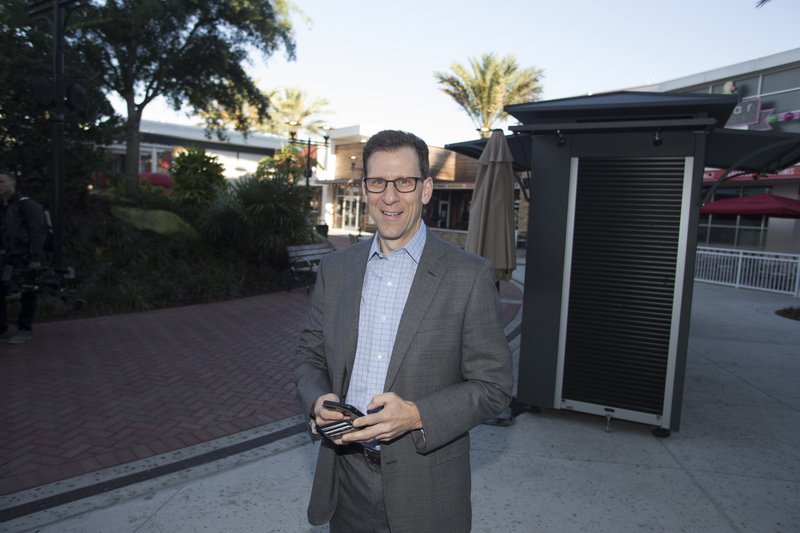 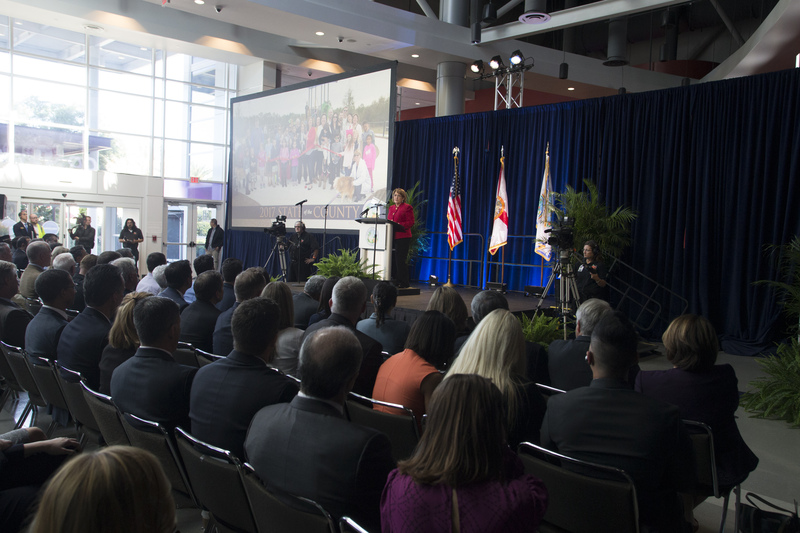 Through these and other initiatives, Orange County is helping to transform how Central Florida approaches the complex challenge of housing local families. 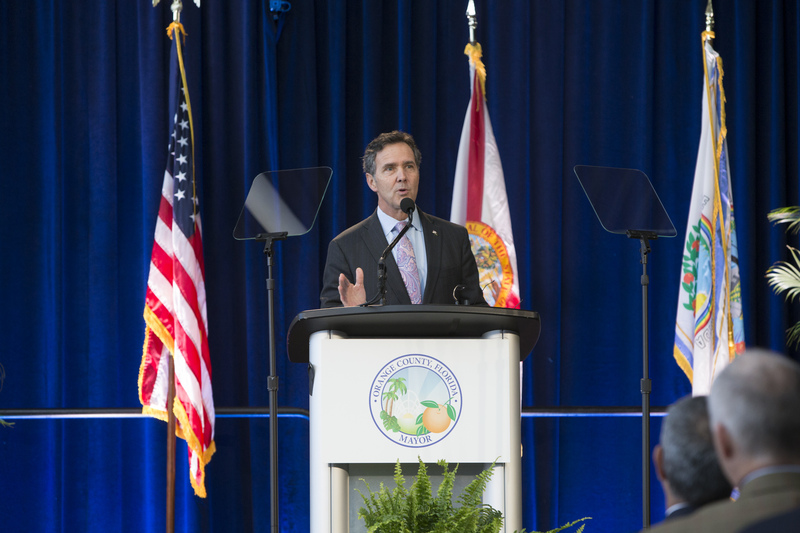 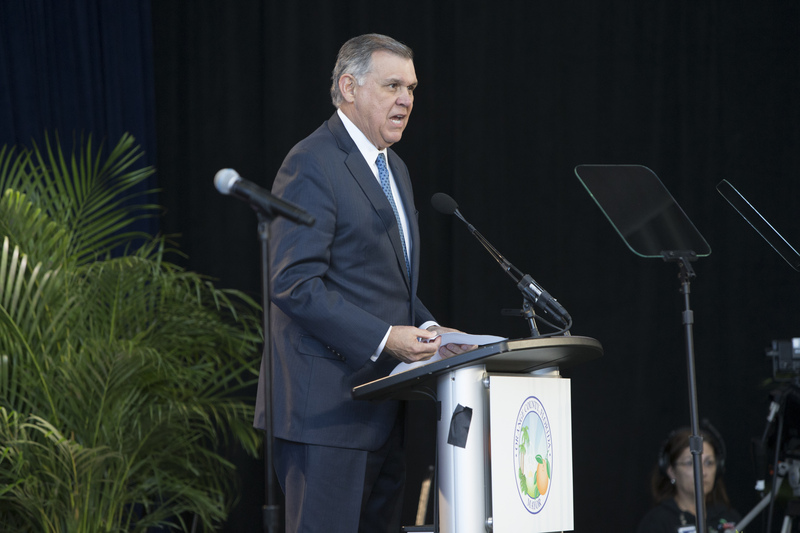 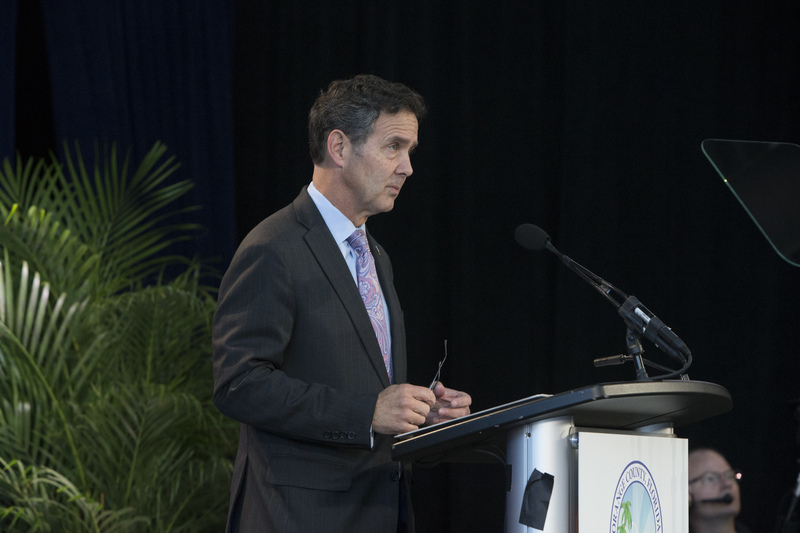 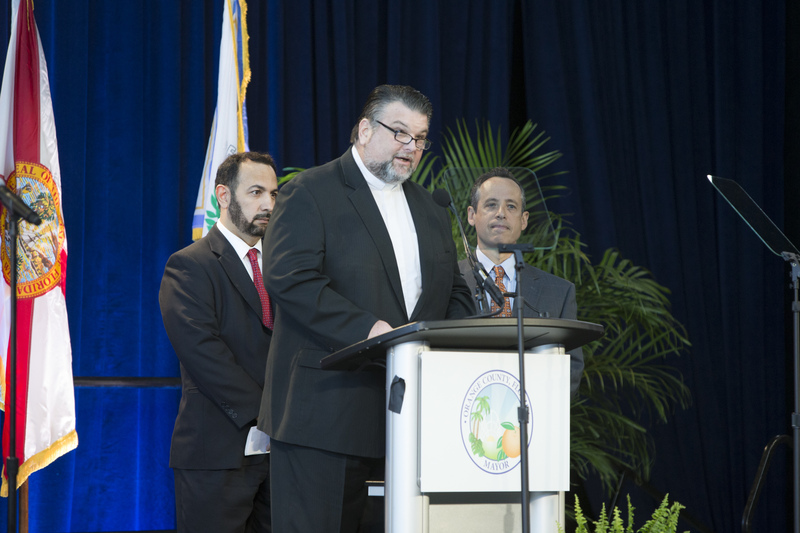 The 2017 State of the County address also touched upon other key INVEST initiatives, including Orange County’s Parks and Recreation facilities and the innovative, inclusive design and construction principles of Young Pine Community Park, the County’s newest inclusive playground, designed “from the ground up” for children with disabilities. 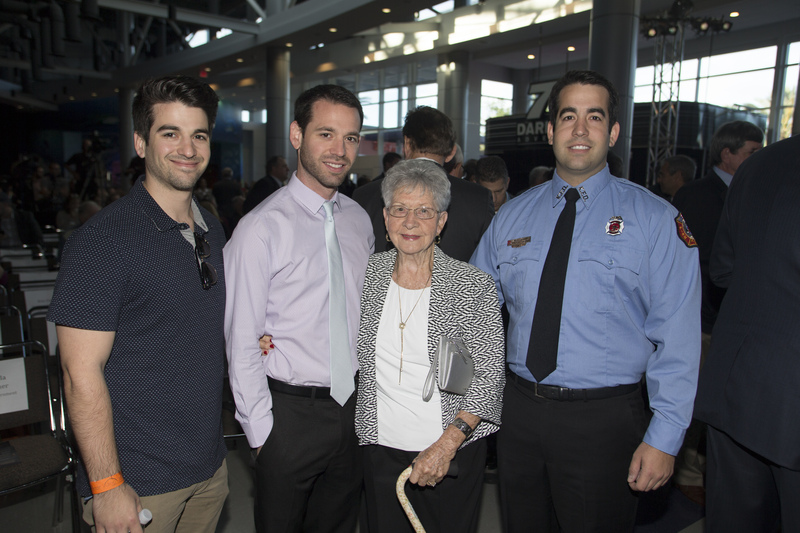 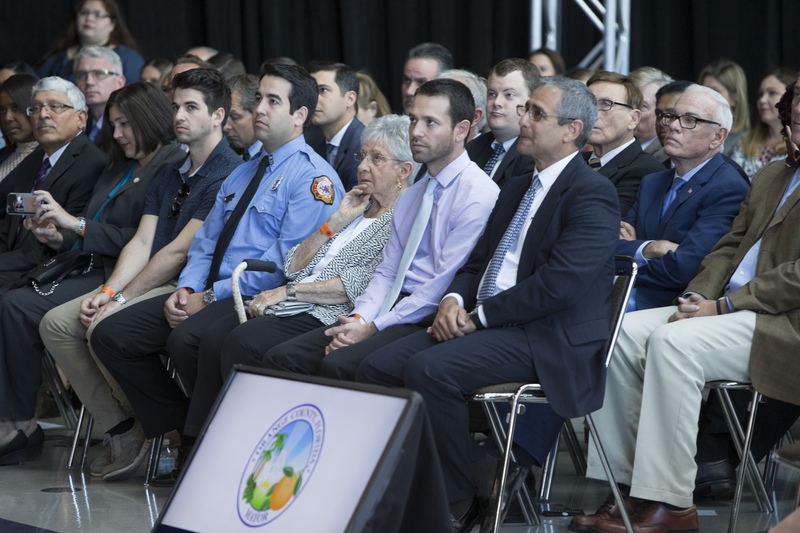 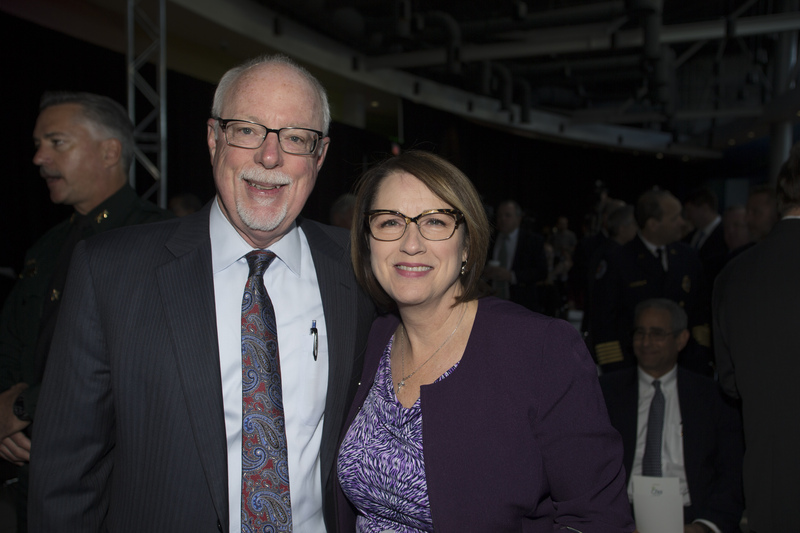 Mayor Jacobs stressed that for Orange County, the provision of public safety is job No.1, and as a main highlight of her speech, she announced Orange County Fire Rescue’s (OCFR) new Insurance Service Office (ISO) score. 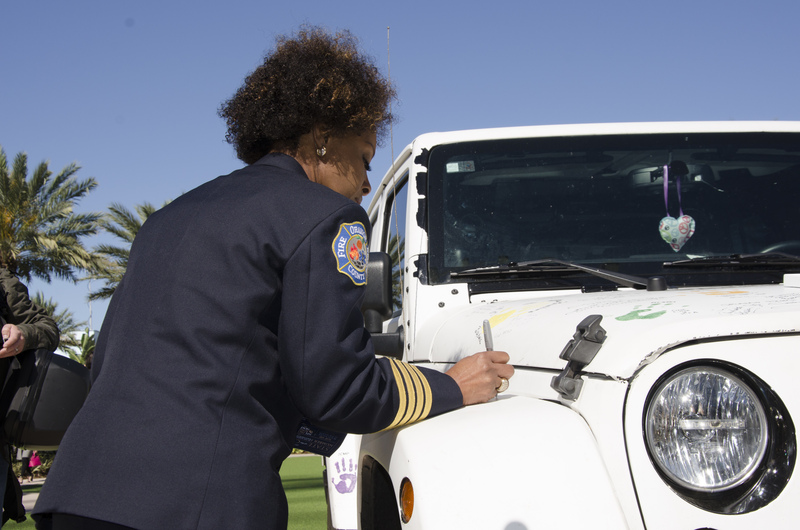 An ISO score indicates the level of property fire protection that an agency is capable of providing to the community and local residents. 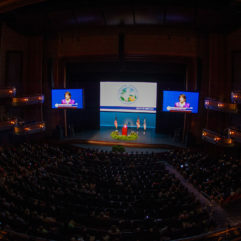 This year, OCFR jumped to the ISO Class 1 category. 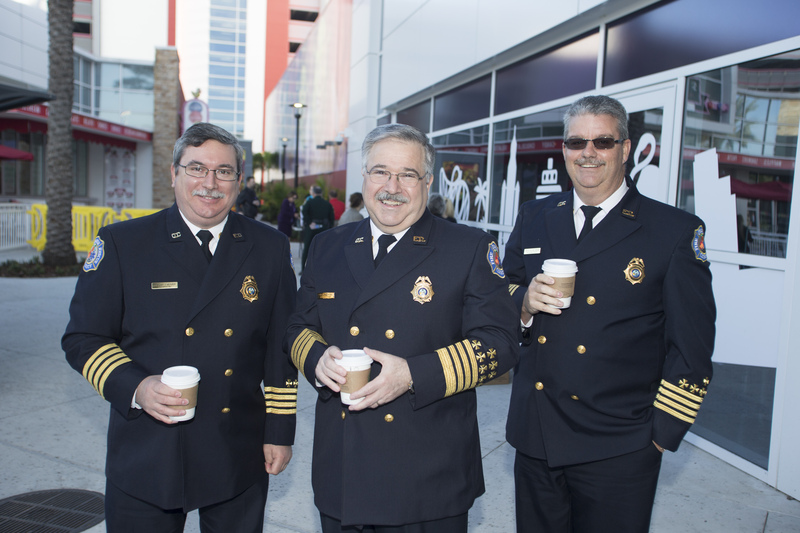 To put this in perspective, of the more than 48,000 fire departments evaluated by ISO in the United States, only 241 departments are rated Class 1. 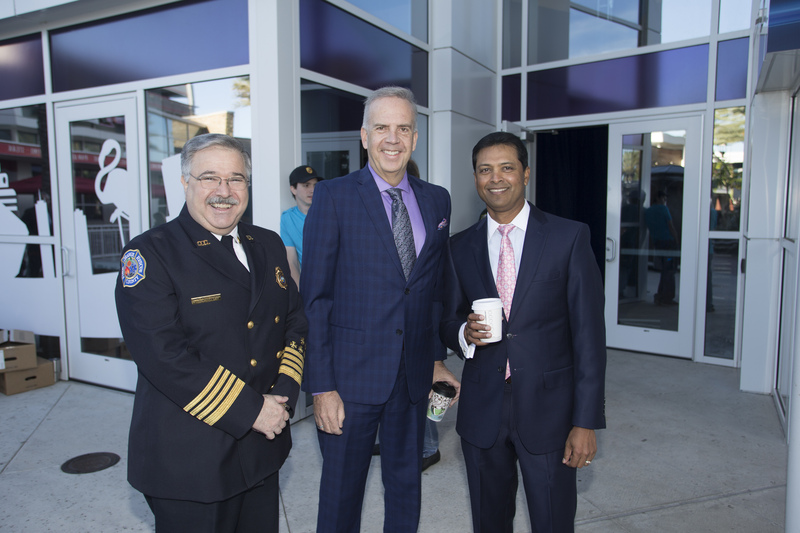 OCFR is also building three new fire stations through INVEST due to the growing need to provide service and safety to our citizens. 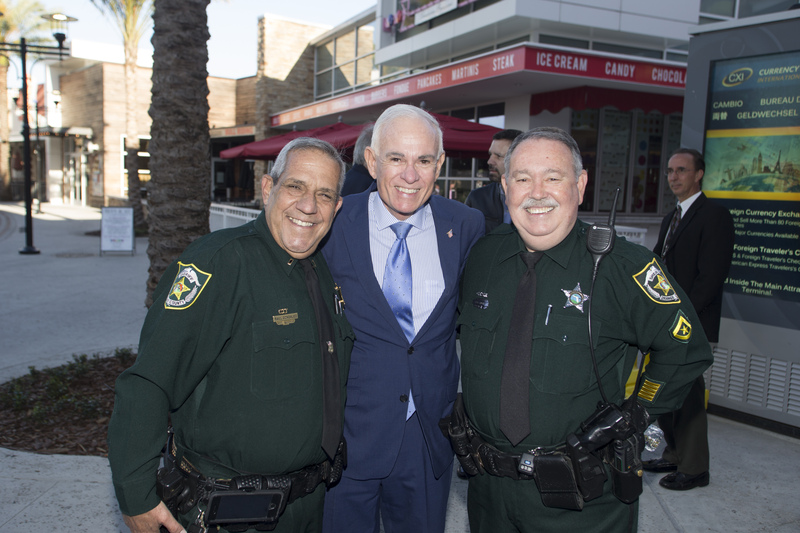 In addition to boosting the effectiveness of public safety operations, Orange County continues to be aggressive in confronting the deadly presence of heroin and other drugs in Central Florida. 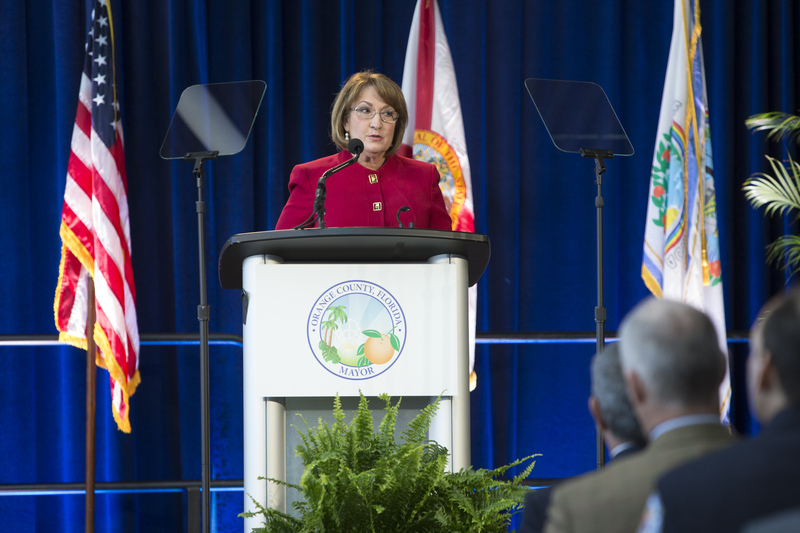 Since 2015, when Mayor Jacobs convened the Orange County Heroin Task Force, co-chaired by Orange County Sheriff Jerry L. Demings, federal and local law enforcement, judicial partners, legislators and the extended public safety community have worked hard to have an impact on this epidemic. 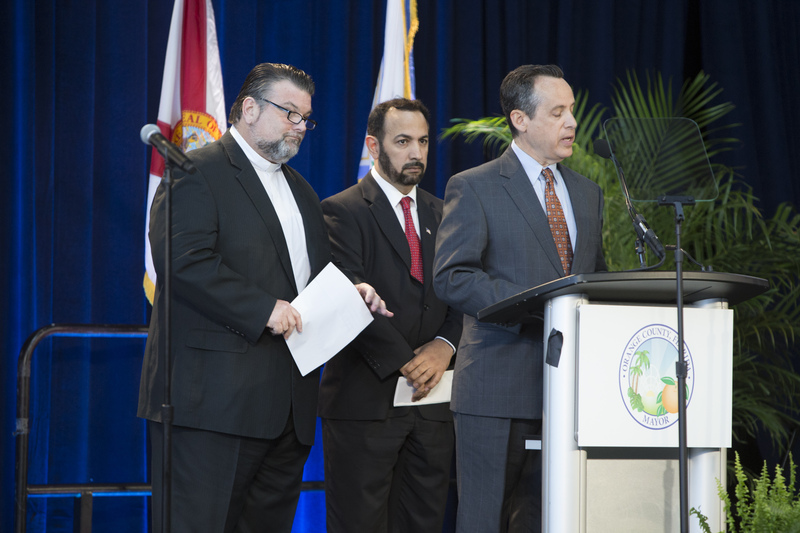 While law enforcement continues to pursue dealers and remove them from our streets, the Task Force has been focused on the pain and suffering this epidemic has caused local families and addicts. 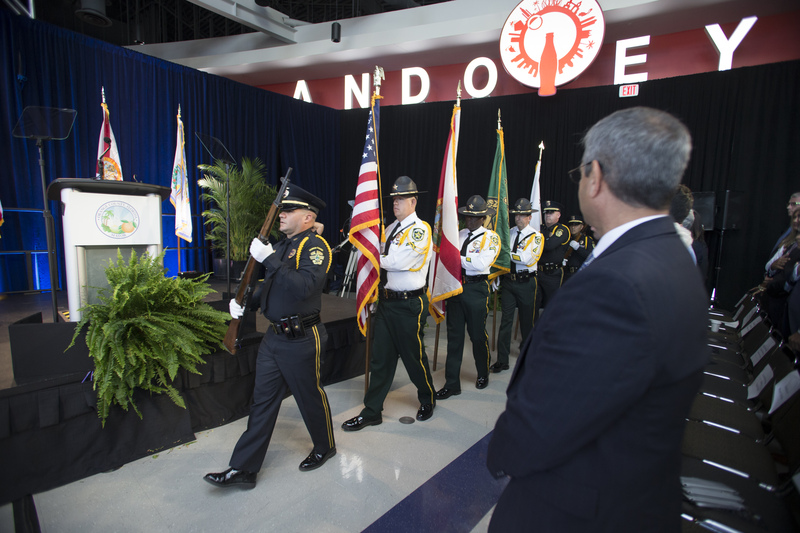 One of their recommendations was for law enforcement to equip their officers with Naloxone – a life-saving drug that counteracts the effects of heroin – which was only administered by paramedics in the past. 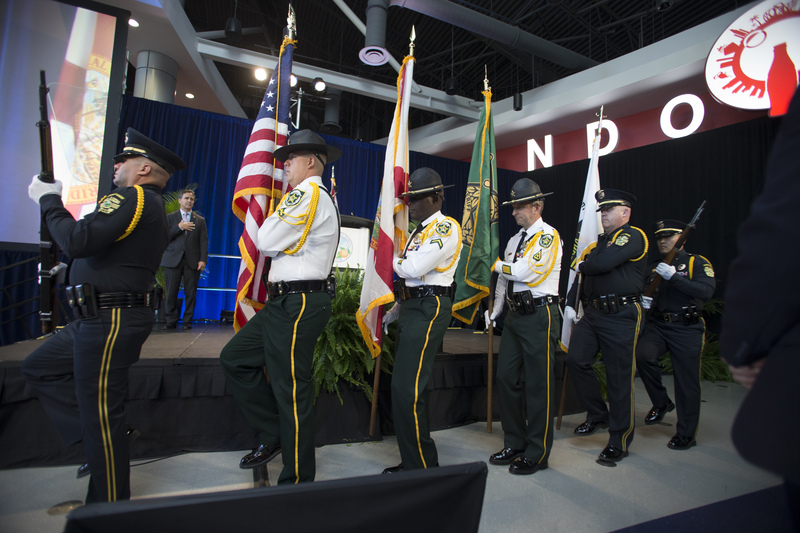 As of late February, the Sheriff’s Office and OPD have saved nearly 80 lives by using Naloxone. 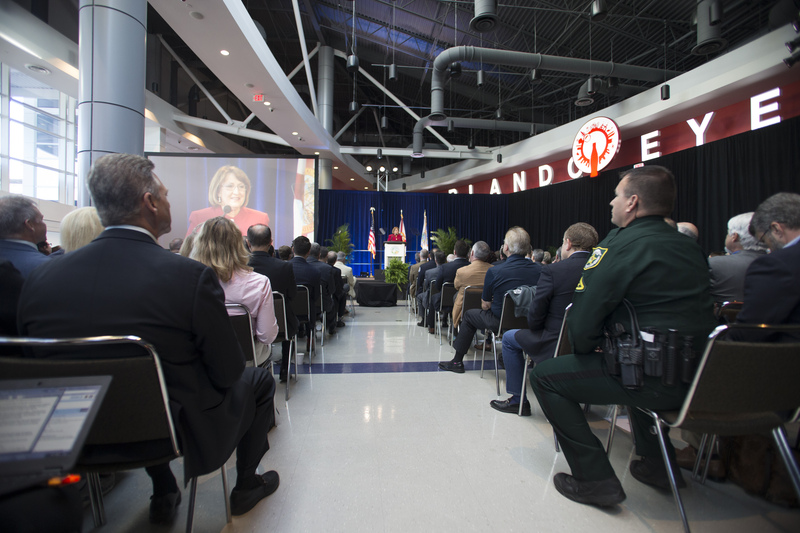 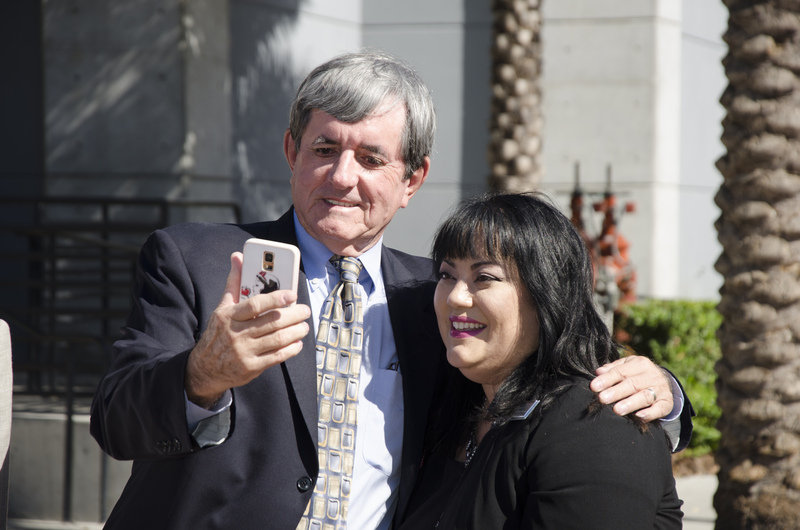 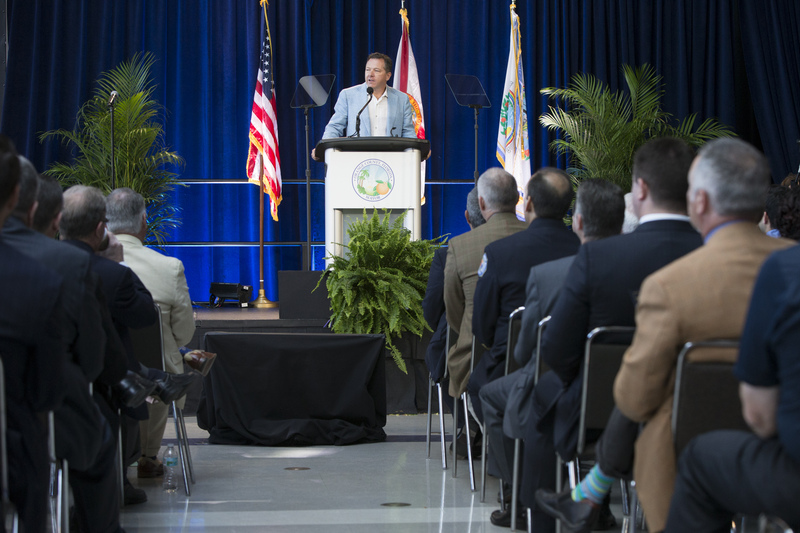 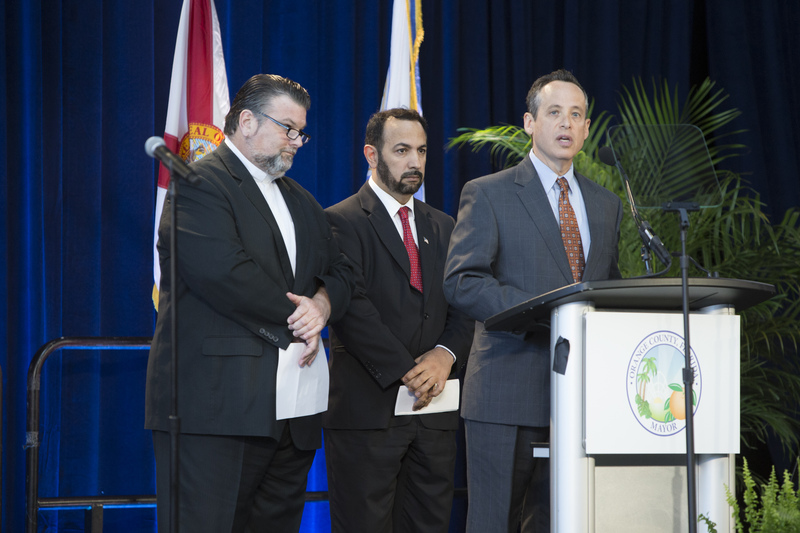 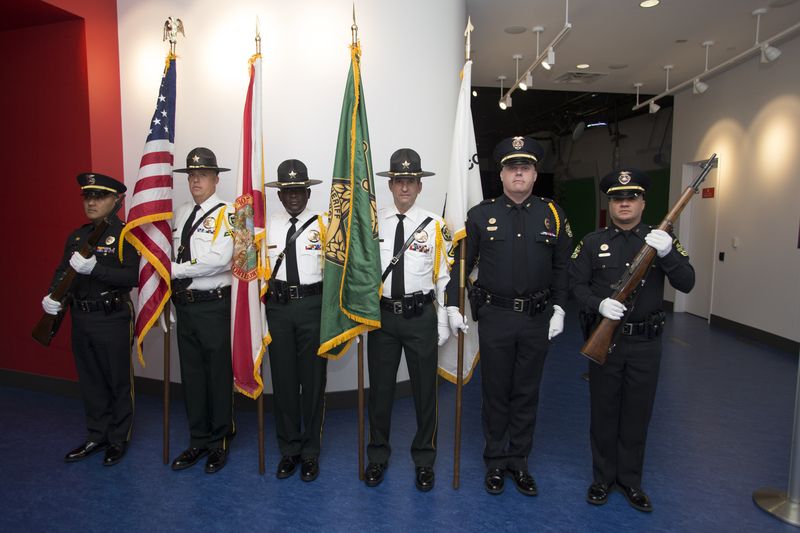 Additionally, the Task Force served as a springboard for statewide legislation, allowing Naloxone to be dispensed without a prescription in Florida and making it available to the general public. 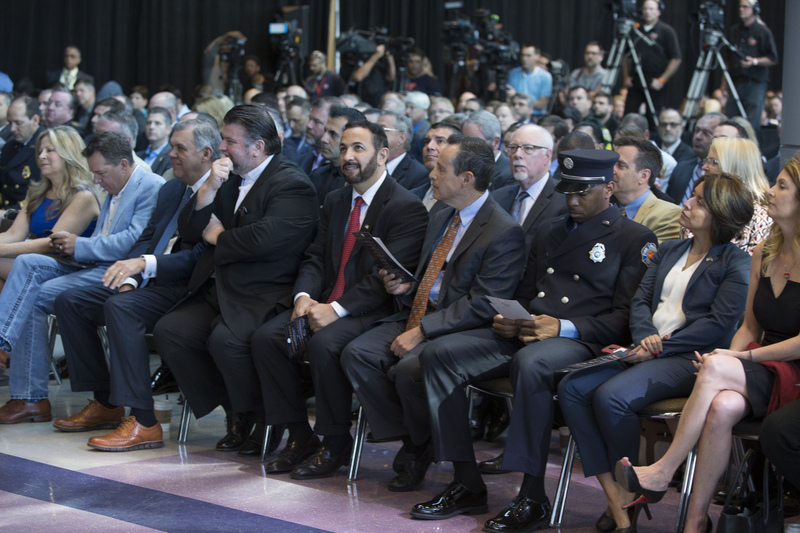 Equally important was the recommendation of the Task Force to introduce Vivitrol, another very promising drug that interrupts the addiction cycle. 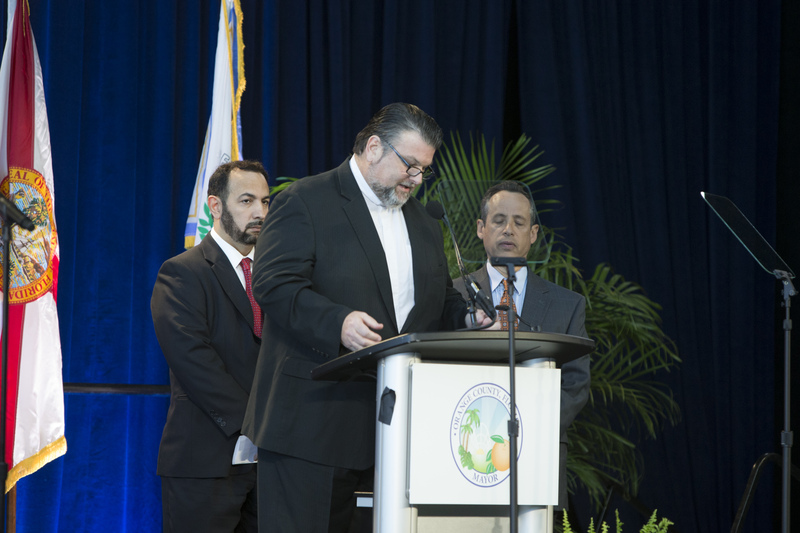 Orange County has provided overdose prevention information to hundreds of heroin-addicted inmates in the Orange County Jail and is among the first jails in Florida to implement a Vivitrol pilot project, a groundbreaking approach that can help prevent relapse and reduce cravings of opioid use for about 28 days. 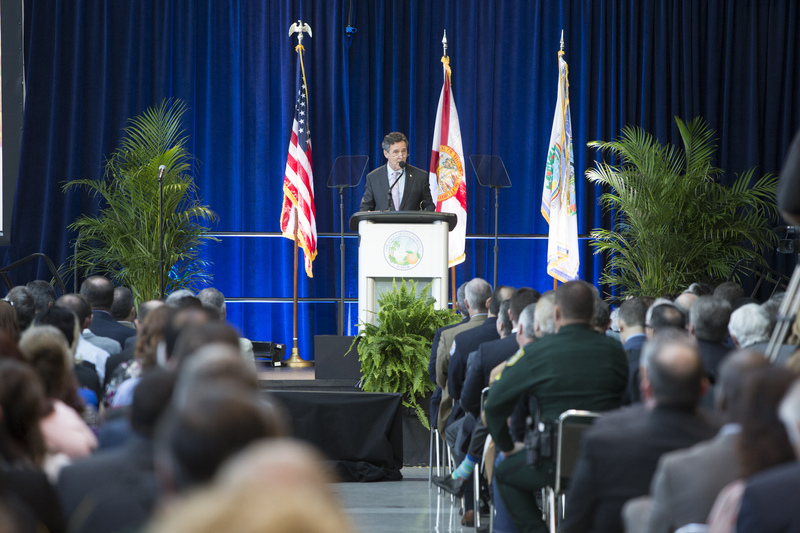 More funding will be needed, but thanks to the tremendous support from law enforcement, as well as local treatment, counseling, intervention and judicial partners, there is great hope that Central Florida will be successful in battling the scourge of heroin. 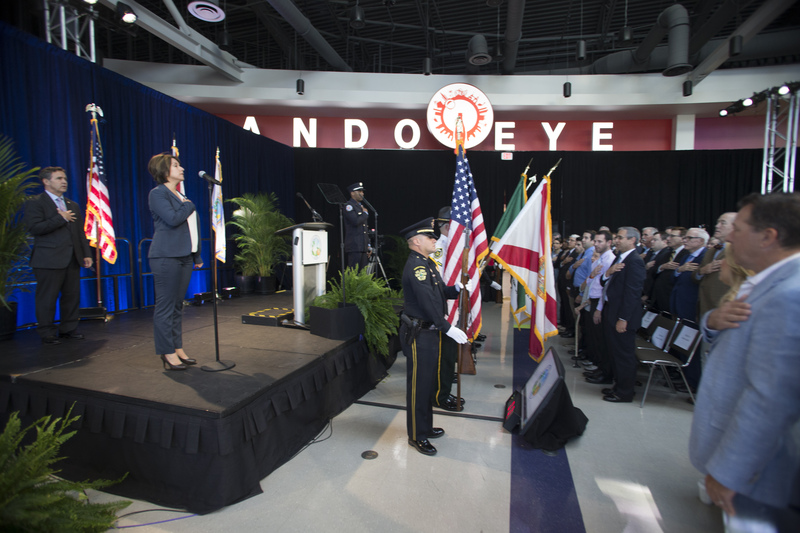 Mayor Jacobs also recognized the commitment of law enforcement men and women who put their lives on the lines each and every day. 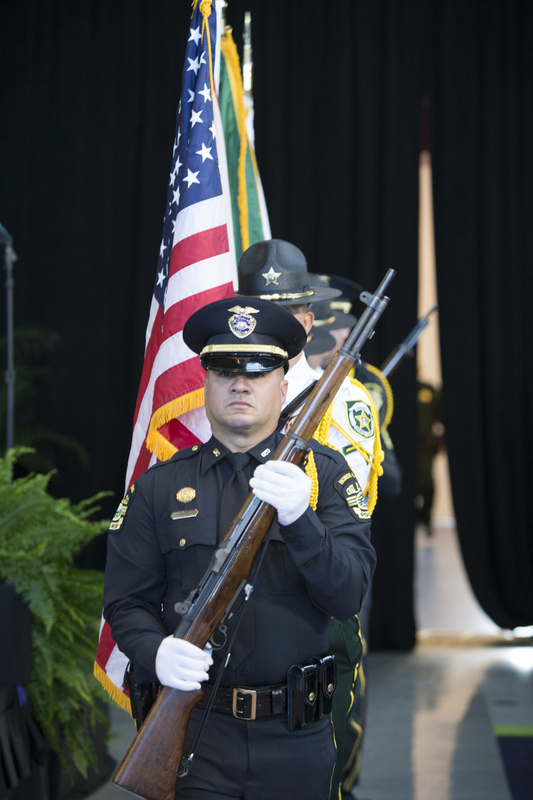 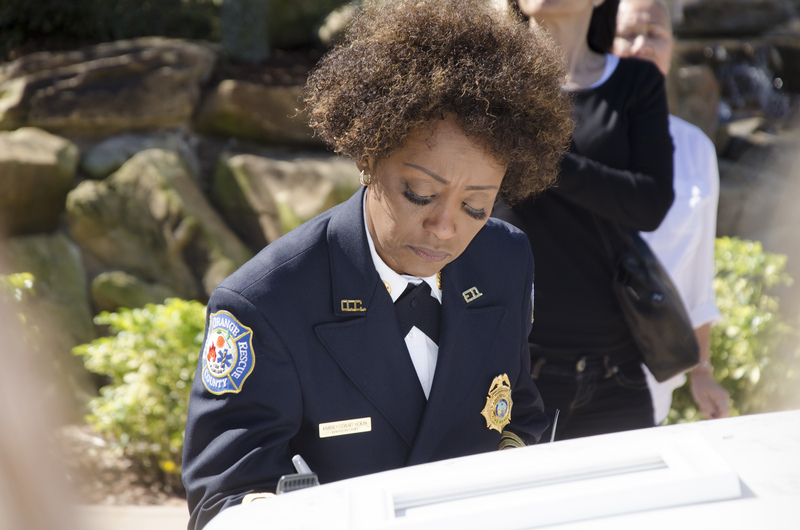 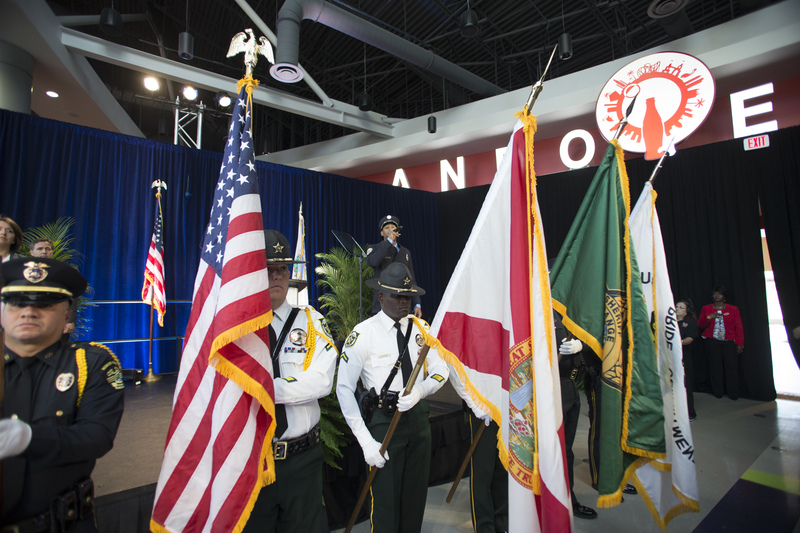 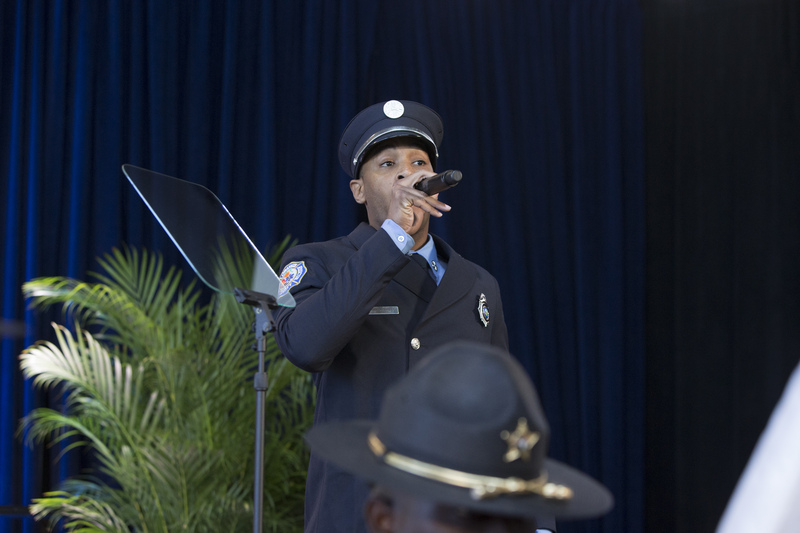 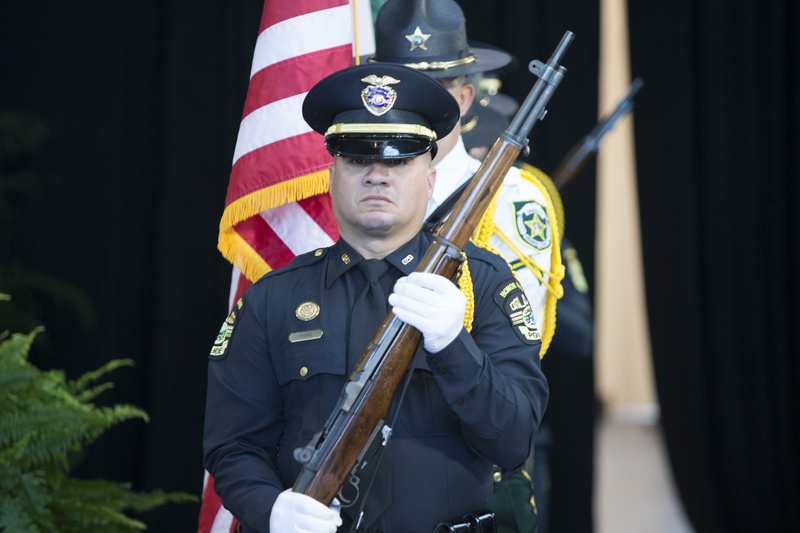 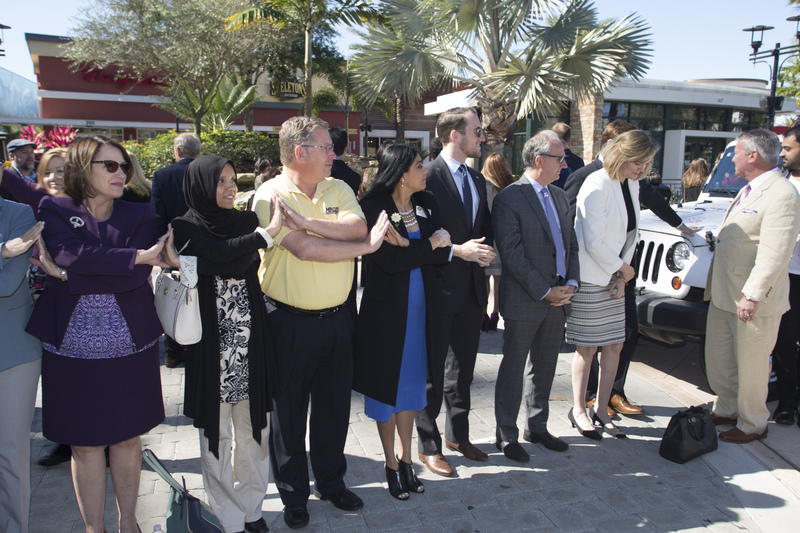 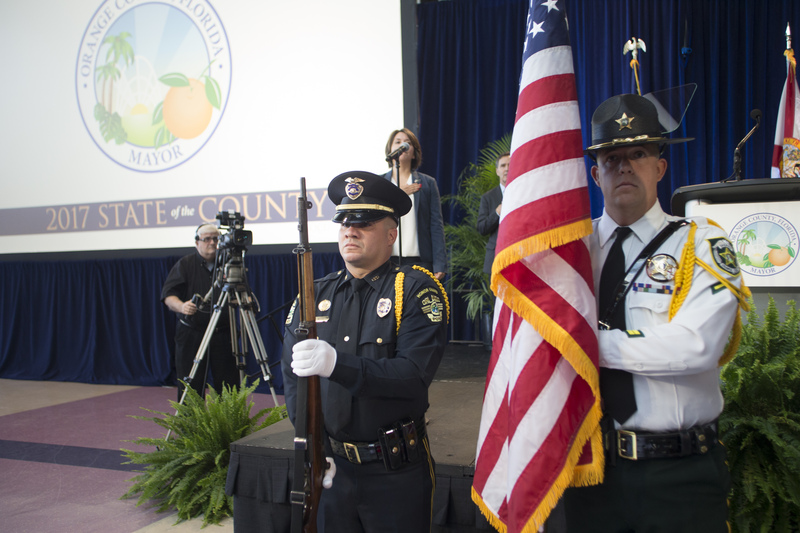 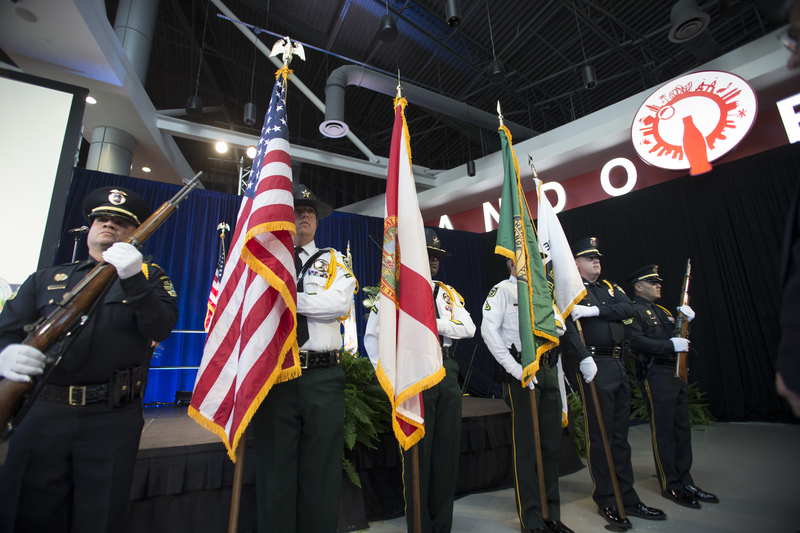 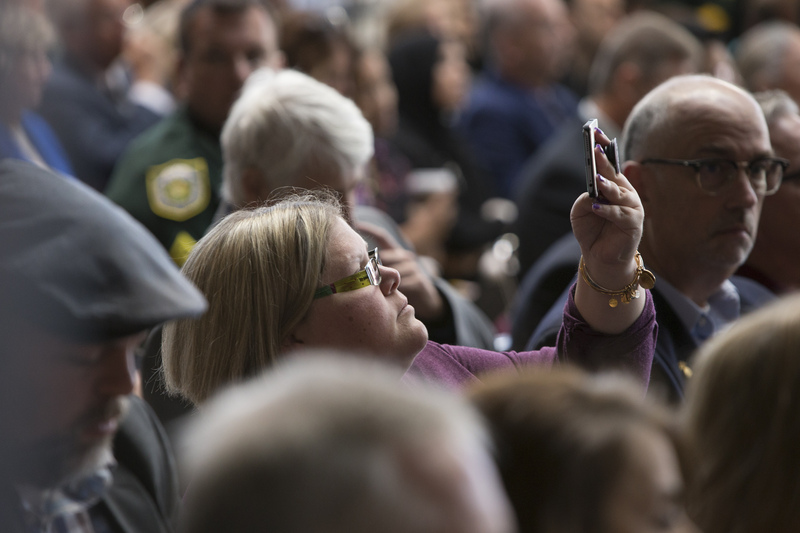 In particular, Mayor Jacobs paid solemn tribute to Orlando Police Department Lieutenant Debra Clayton and Orange County Sheriff’s Office Deputy First Class Norman Lewis. 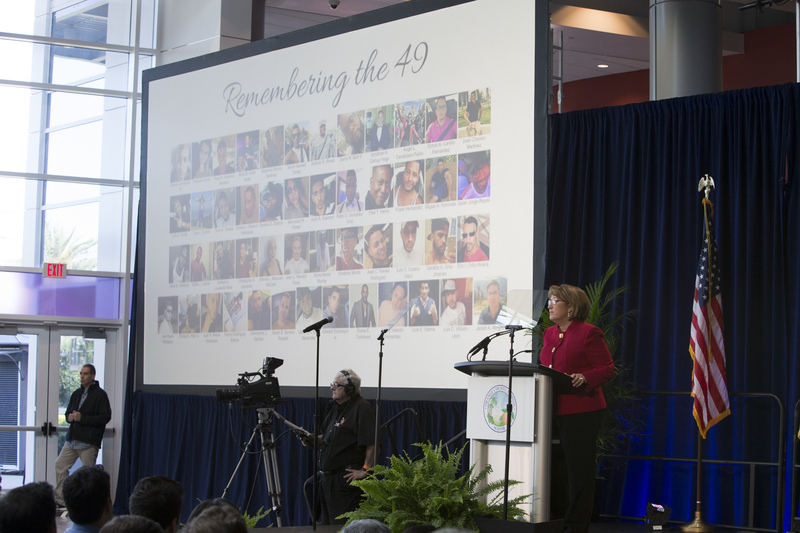 In a heartfelt remembrance, Mayor Jacobs shared her personal thoughts about the defining elements of the June 12 Pulse nightclub tragedy. 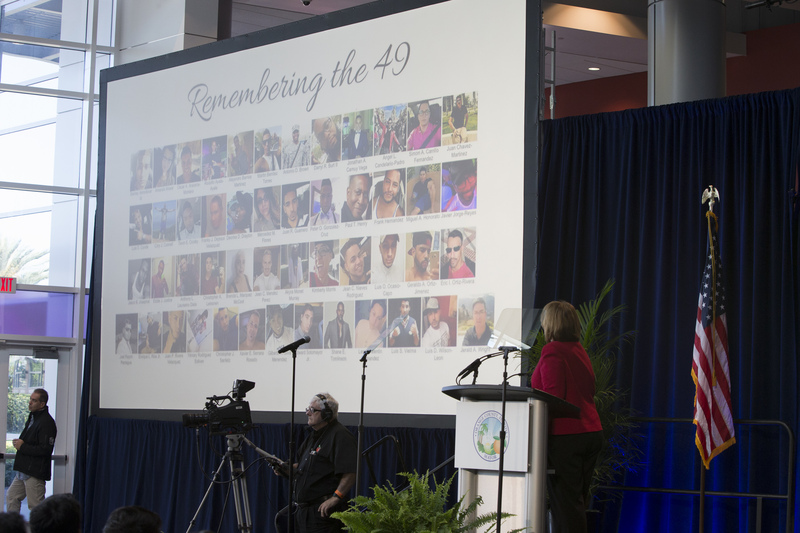 In addition to remembering the 49 lost and their family and friends, as well as those who were physically injured and those who bear the deep emotional scars of survival, Mayor Jacobs also acknowledged Pulse Nightclub owner Barbara Poma and the extended Pulse family. 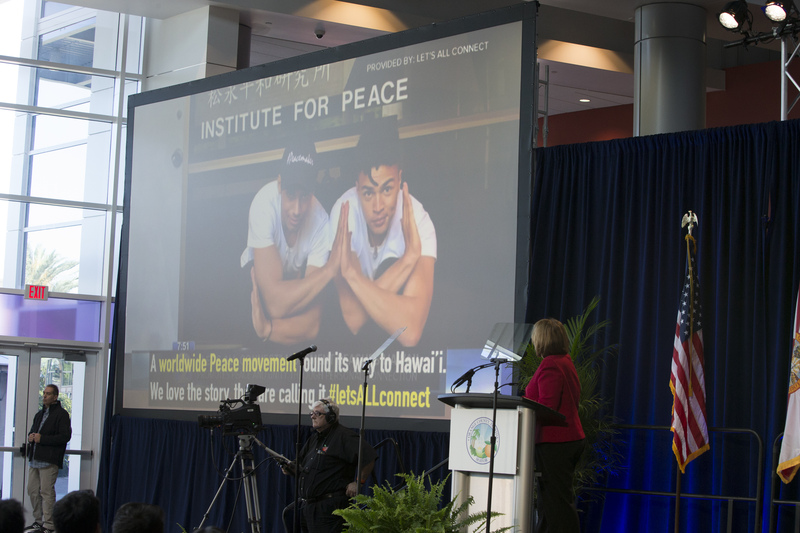 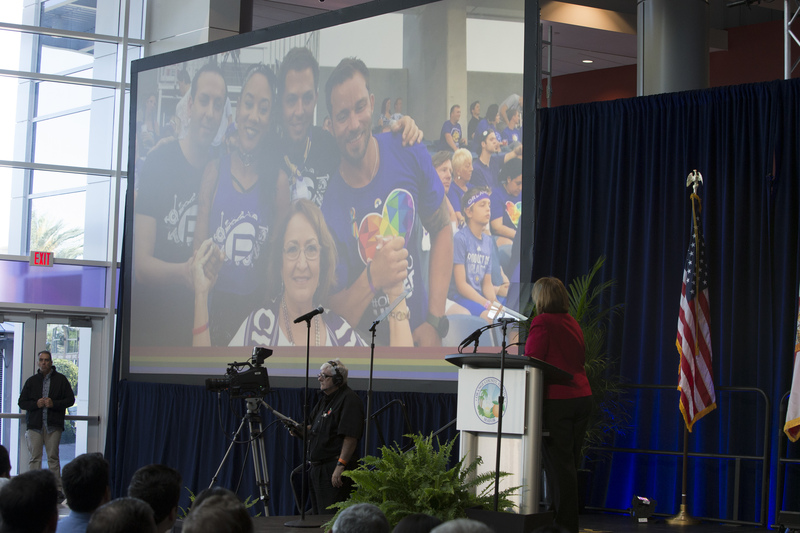 “As we focused our attention on helping each other — the world focused its attention on us, and watched as we mourned and rallied with the common goal of supporting the LGBTQ, Latinx and Hispanic communities,” said Mayor Jacobs. 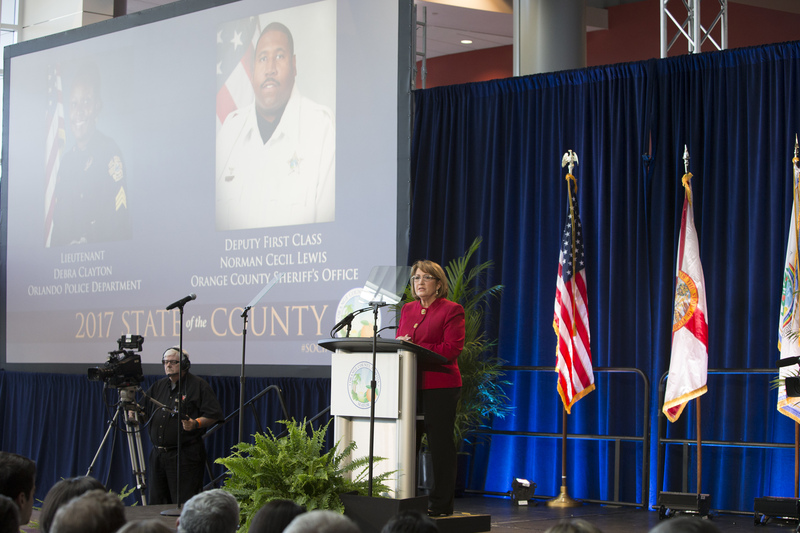 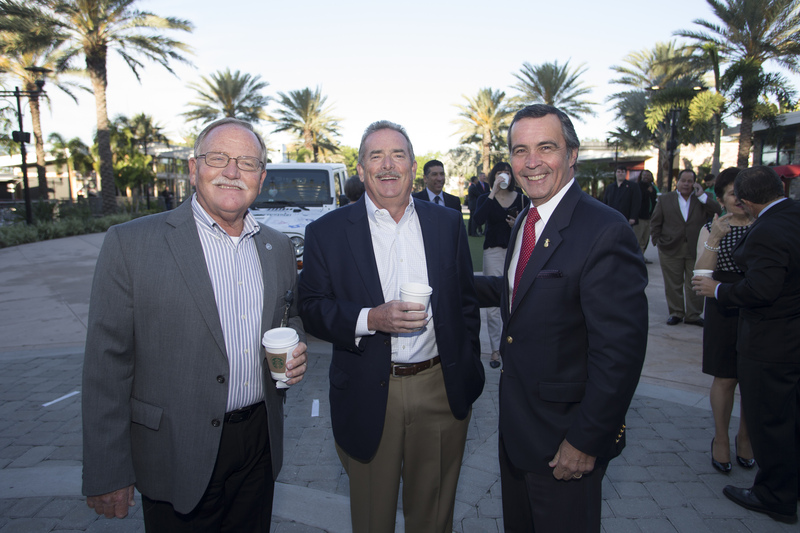 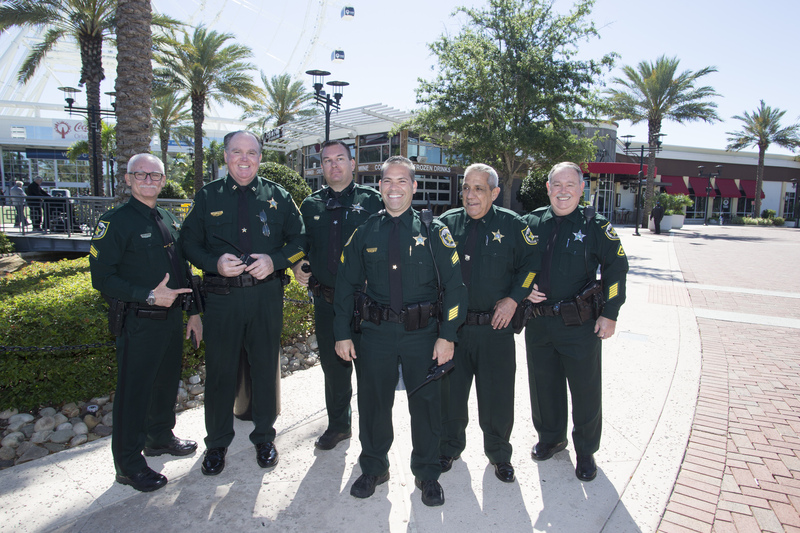 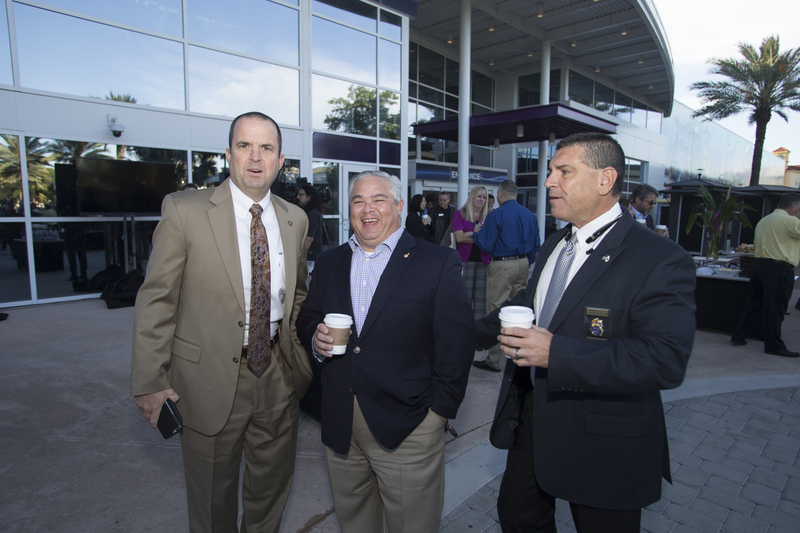 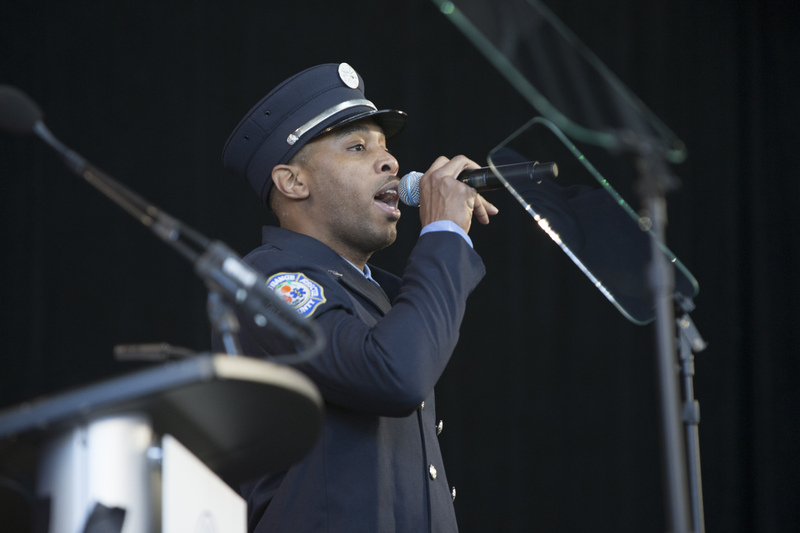 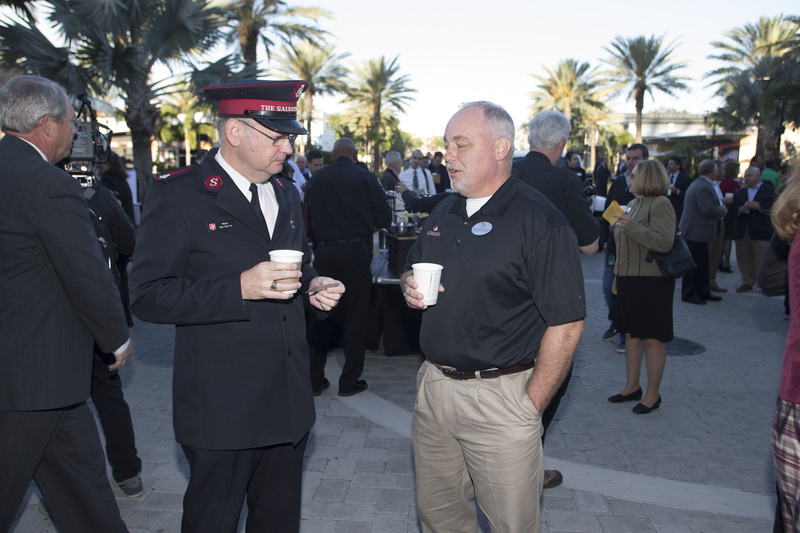 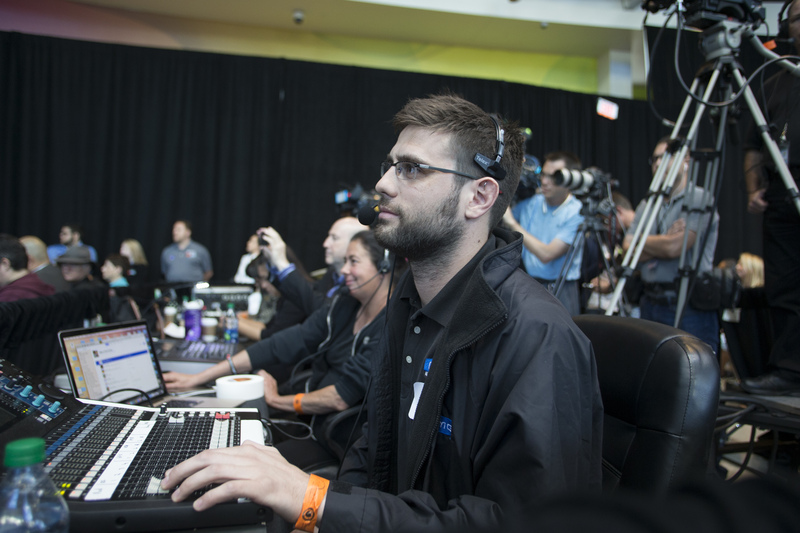 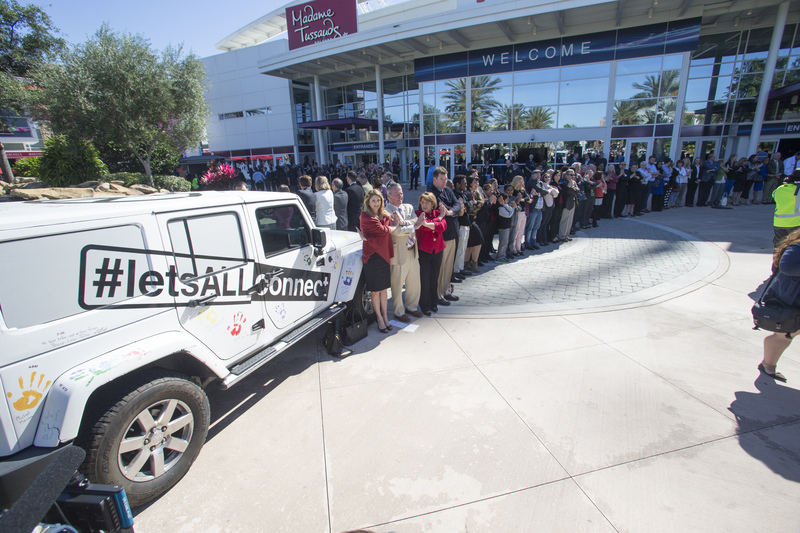 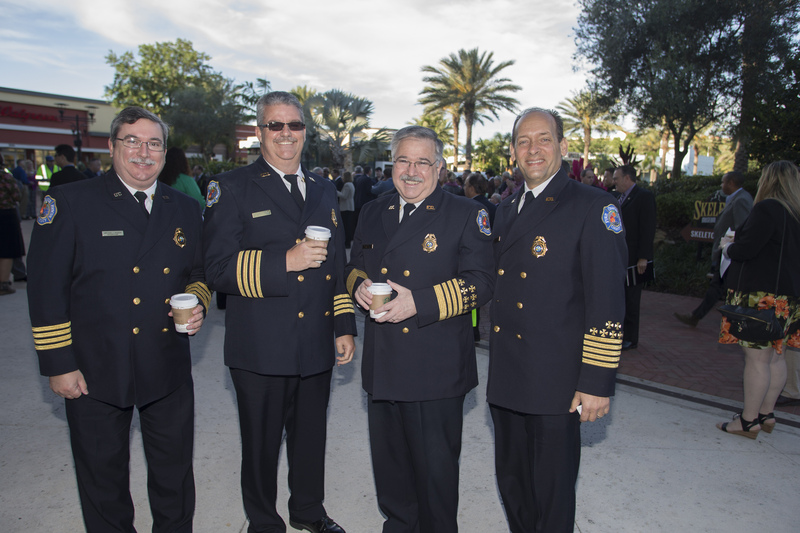 “The world saw Orange County’s first and second responders at their very best. 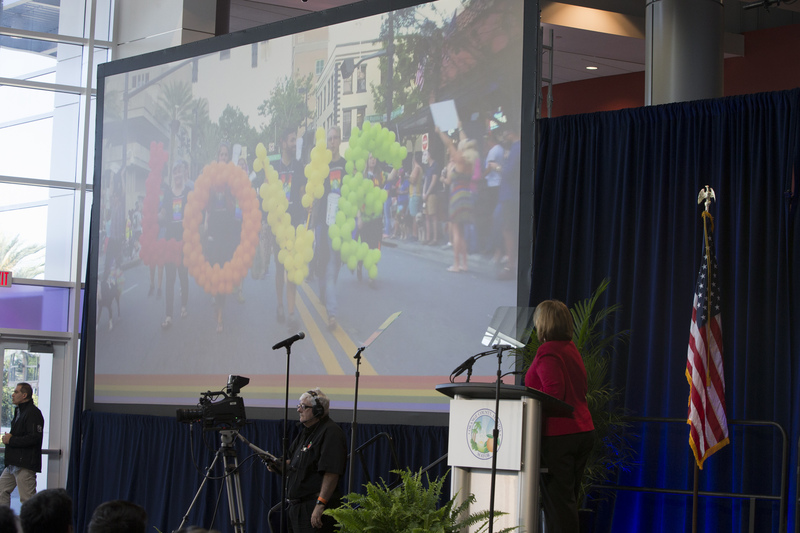 The world witnessed the extraordinary outpouring of acceptance and love that came naturally from within the very fabric of our community. 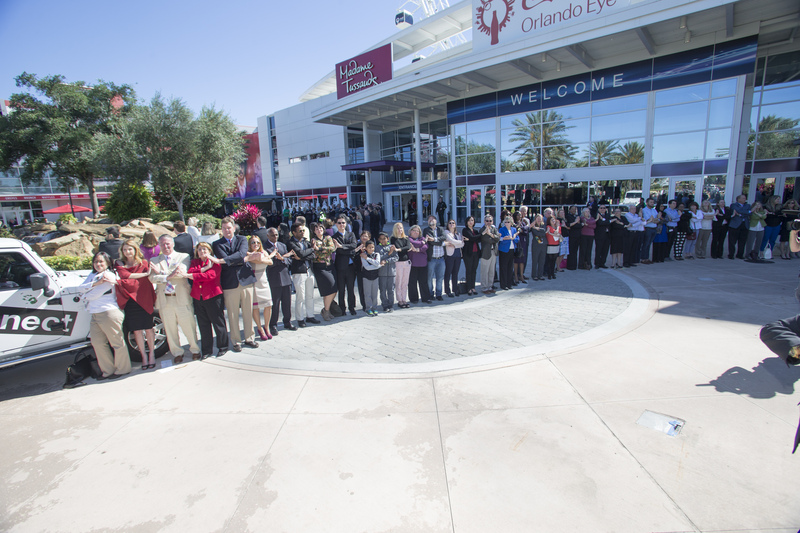 Through it all, the world gained a much fuller understanding of Orlando. 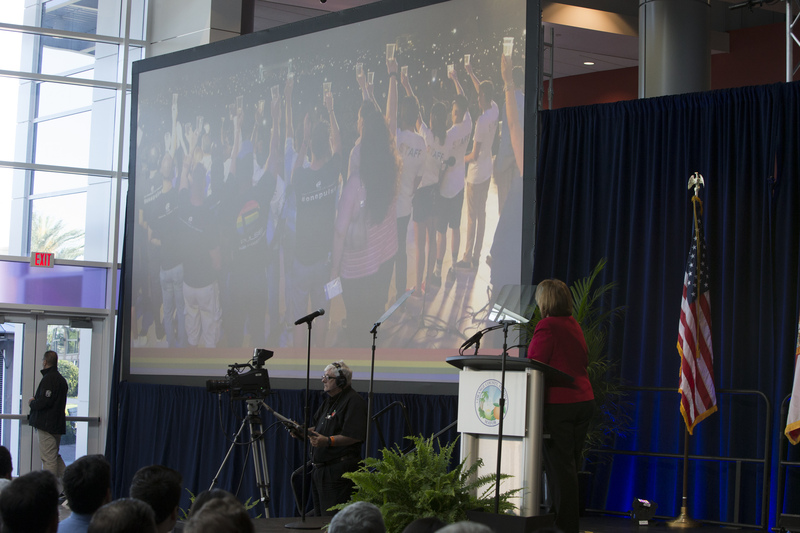 It was not just the world’s perception of us that changed — it was also our perception of ourselves. 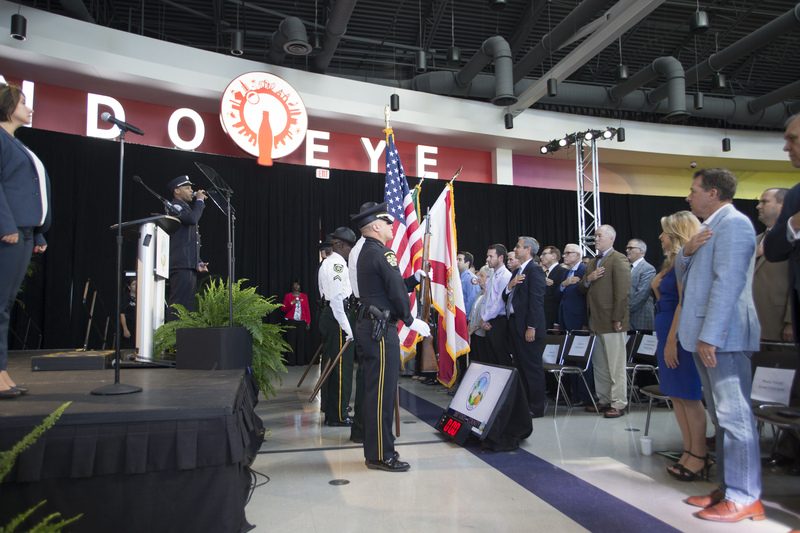 Through our response to the greatest attack we’ve ever withstood, the greatest loss we’ve ever suffered, we’ve learned something incredible about ourselves and our culture of compassion that makes Orlando such an incredible place to live,” Mayor Jacobs added. 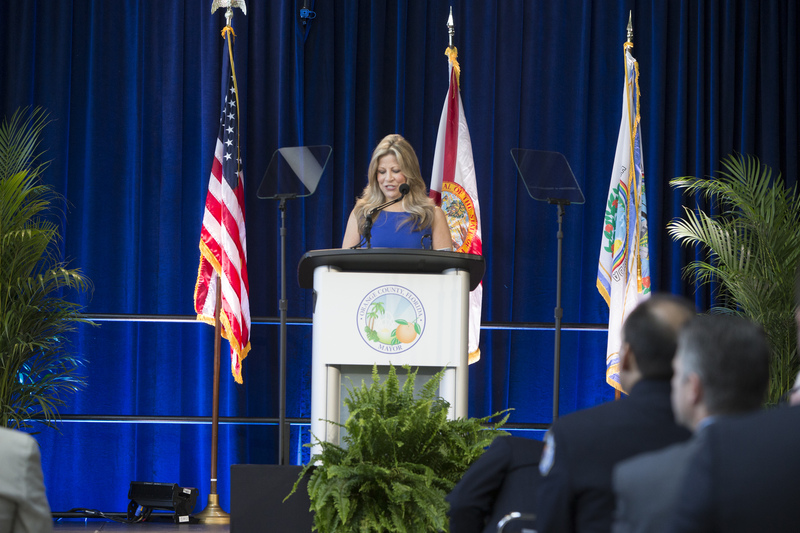 Mayor Jacobs recognized the lifesaving service of the Orlando Health team, first responders, 911 operators, firefighters, EMTs, Orange County’s Medical Examiner’s office and law enforcement from throughout Central Florida and the nation. 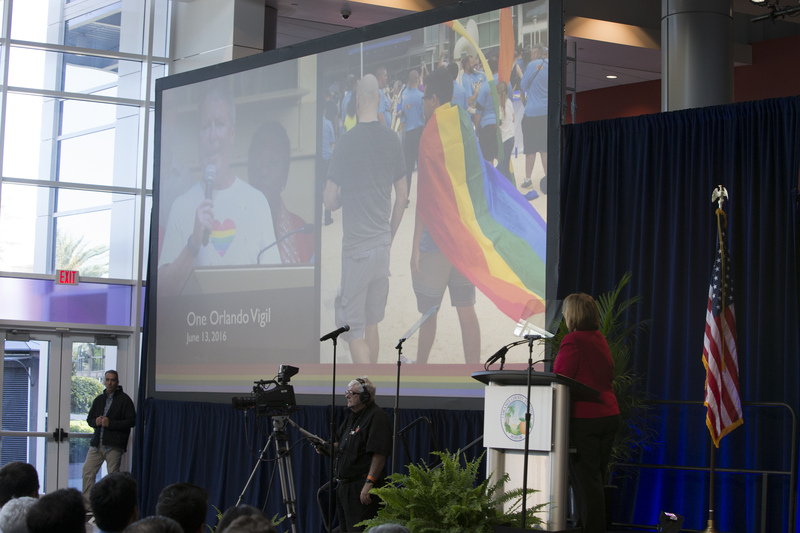 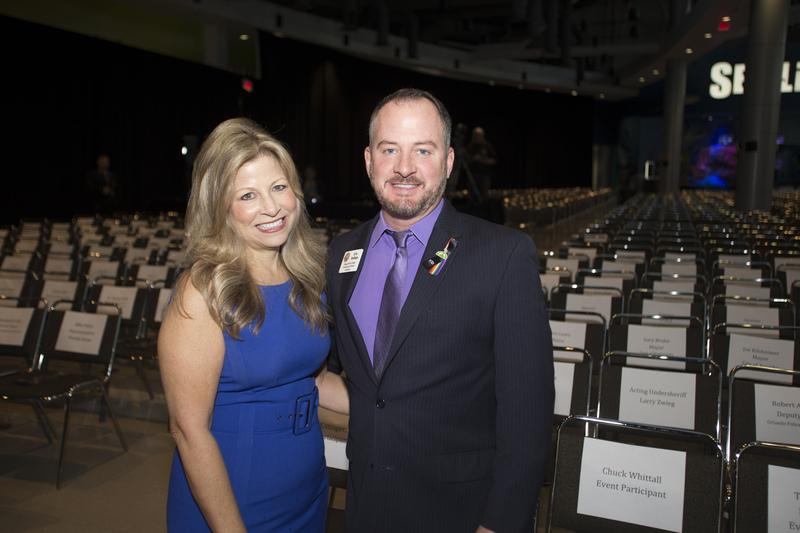 Mayor Jacobs also announced that together with Pulse, the City of Orlando, Orange County’s Regional History Center, The One Orlando Alliance and many others, the region is planning a number of events for Orlando United Day on June 12, 2017 to commemorate the loss suffered by the community. 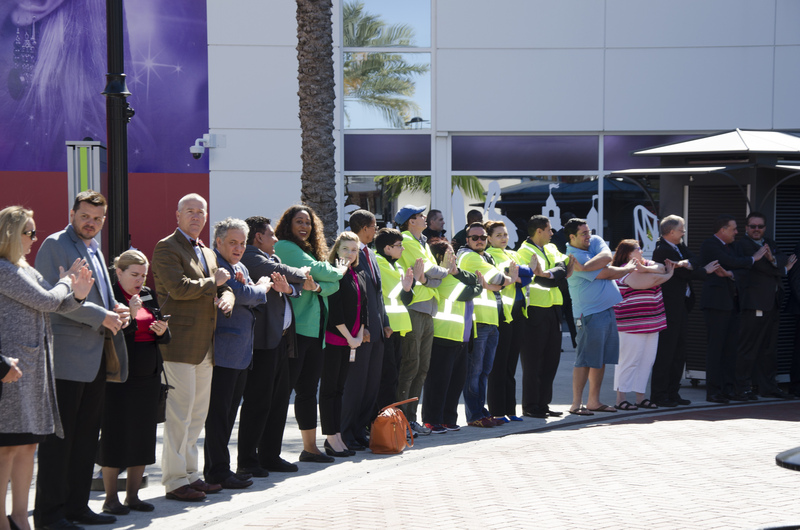 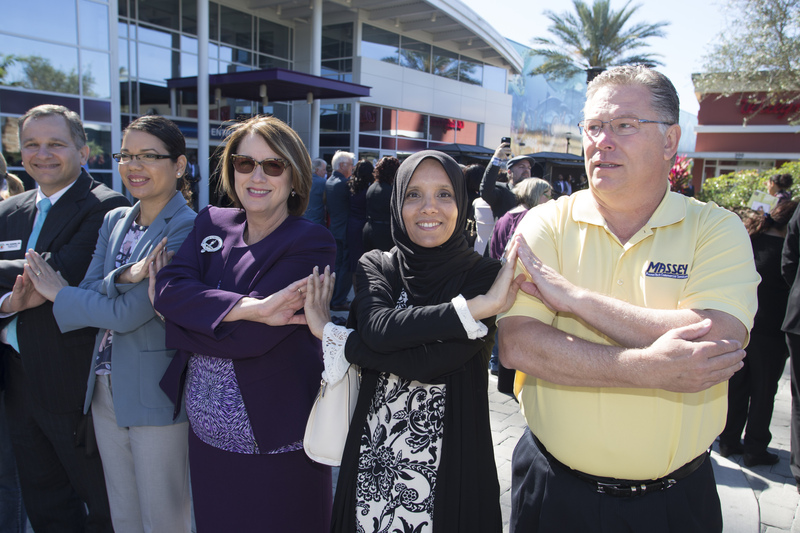 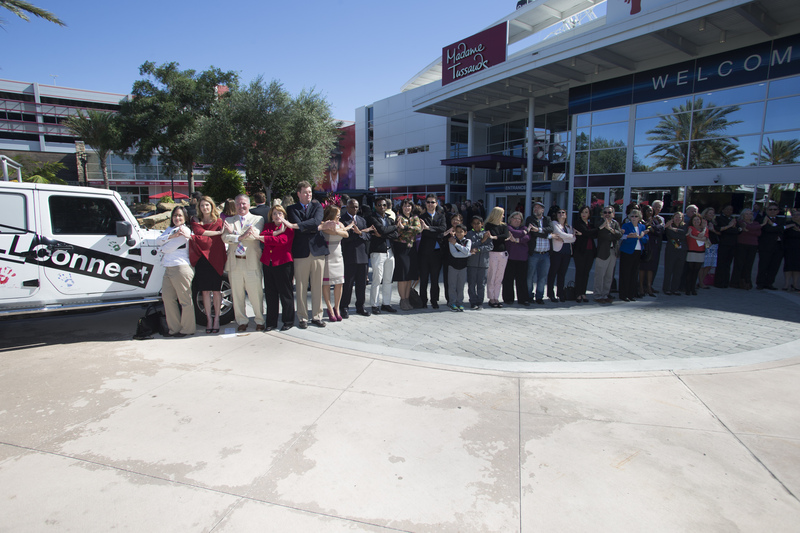 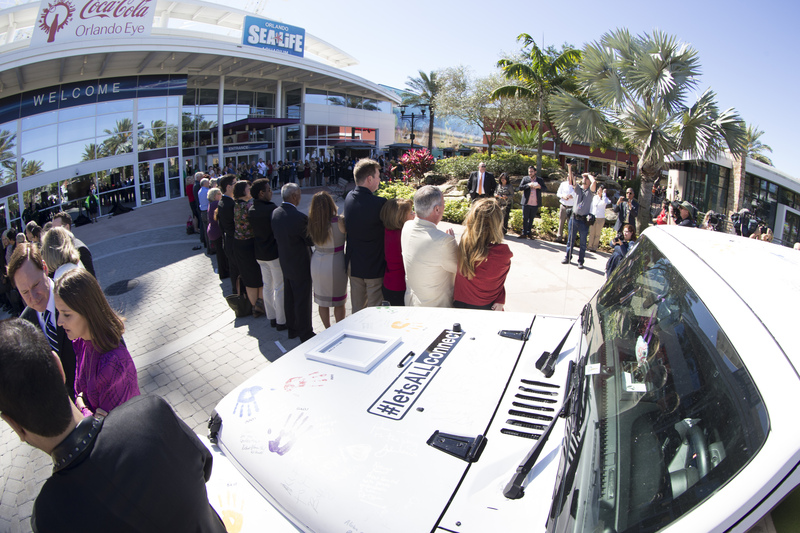 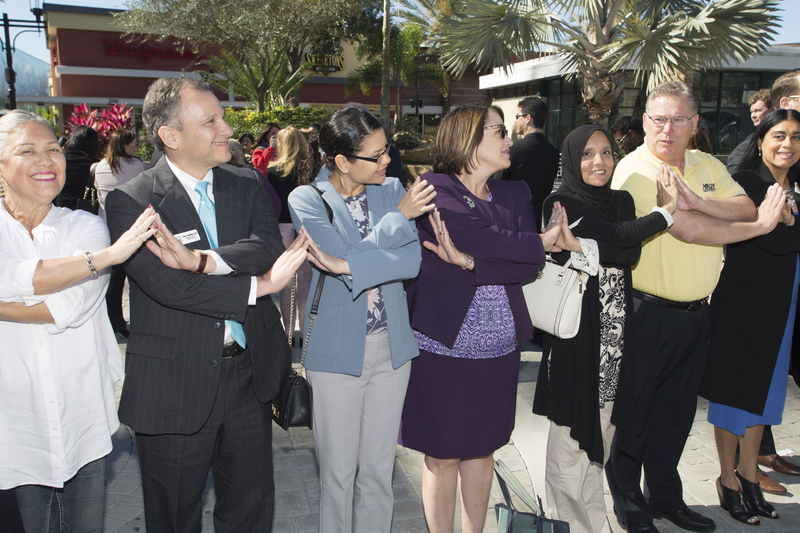 To further honor those lost, the audience joined Mayor Jacobs immediately following the end of the State of the County address on the I-Drive 360 Courtyard to take part in a worldwide peace and unity movement known as “Let’s All Connect,” in which hundreds of State of the County guests helped to form a large heart-shaped figure – the largest gathering to date of the global movement. 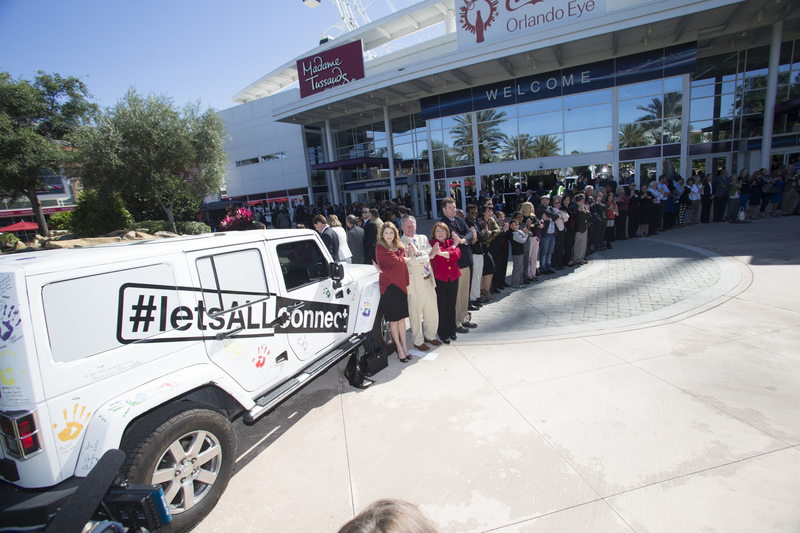 Learn more by visiting letsallconnect.org. 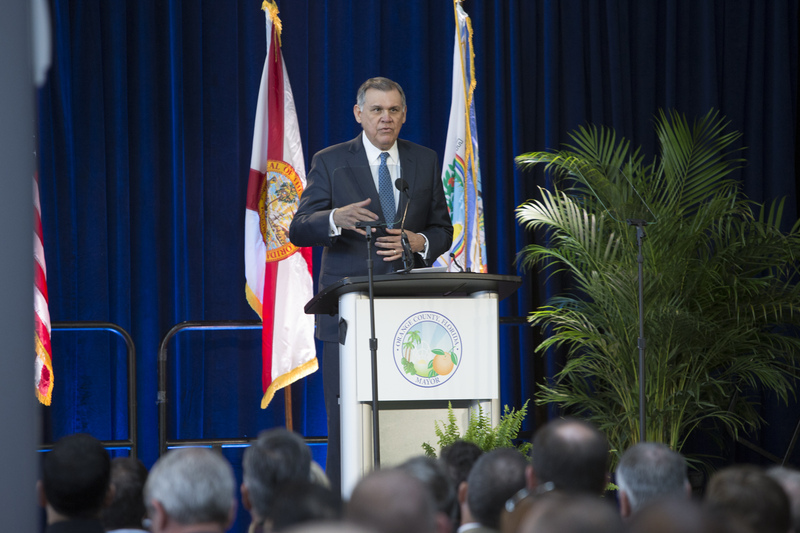 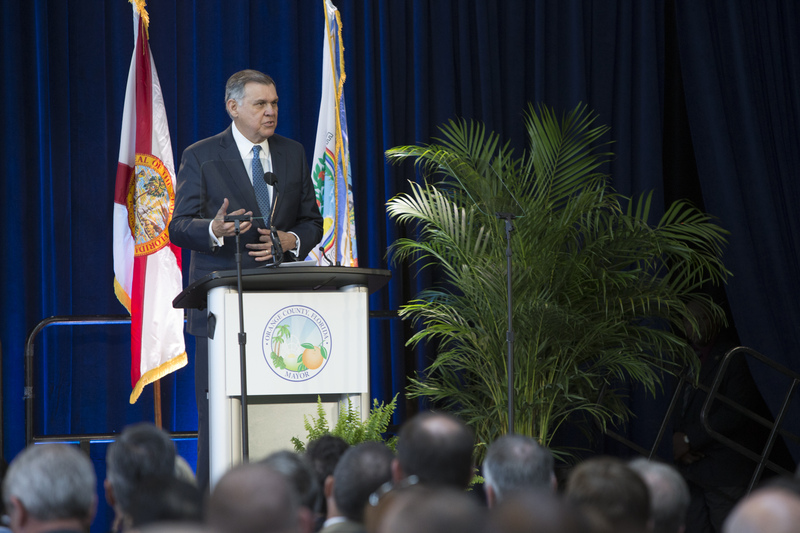 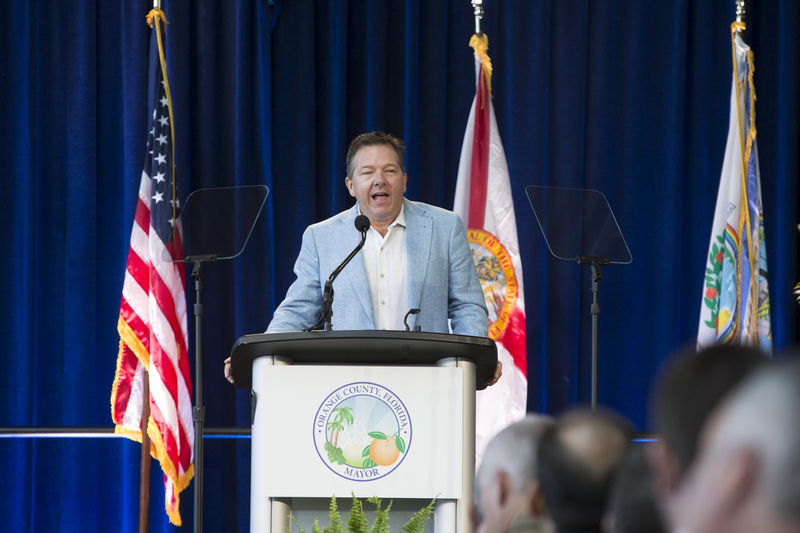 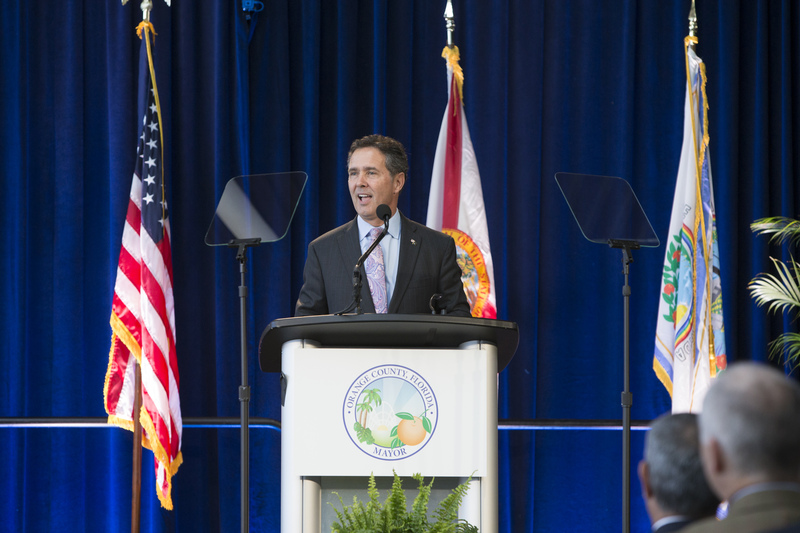 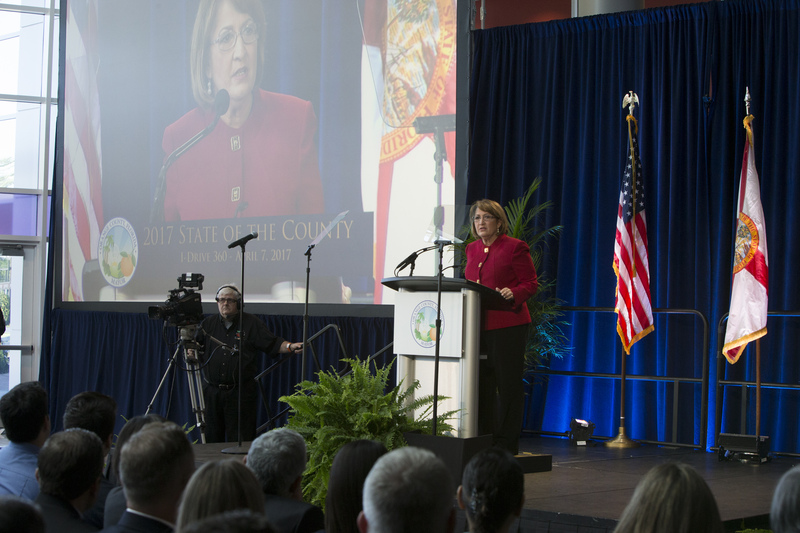 For additional statistics, to watch a recap and read the 2017 State of the County address, please visit www.ocfl.net/soc17. 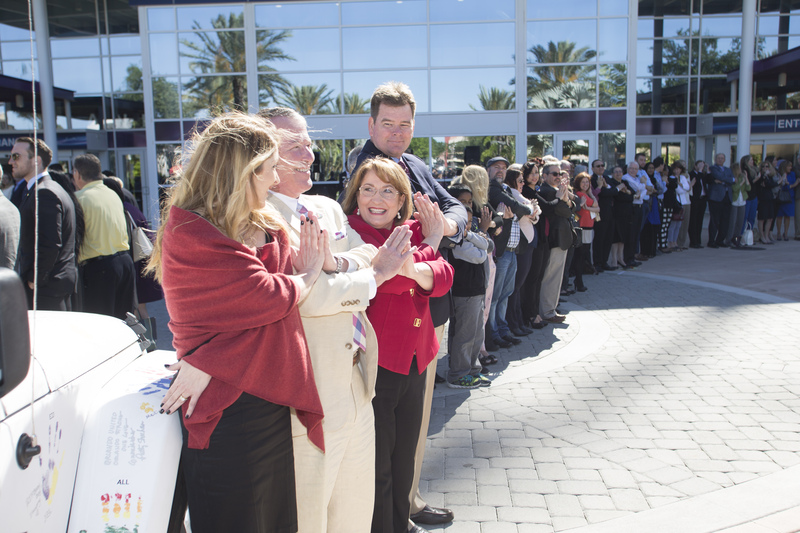 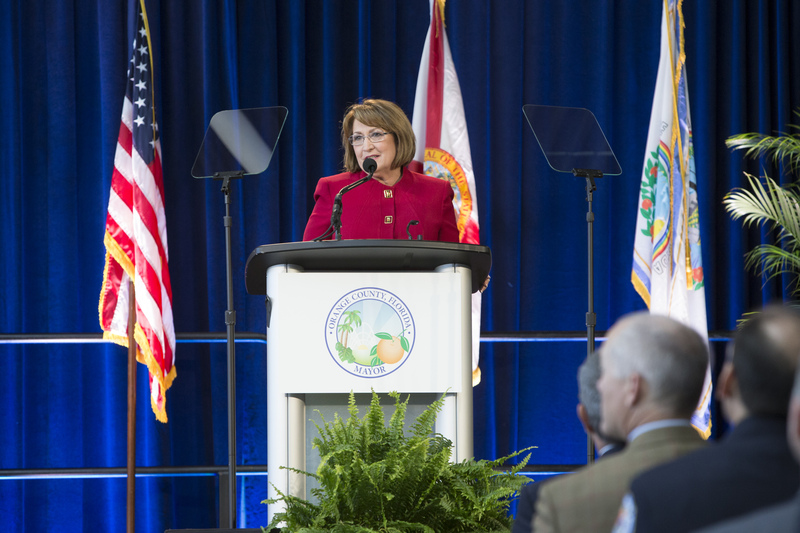 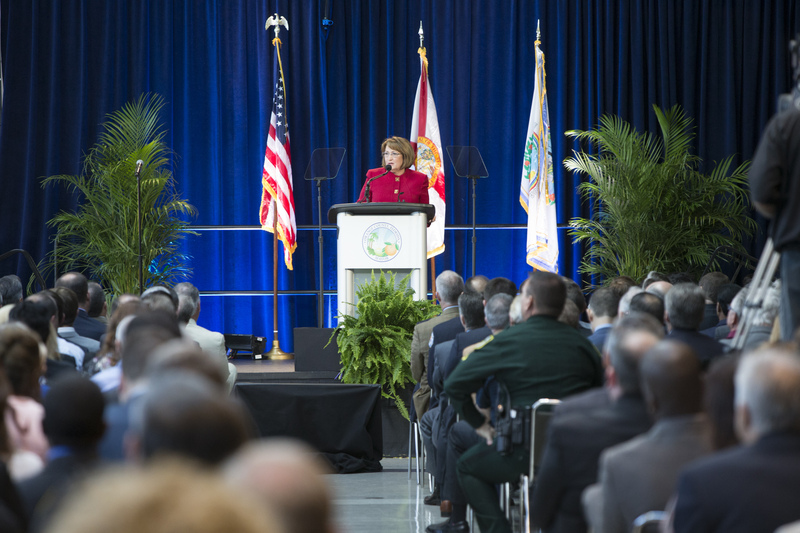 Featured Photo Caption: Orange County Mayor Teresa Jacobs delivers the State of the County address on April 7, 2017, at I-Drive 360 on International Drive. 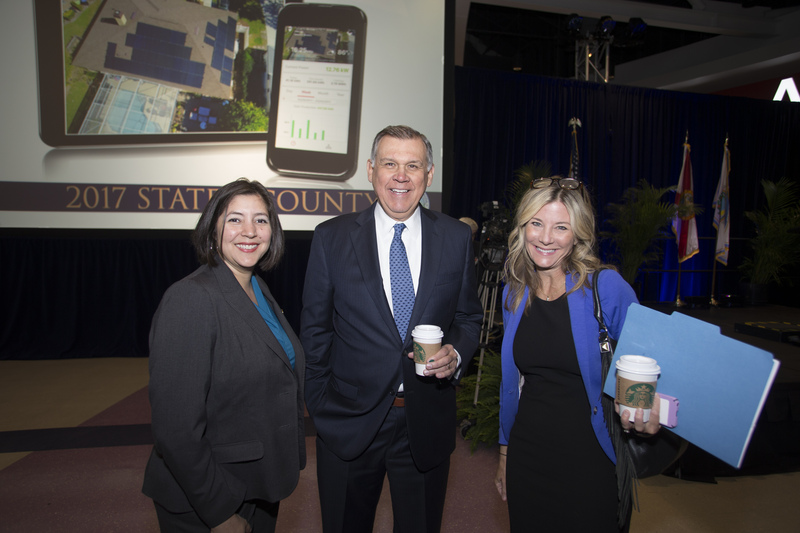 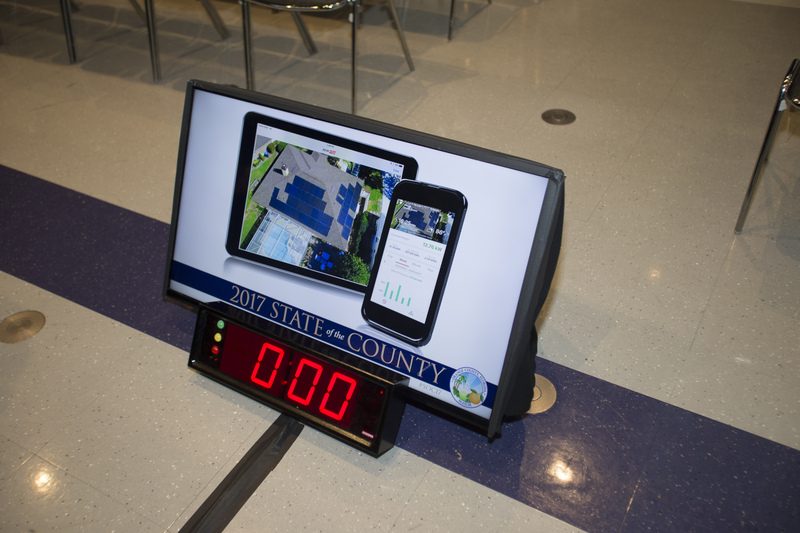 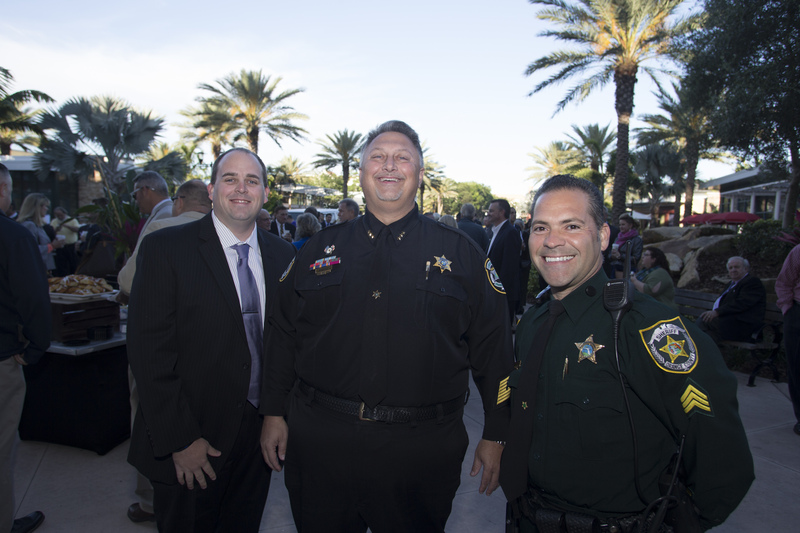 View the State of County photo gallery on Flickr.